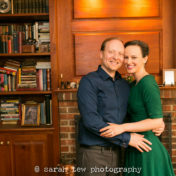 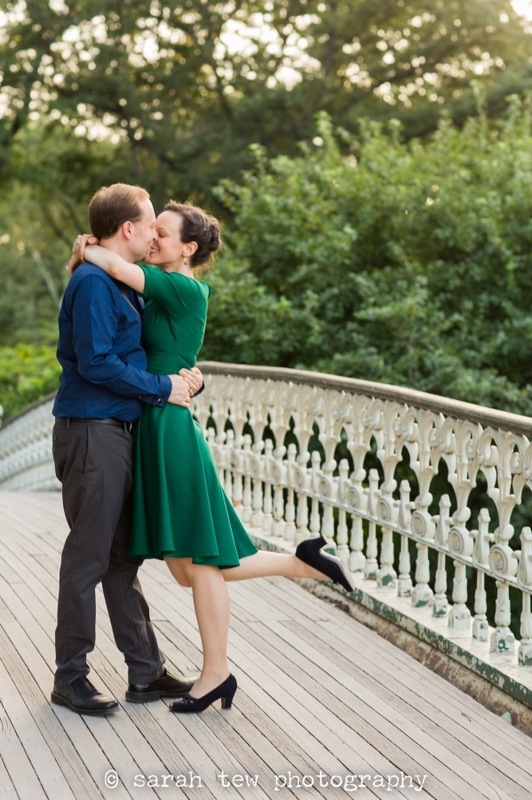 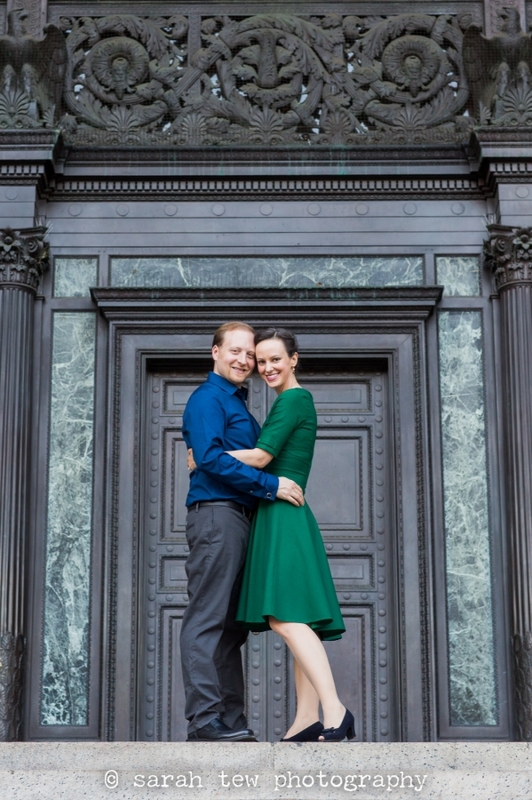 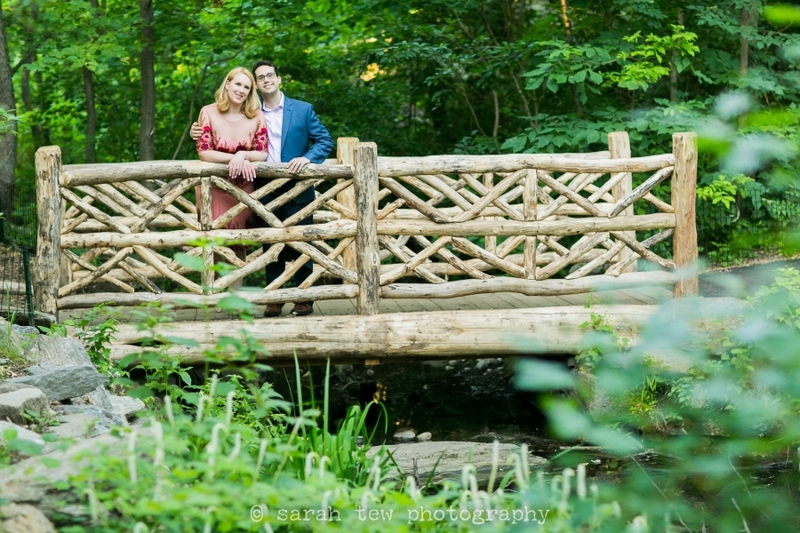 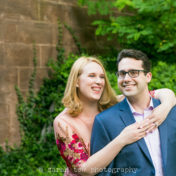 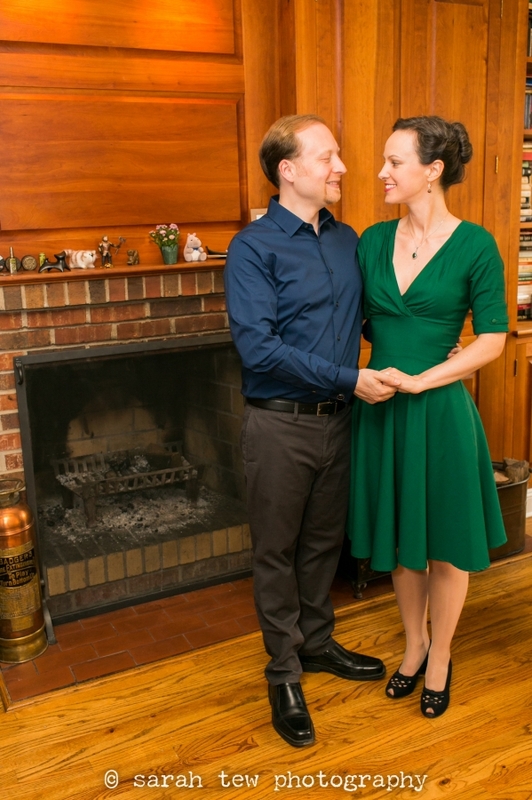 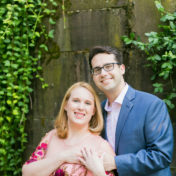 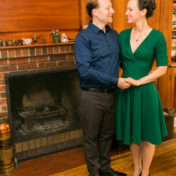 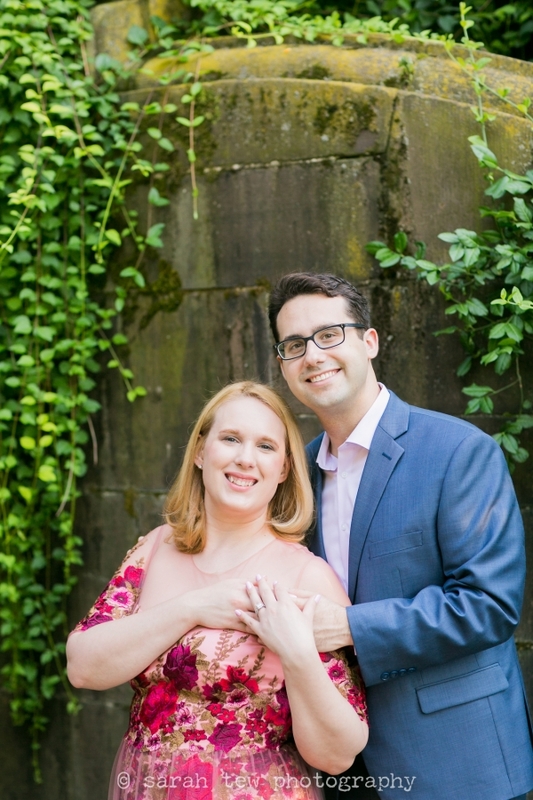 Caitlin & Mike are to getting married in October up at Buttermilk Falls Inn, a wonderful farm-to-table venue in the Hudson Valley, just a few hours from New York City. 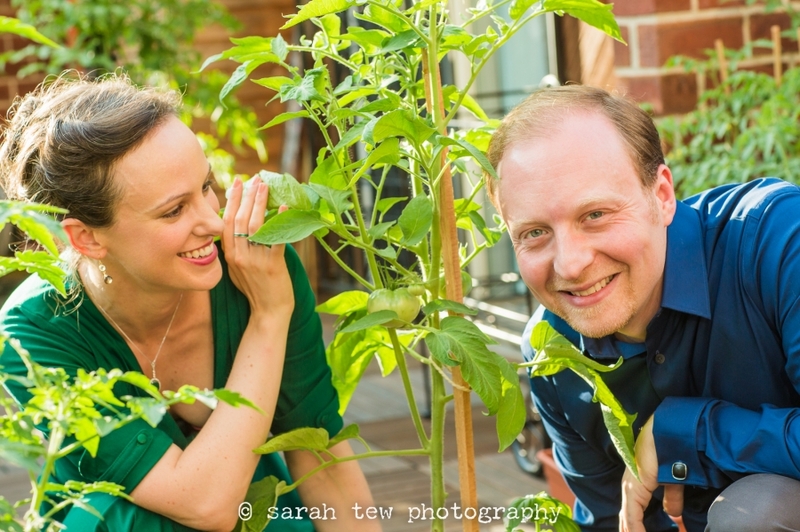 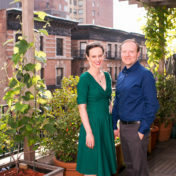 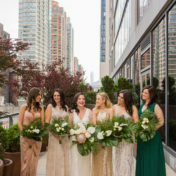 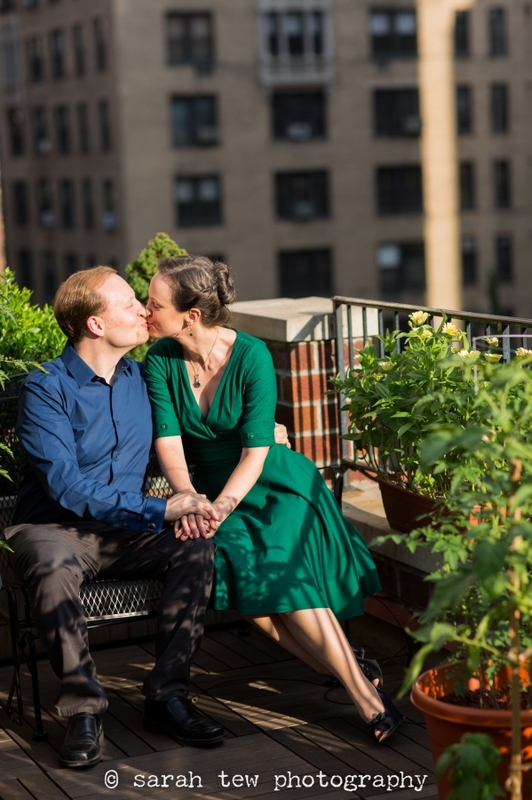 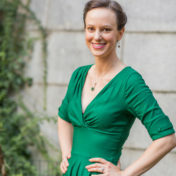 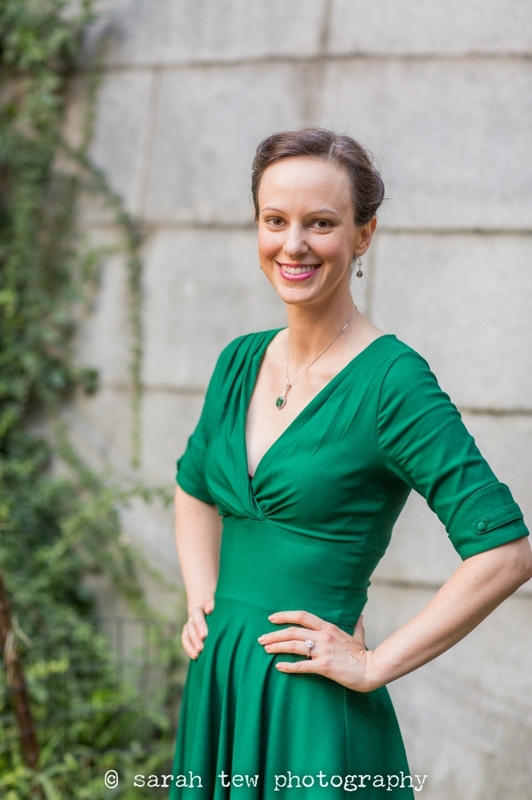 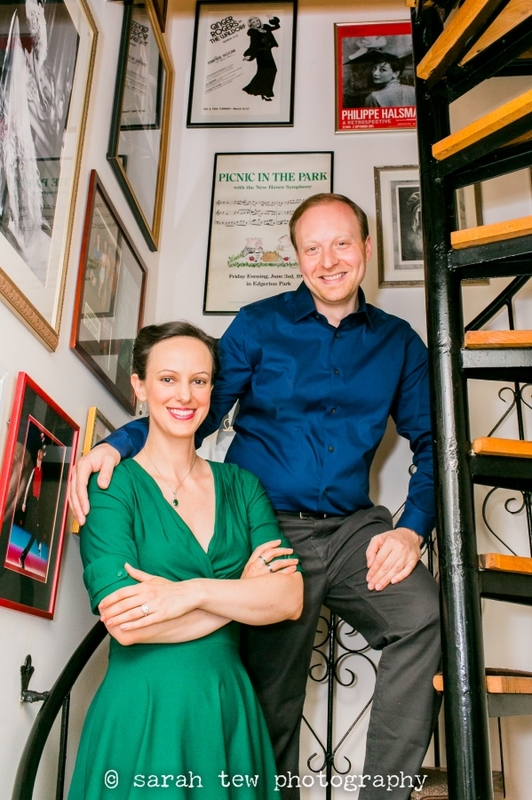 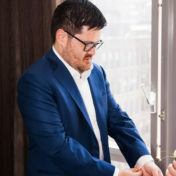 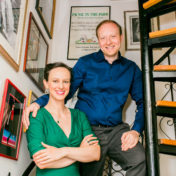 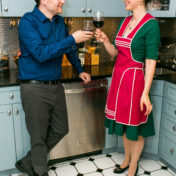 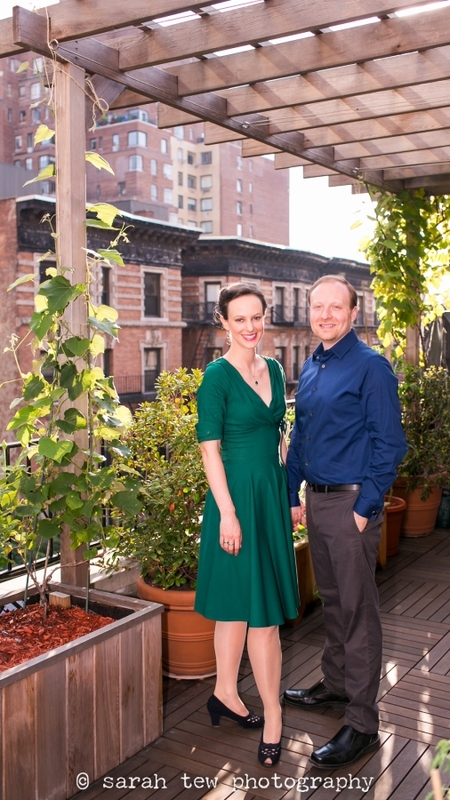 They have a charming apartment on the Upper West Side, complete with a roof deck where they have been successfully growing tomatoes and other plants. 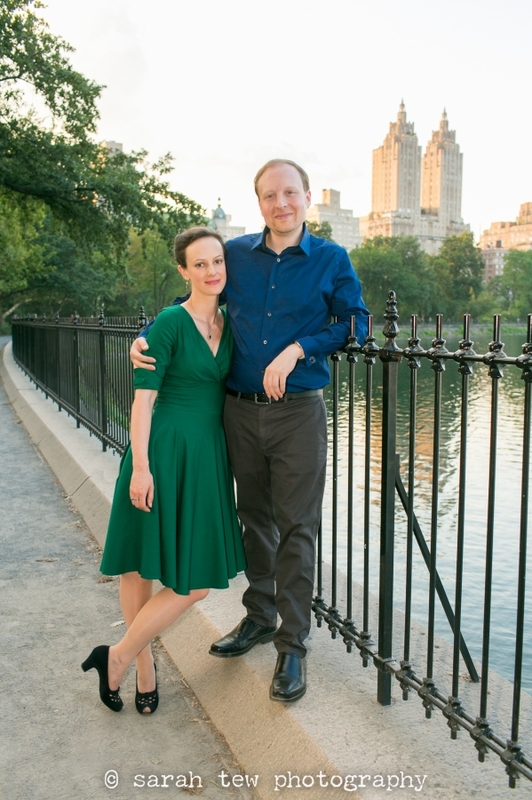 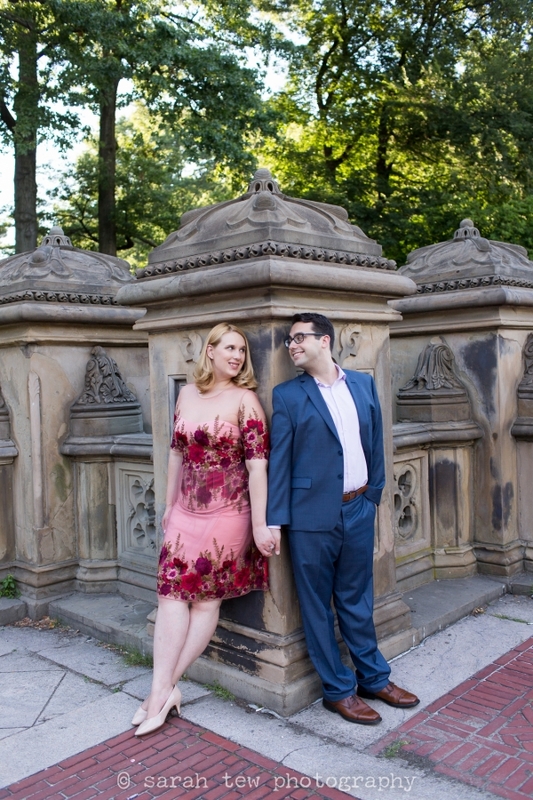 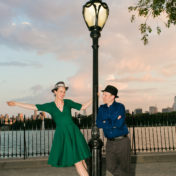 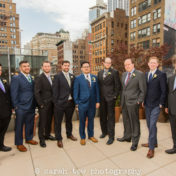 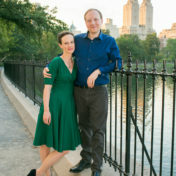 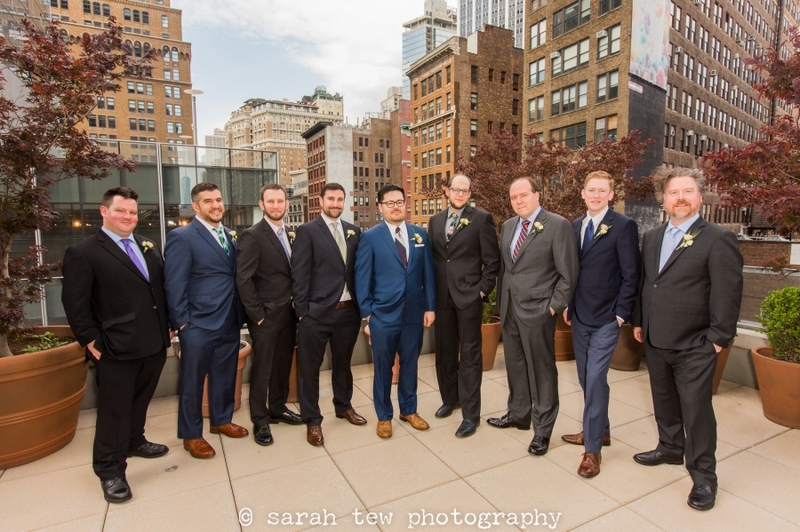 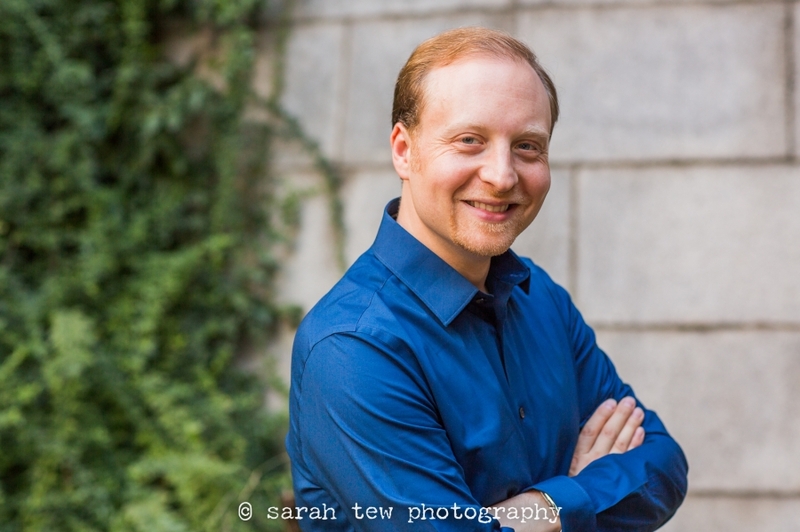 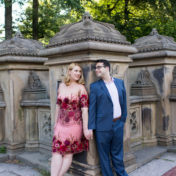 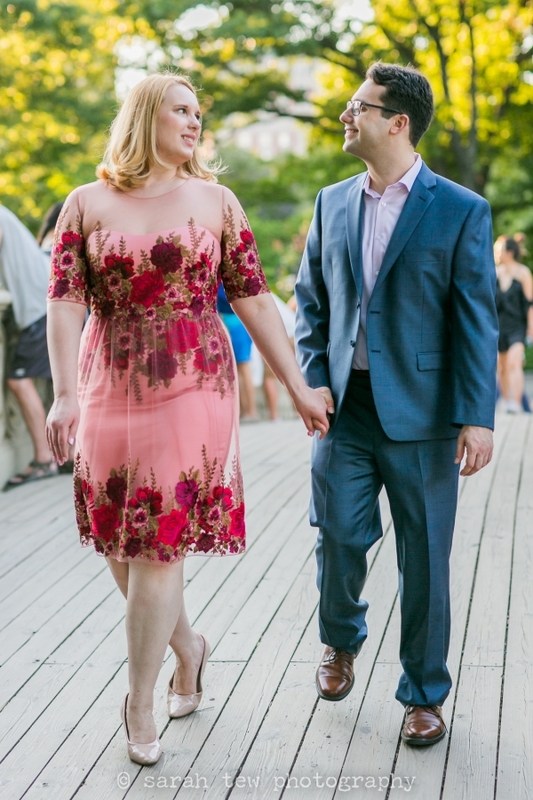 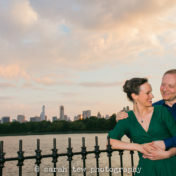 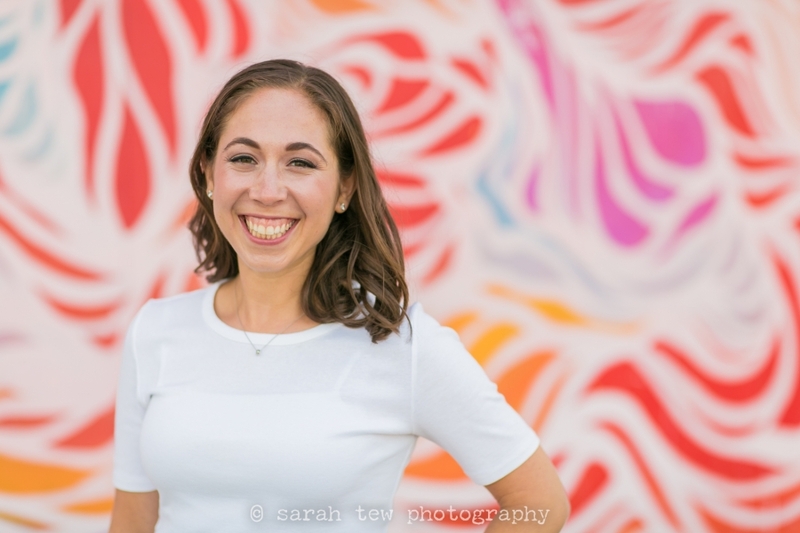 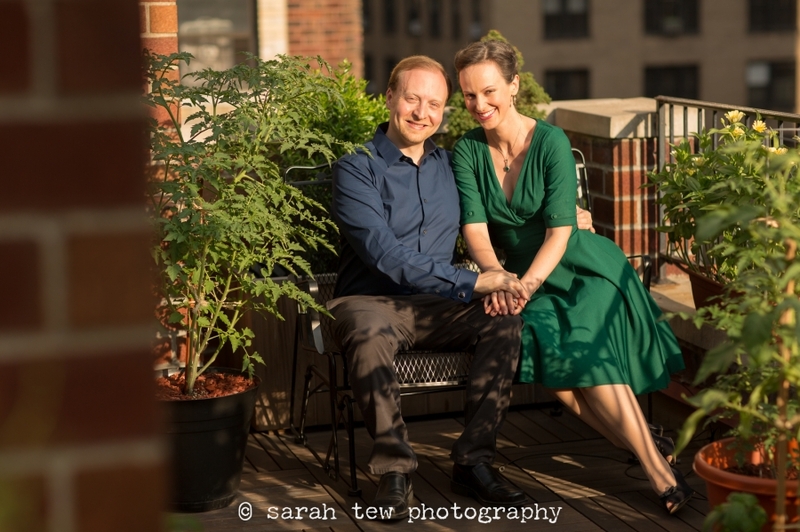 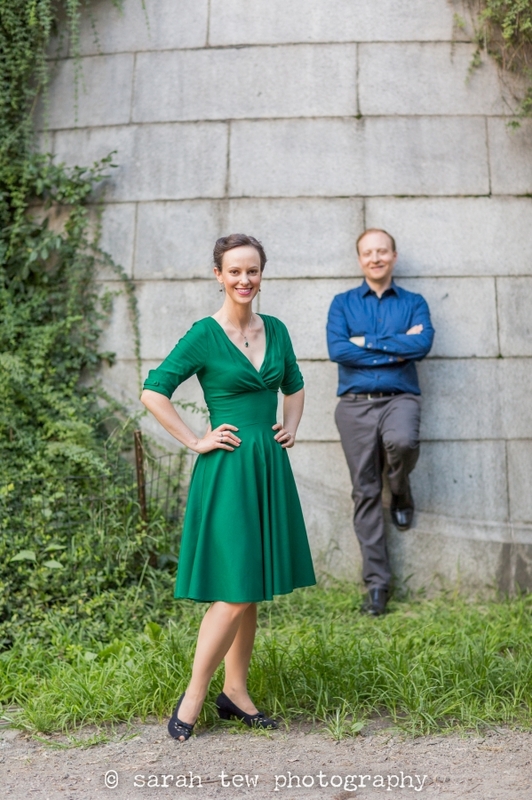 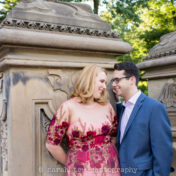 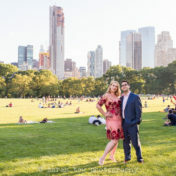 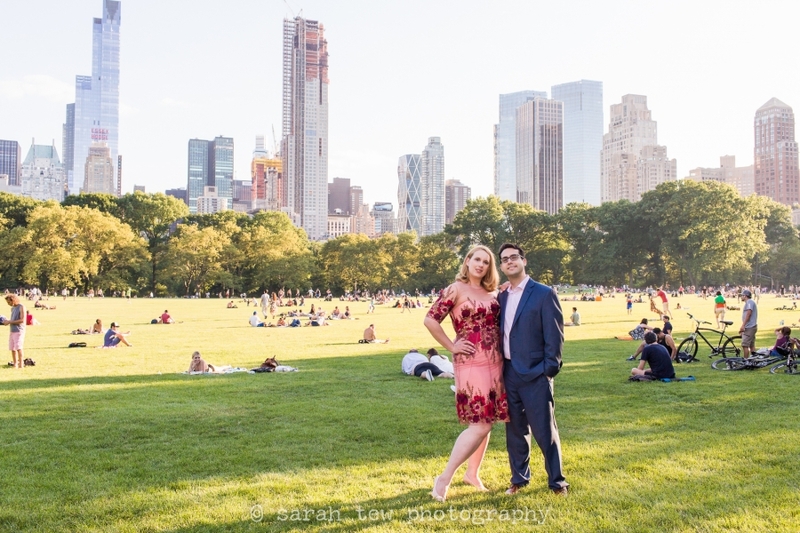 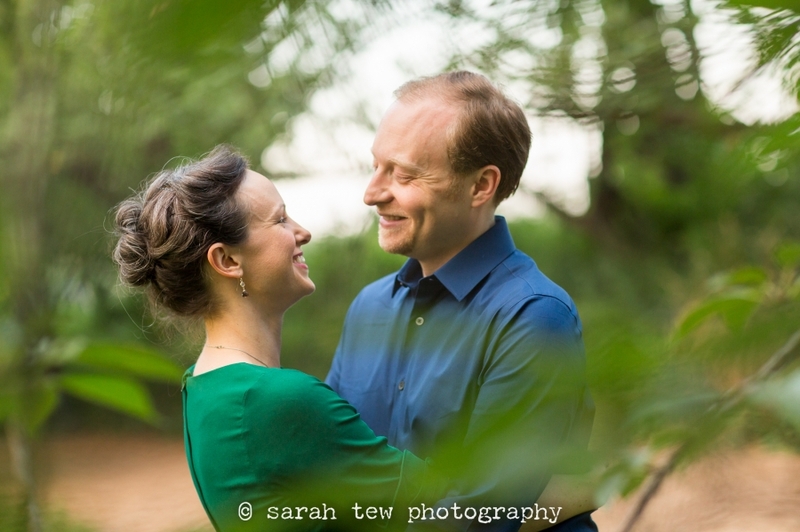 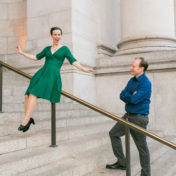 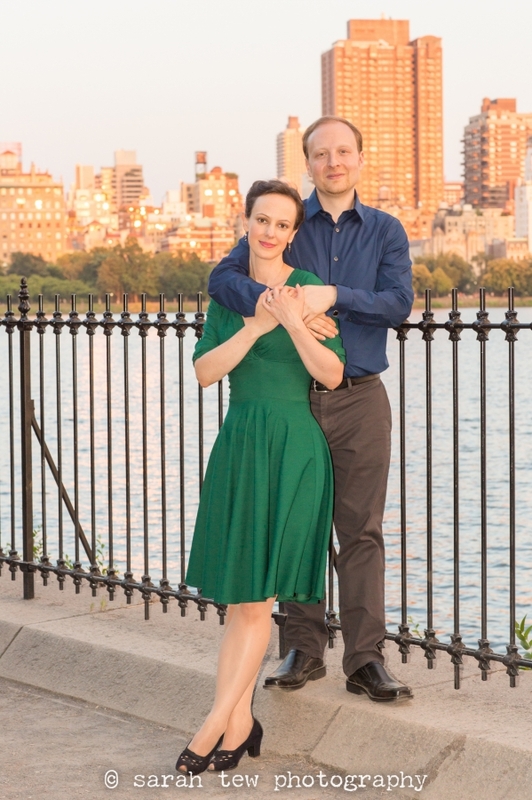 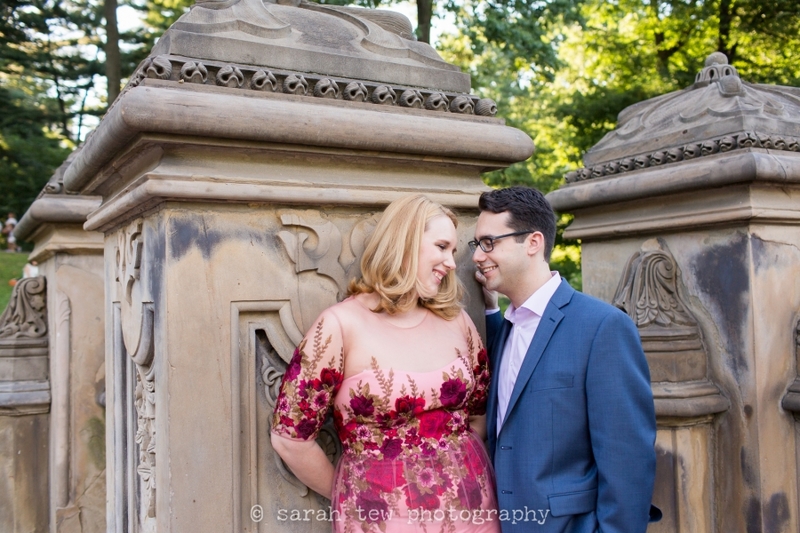 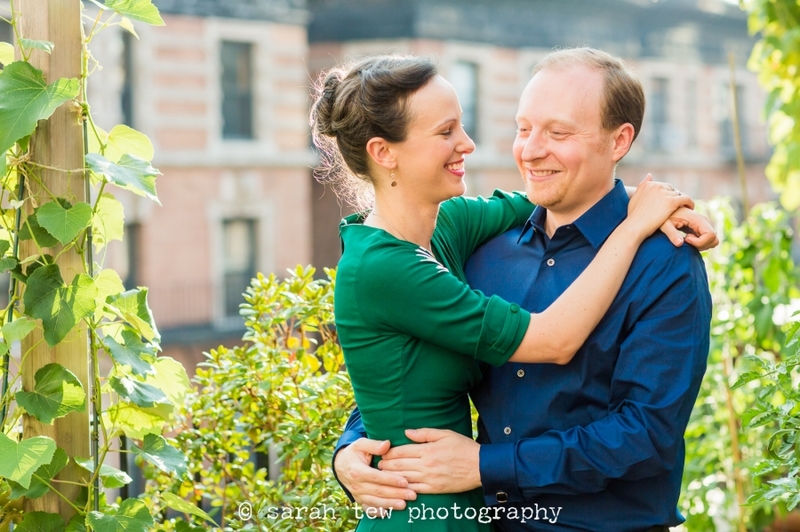 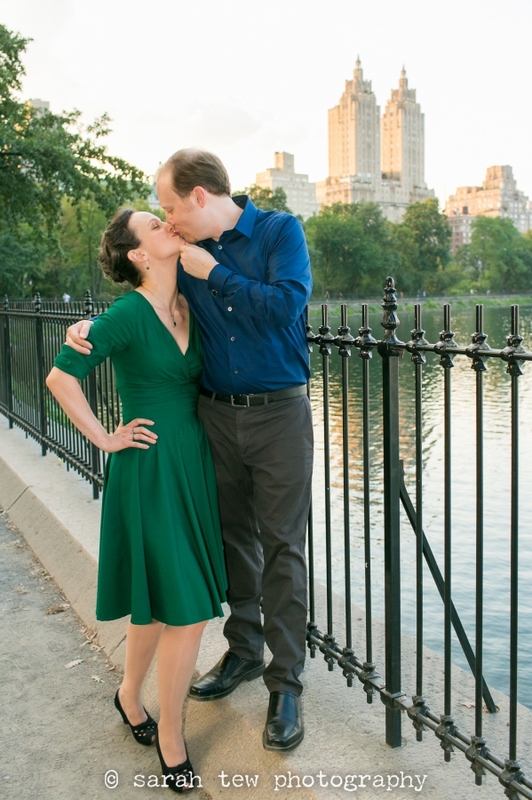 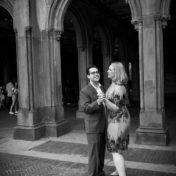 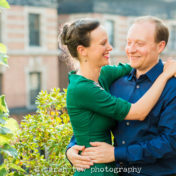 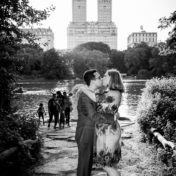 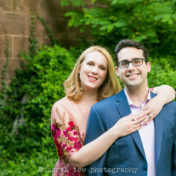 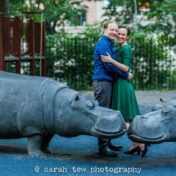 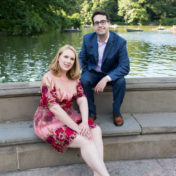 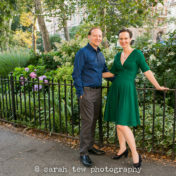 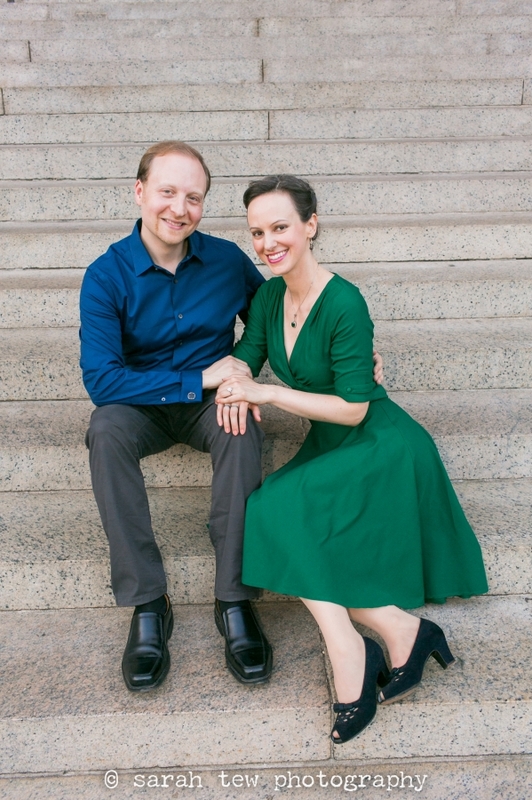 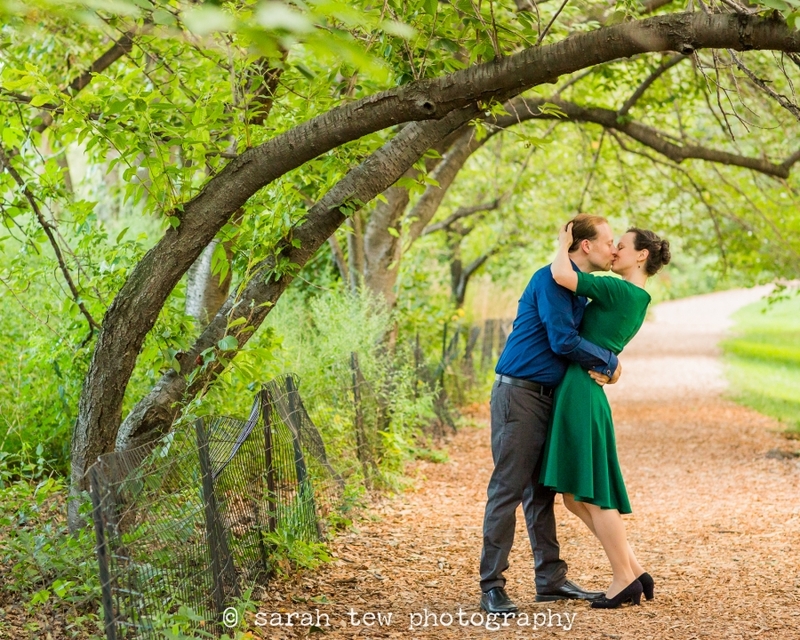 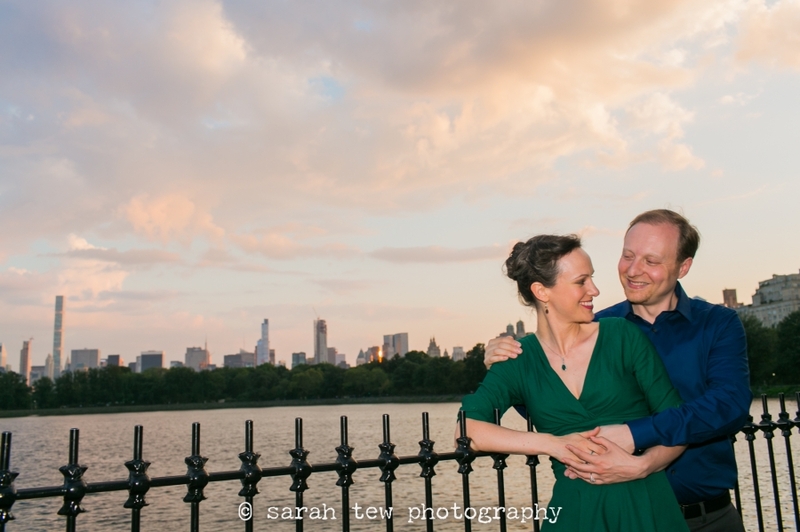 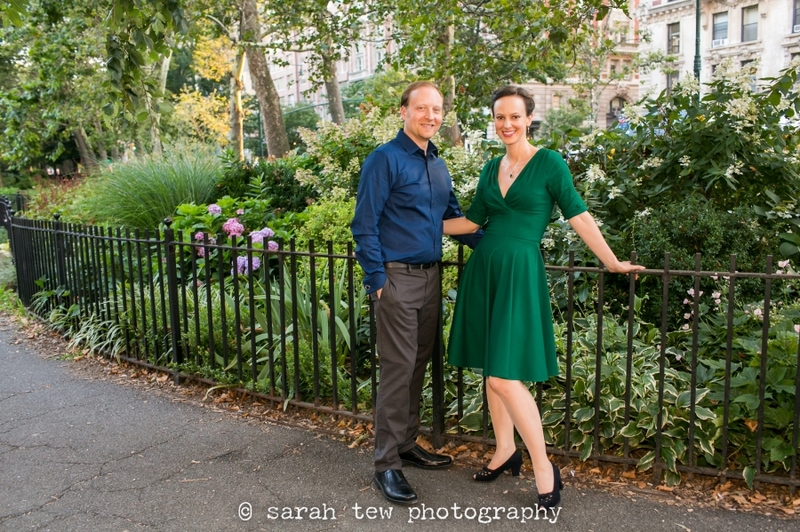 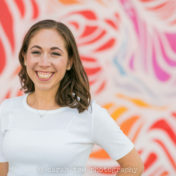 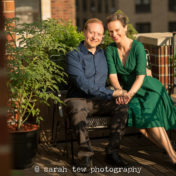 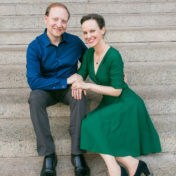 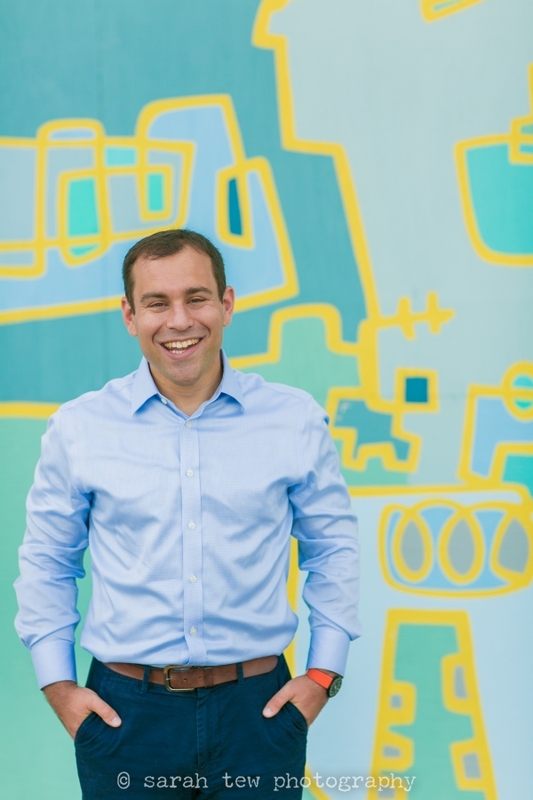 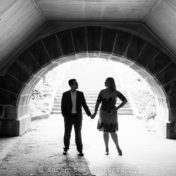 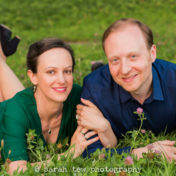 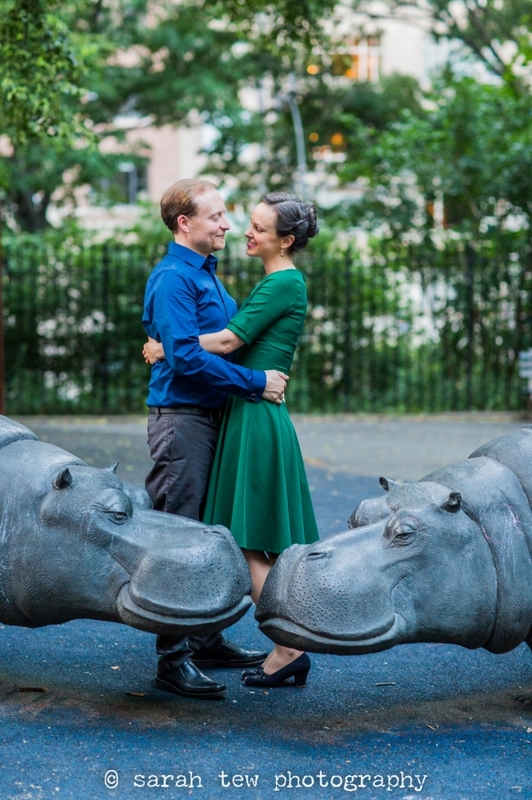 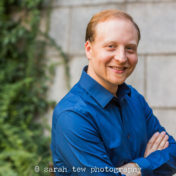 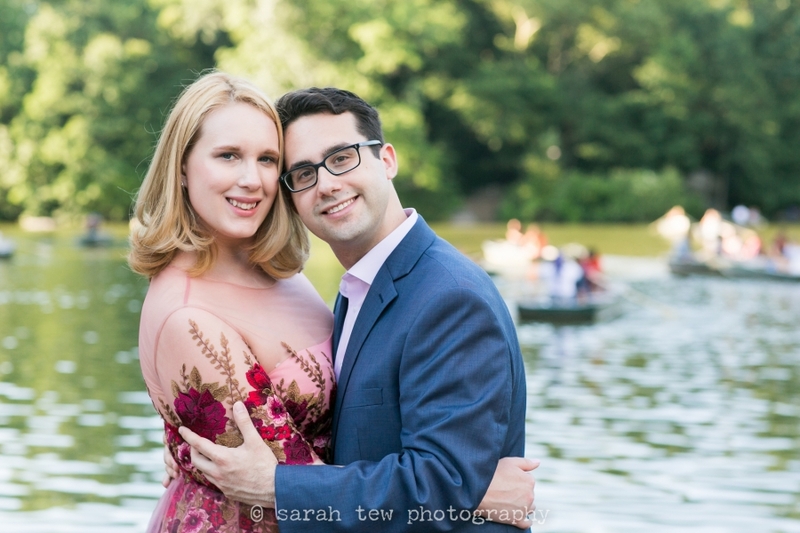 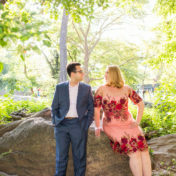 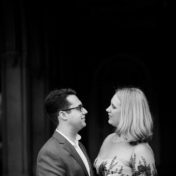 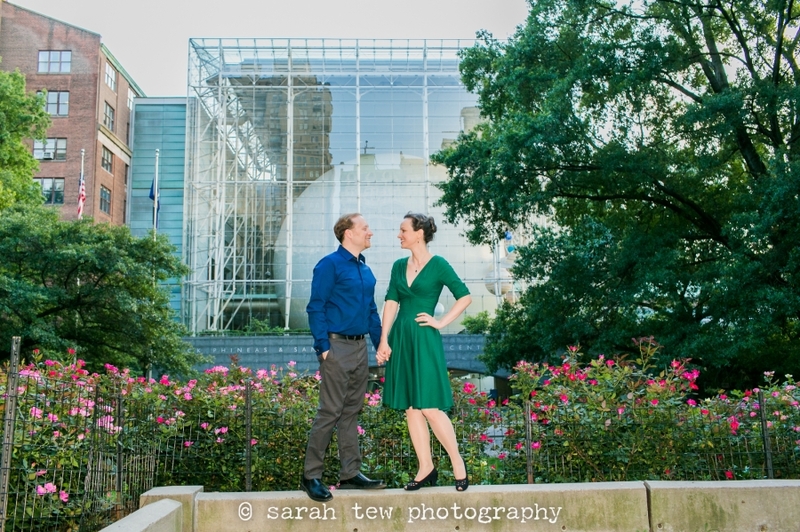 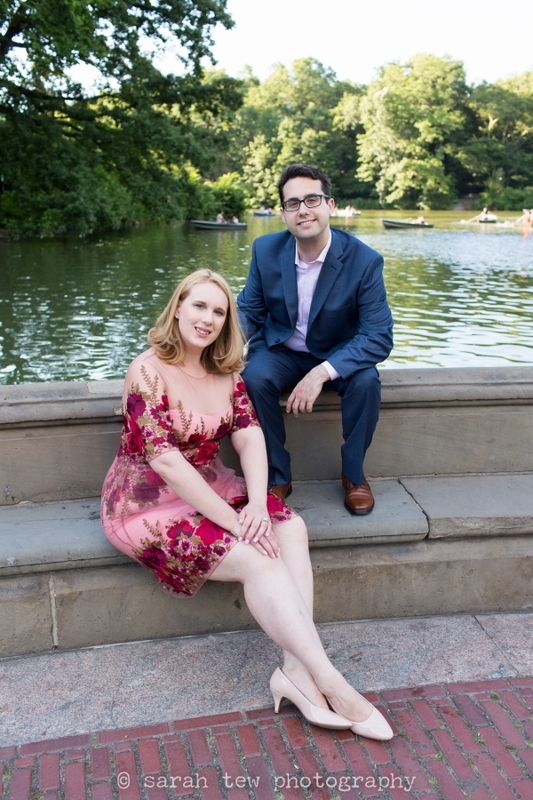 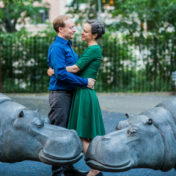 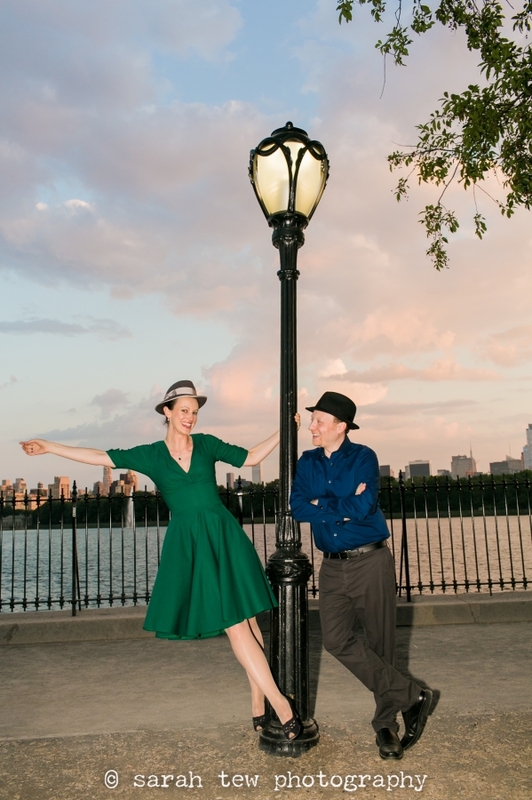 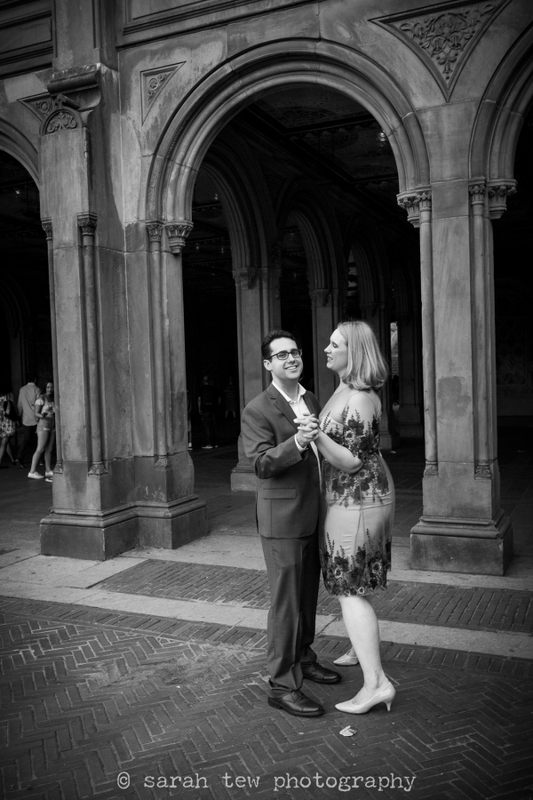 We started our session indoors, capturing them in some unique spots in their place before heading out to Central Park where they had some favorite spots in mind. 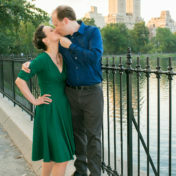 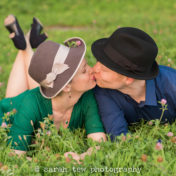 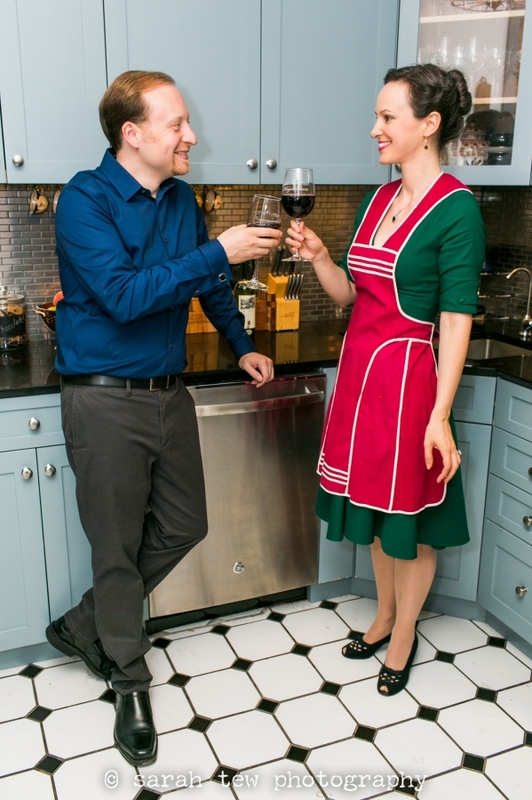 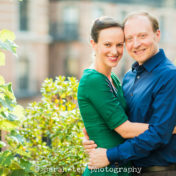 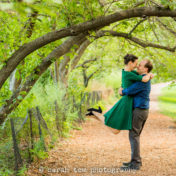 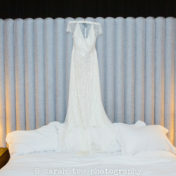 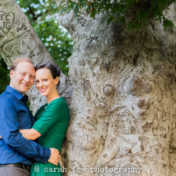 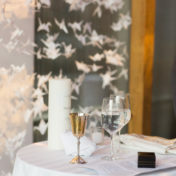 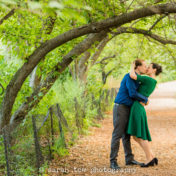 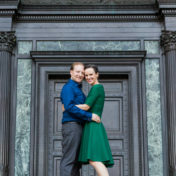 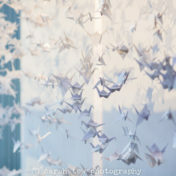 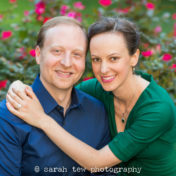 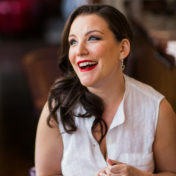 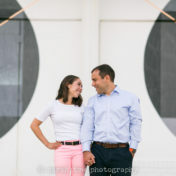 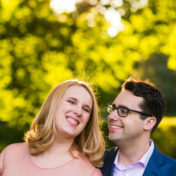 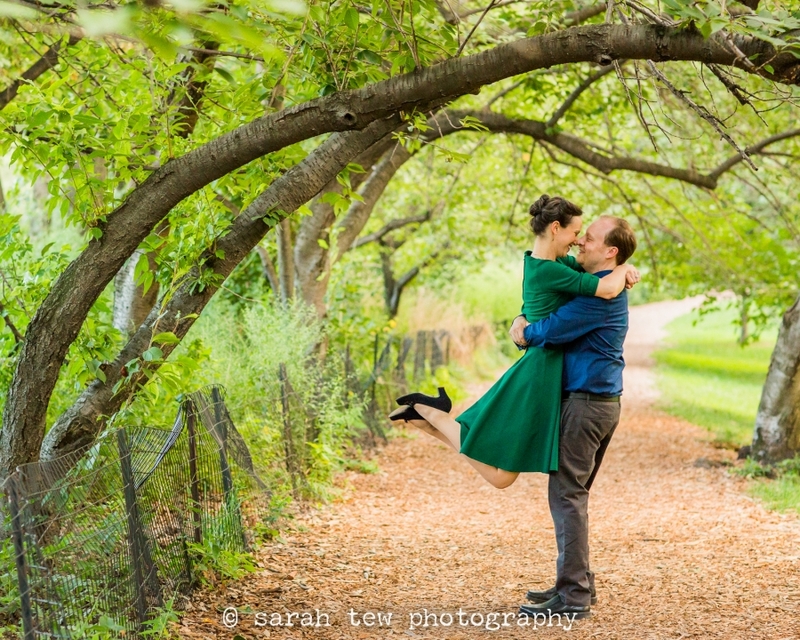 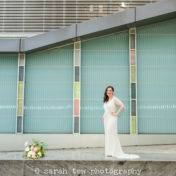 Check out my favorites from their shoot and come back in the fall to see their wedding photos! 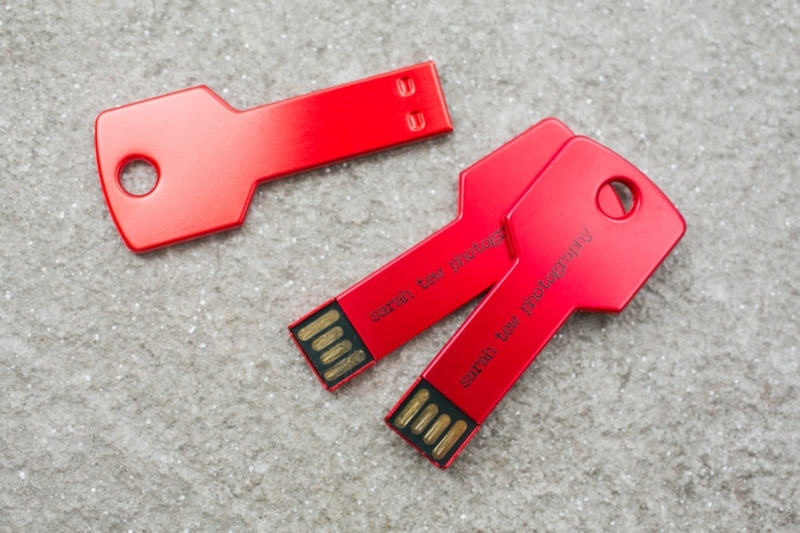 New USB keys are here! 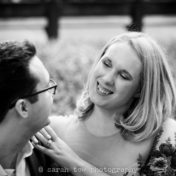 Recently I was contacted by a fellow from USB Memory Direct to see if I’d be interested in trying out one of their USB stick styles. 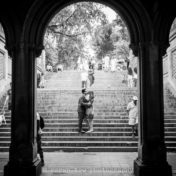 I do often deliver images on USB sticks to my clients so I thought it’d be a great opportunity to check out something different. 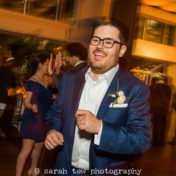 I selected a red metal key-style and had them print my logo on the side. 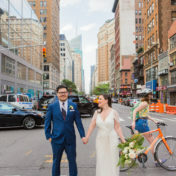 It looks great and so far they work just like any other USB stick, no problems. 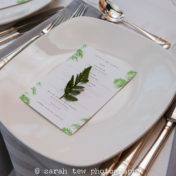 I plan to package them in pretty little red velvet pouches. 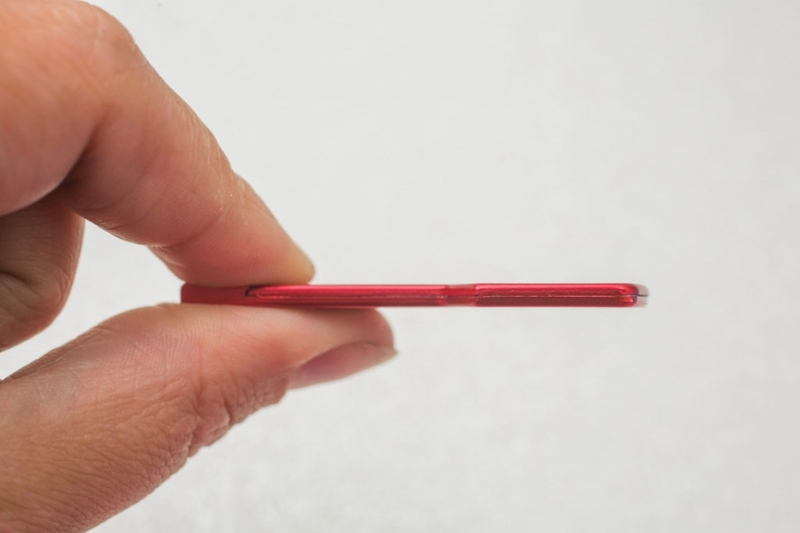 The cool thing about these flat sturdy keys is that I can mail them in a simple flat mailer rather than a box. 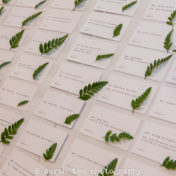 See the pictures below for details and if you’re in the market for USB sticks check out their full line of designs. 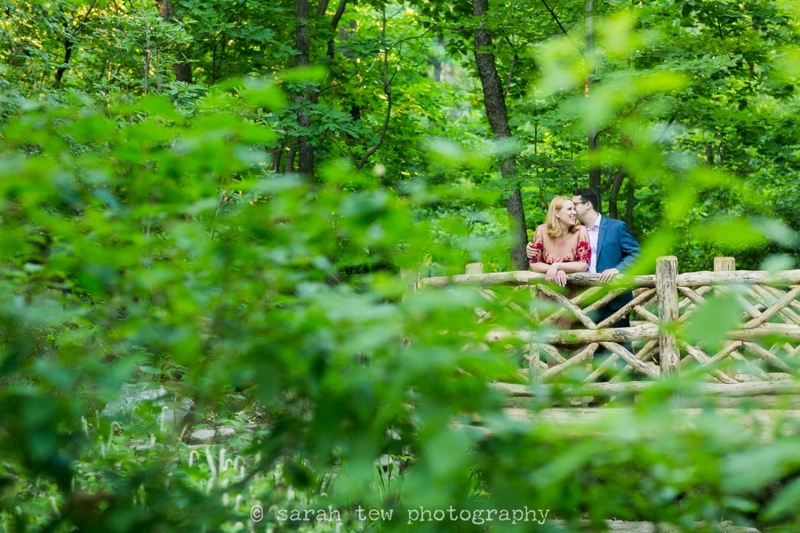 Sarah & Matthew are having their wedding at de Seversky Mansion in Brookeville, NY next May, and I’m so excited to capture it! 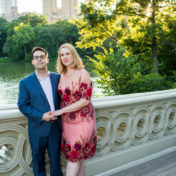 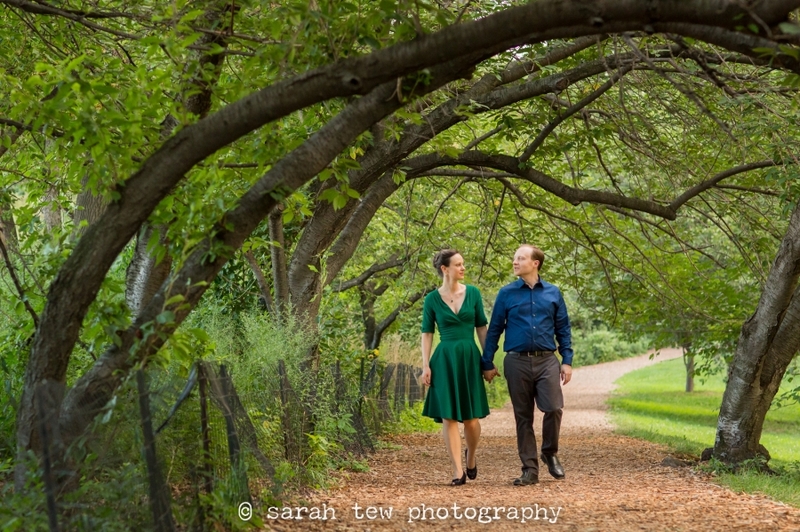 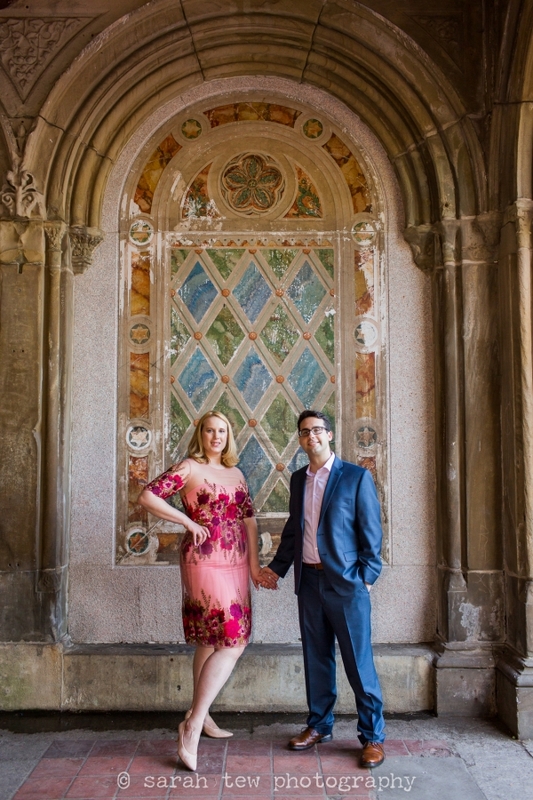 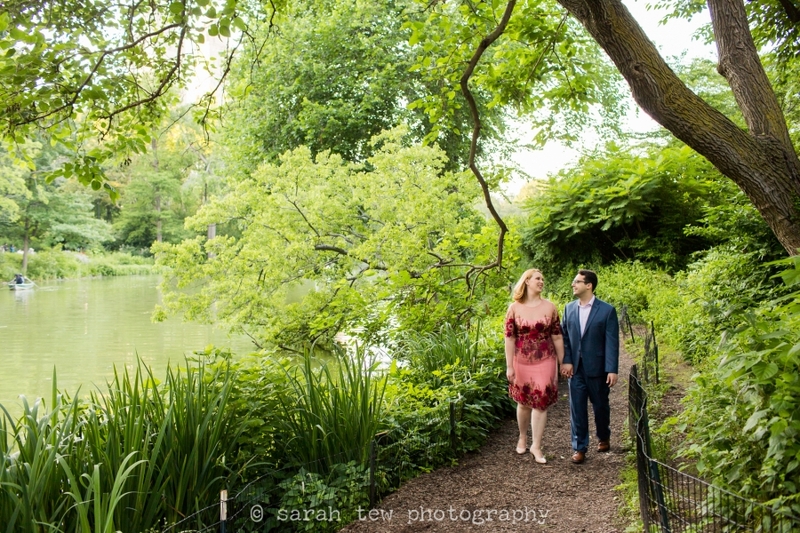 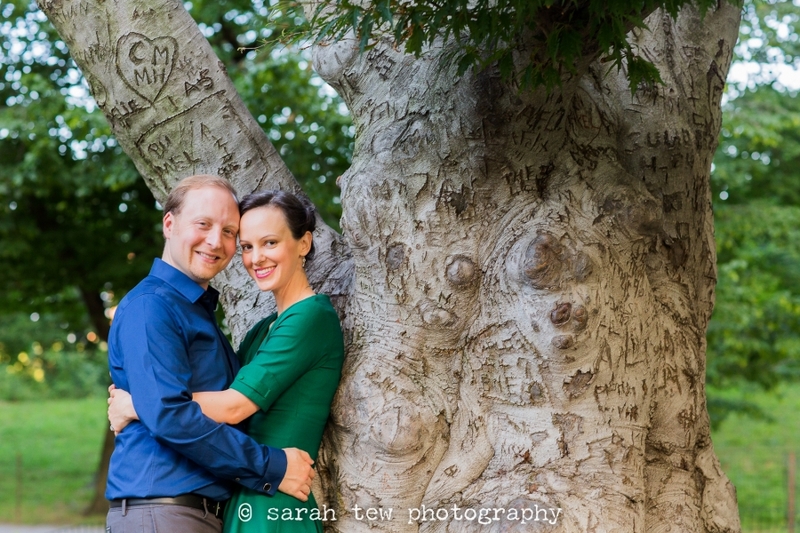 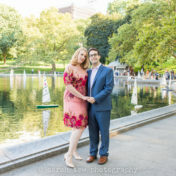 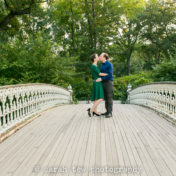 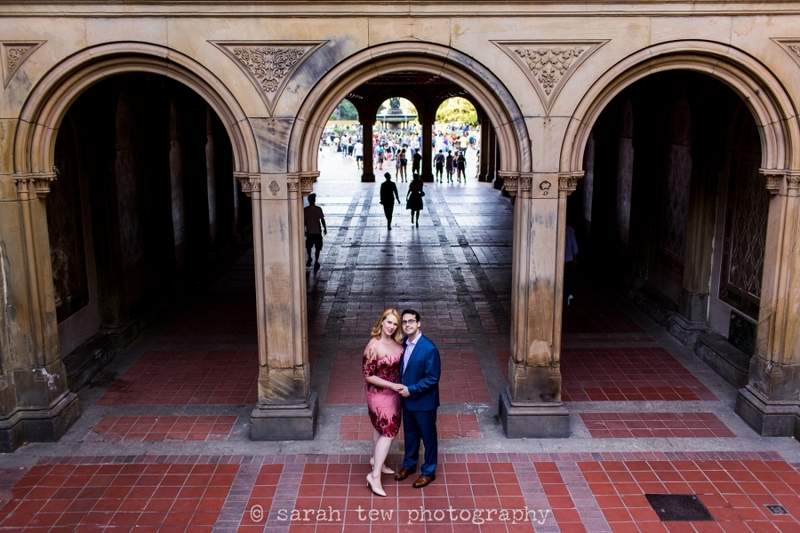 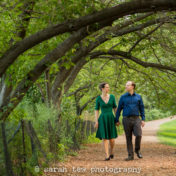 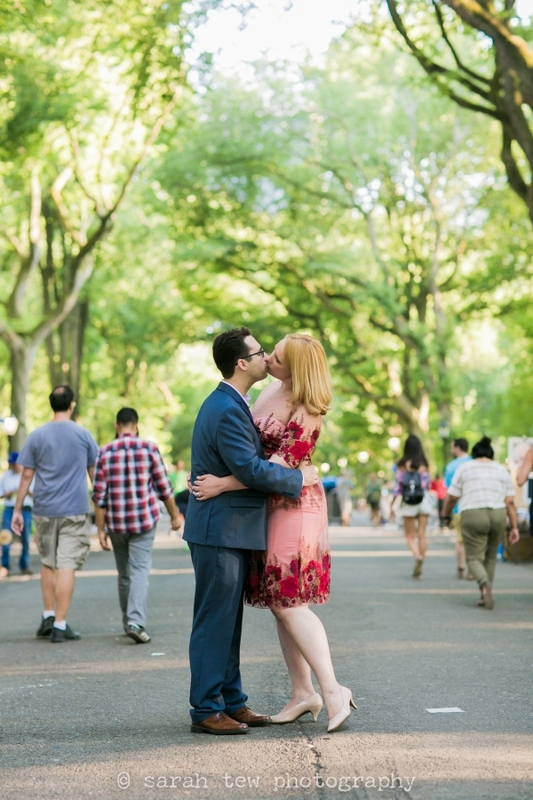 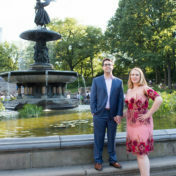 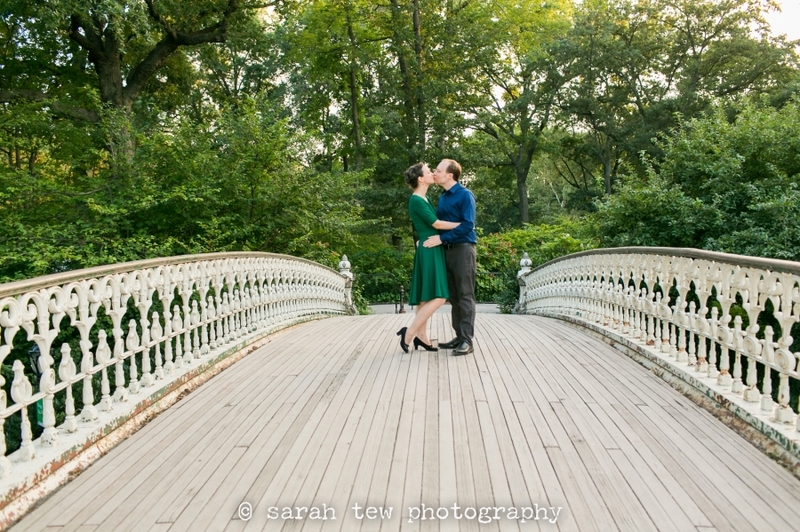 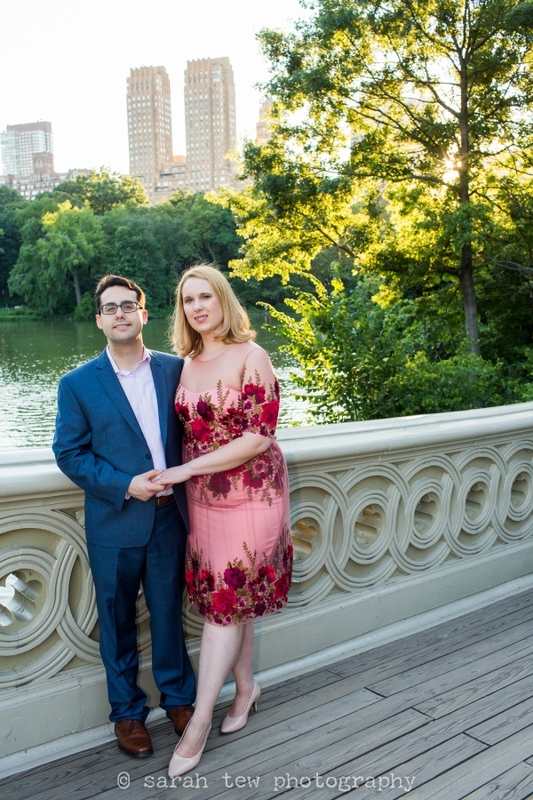 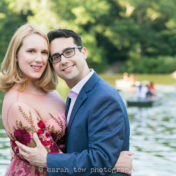 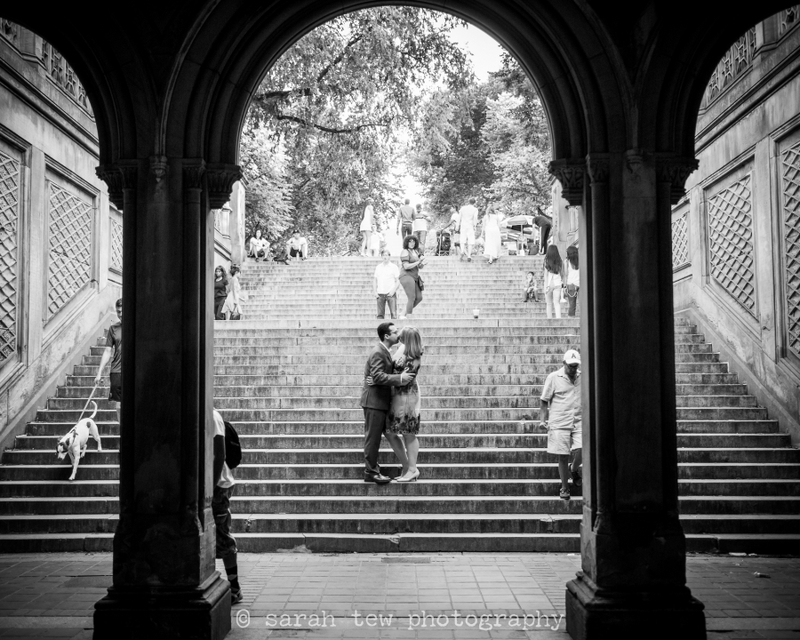 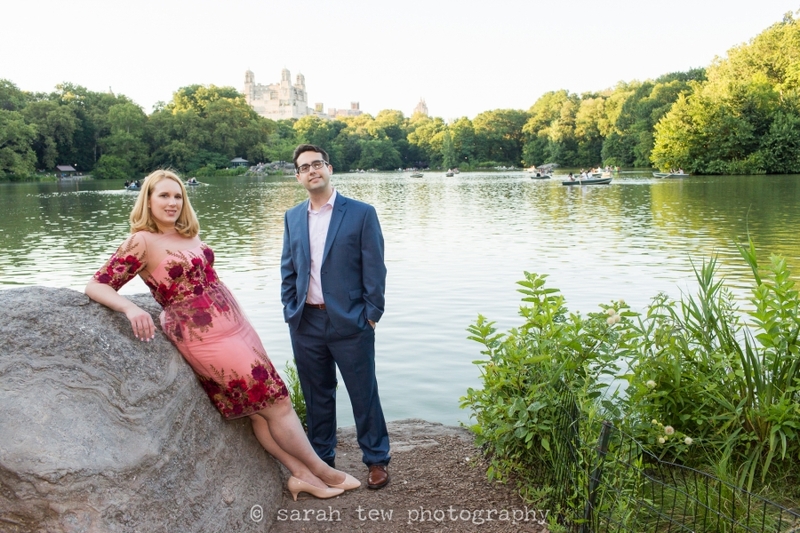 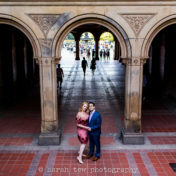 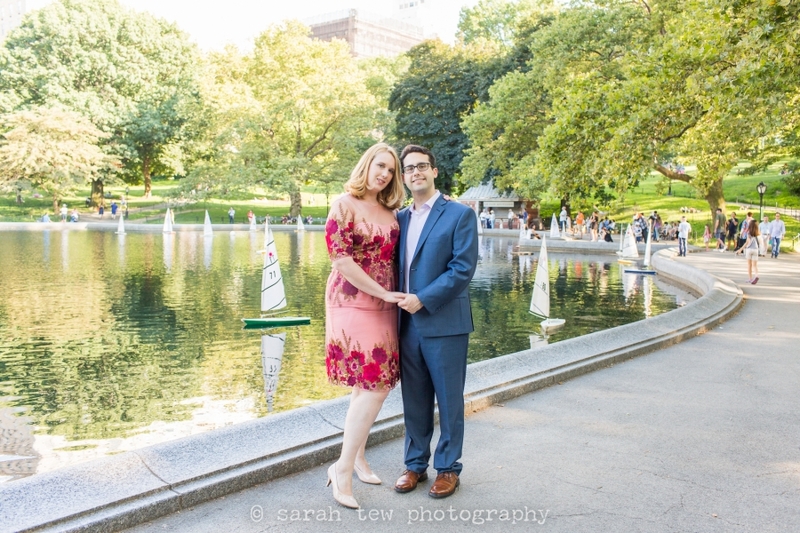 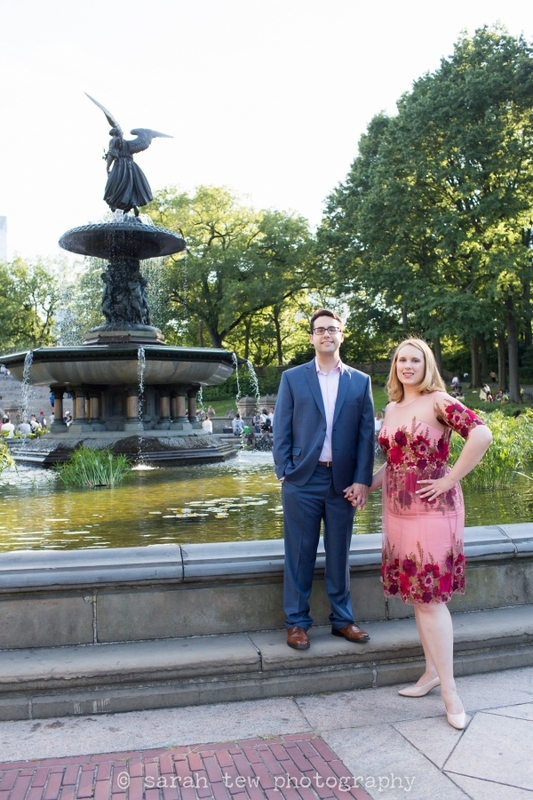 For the engagement portraits they wanted to shoot in Central Park, so we met by an entrance and explored the beautiful area surrounding Bethesda Fountain, the Mall, Bow Bridge, and even walked up into the Ramble towards the end, which was fun to explore as somehow I’d never walked up that way. 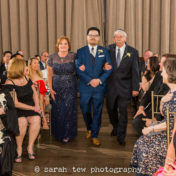 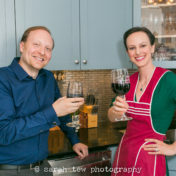 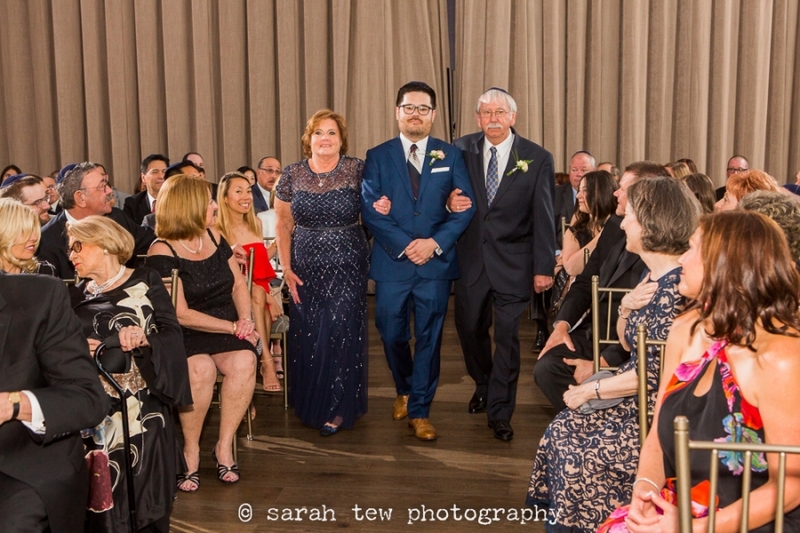 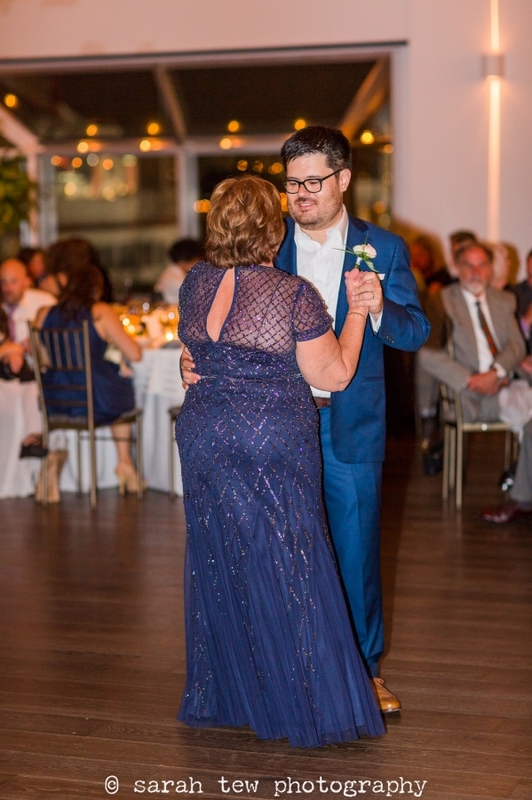 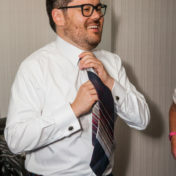 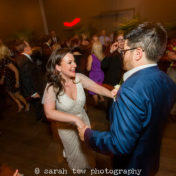 I loved the beautiful dress Sarah was wearing, and it looked especially great combined with Matthew’s sharp blue suit. 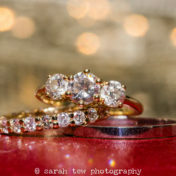 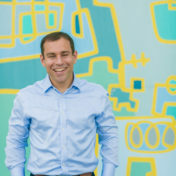 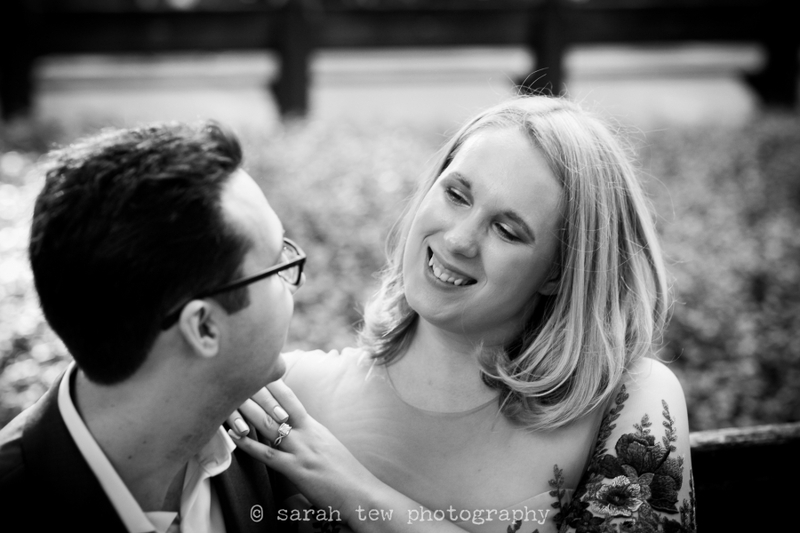 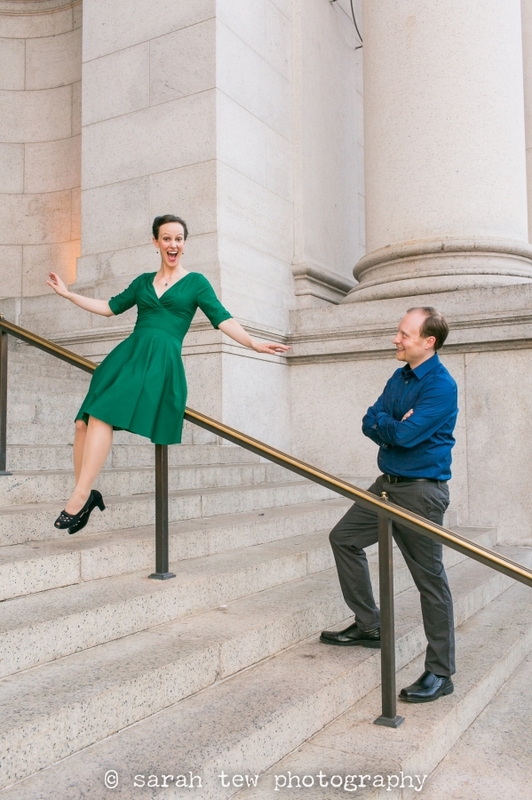 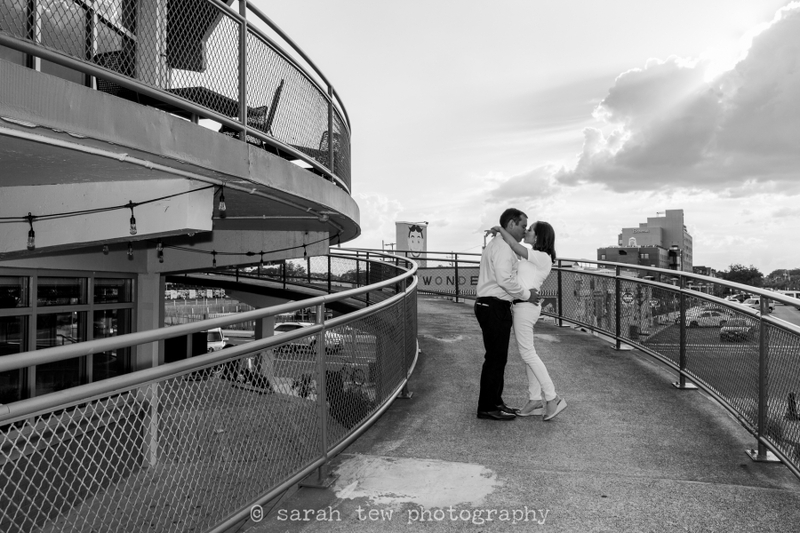 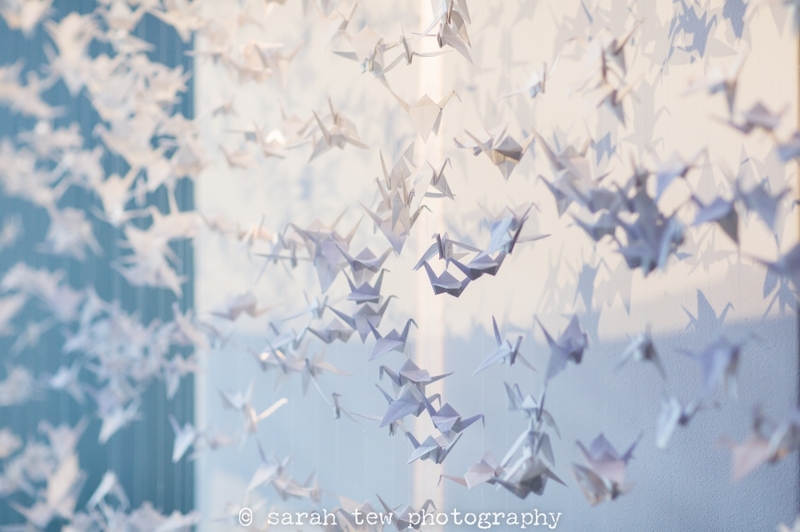 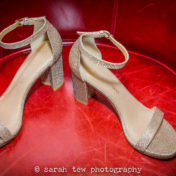 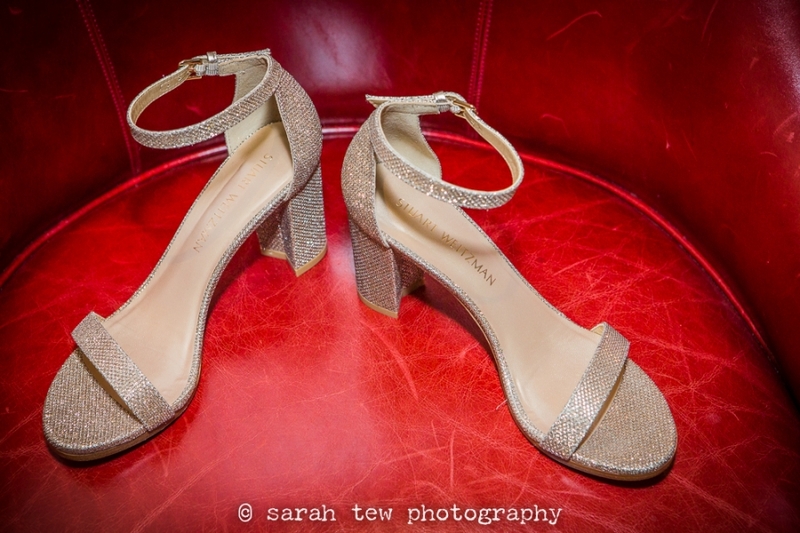 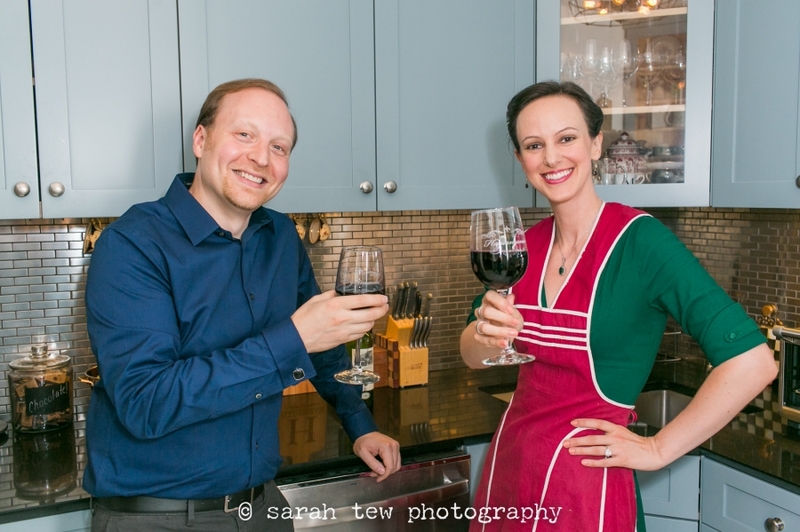 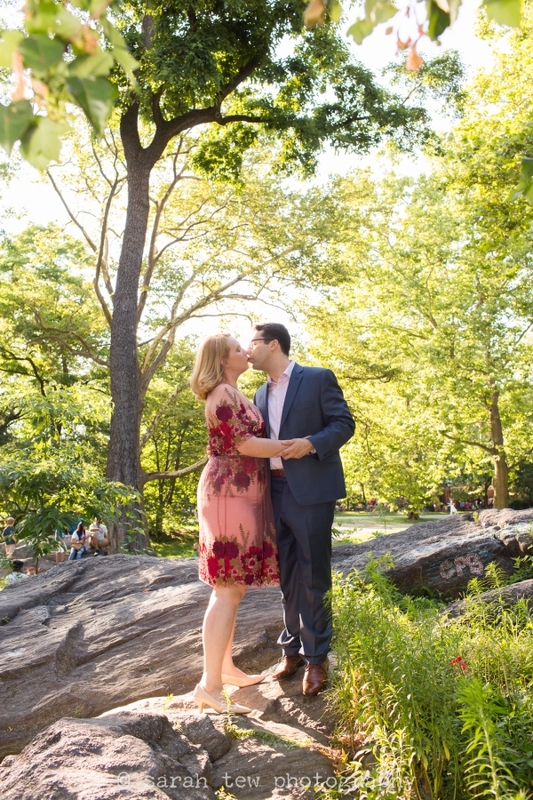 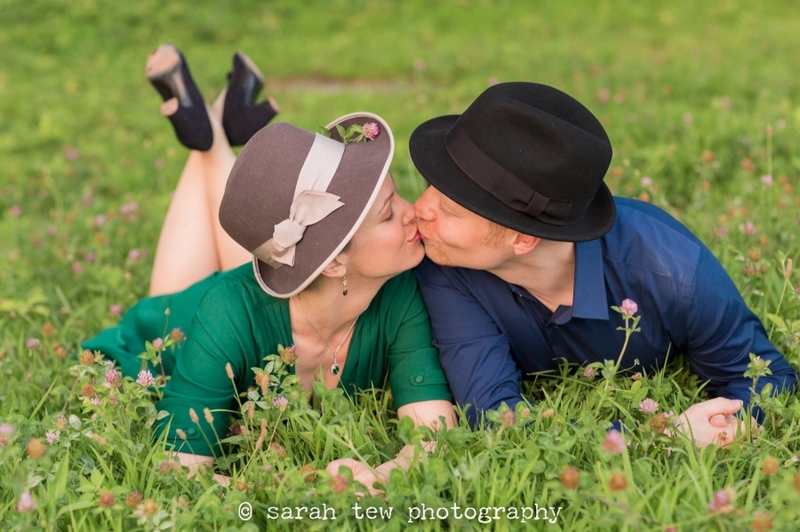 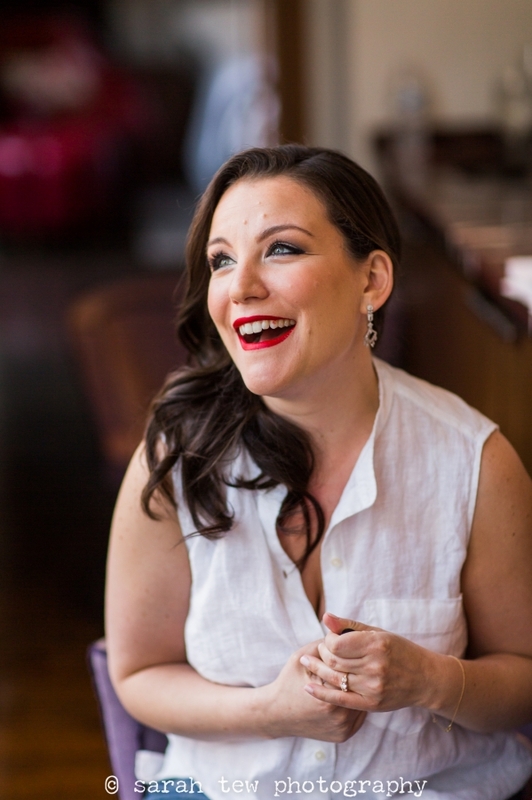 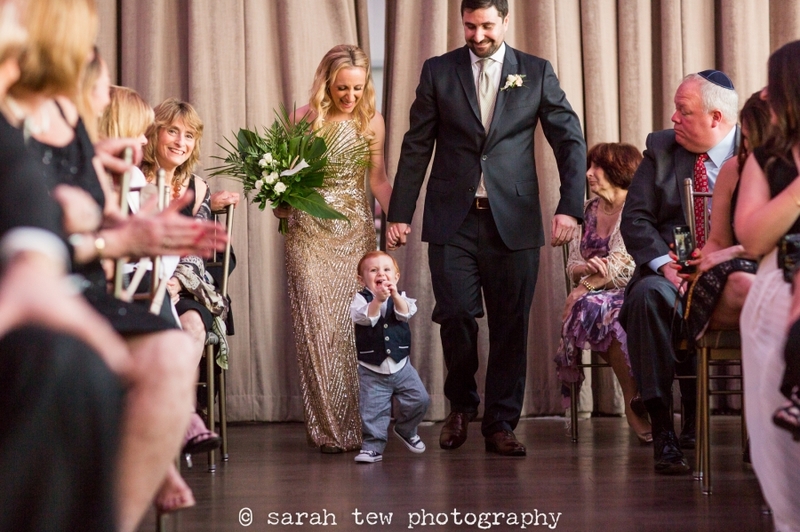 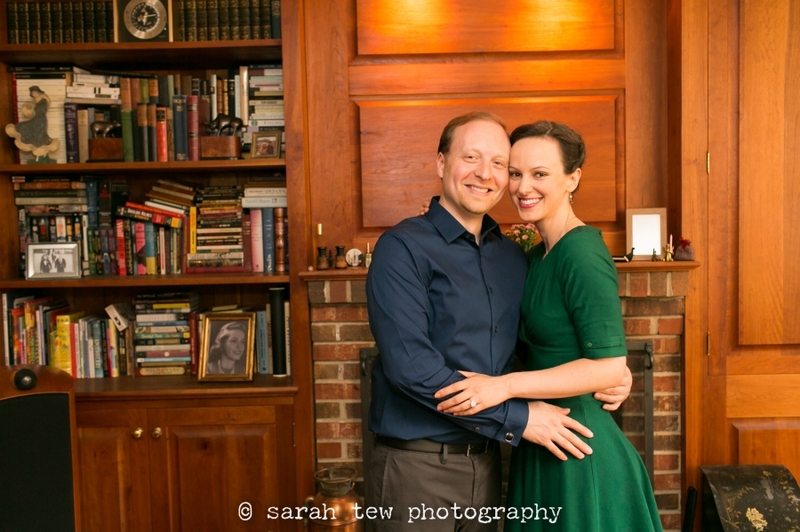 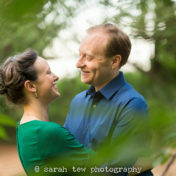 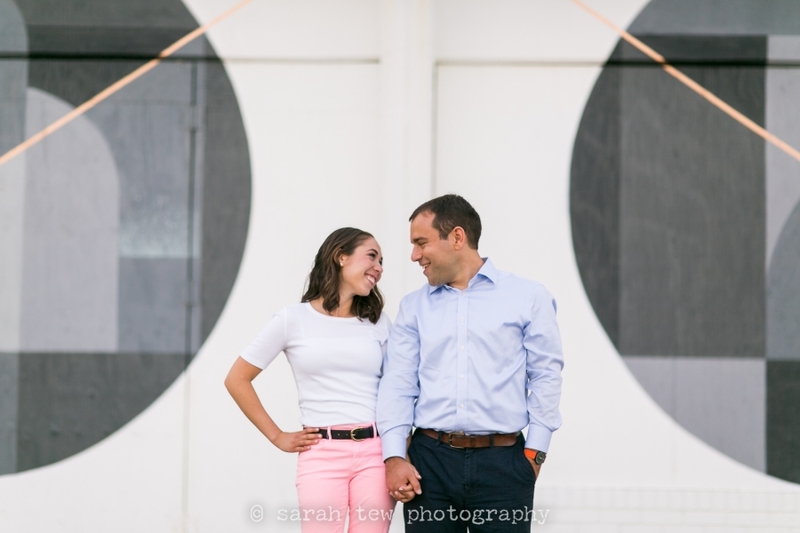 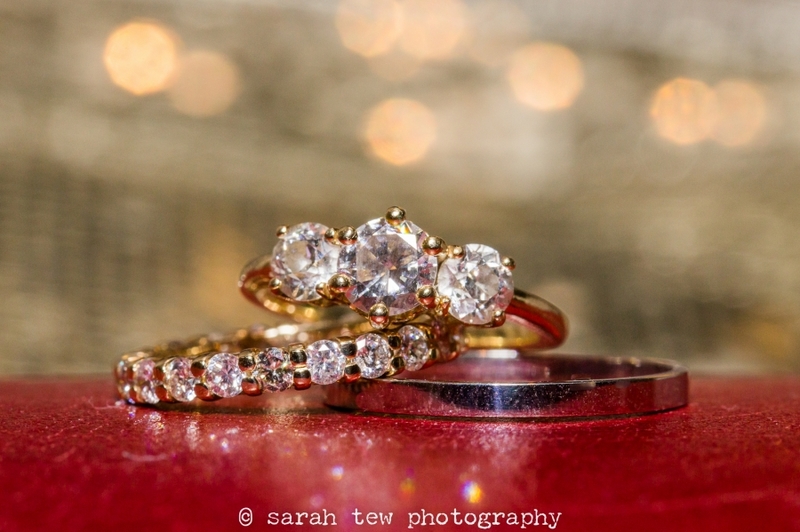 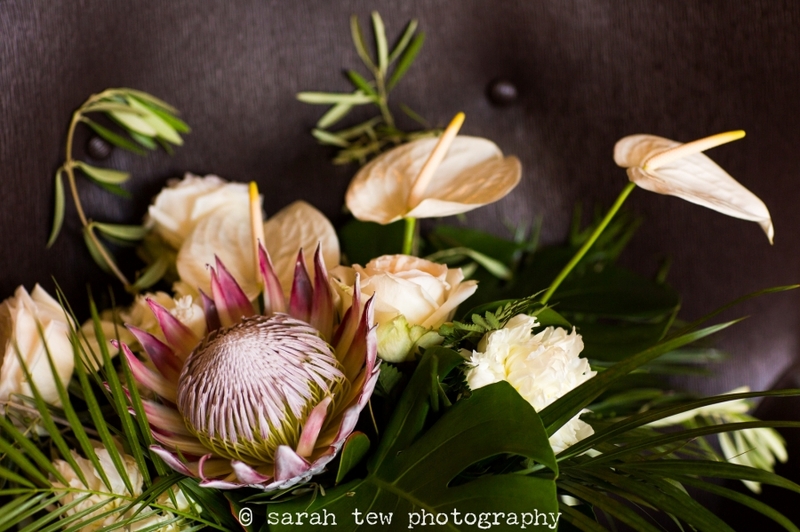 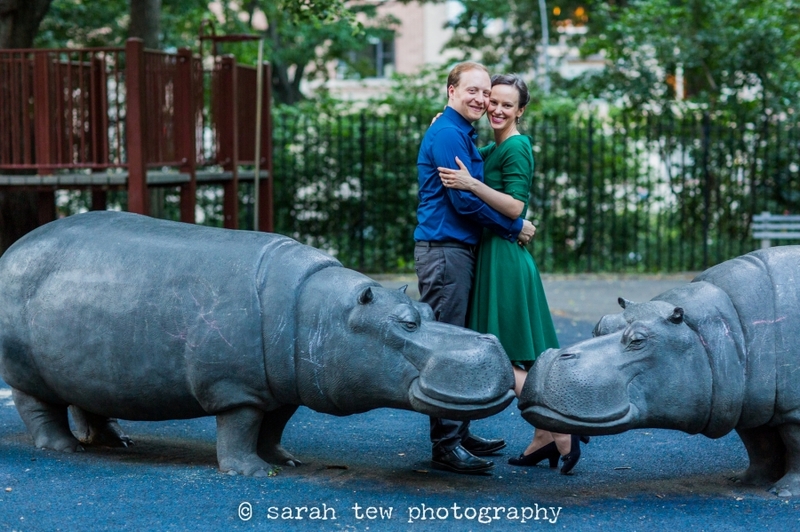 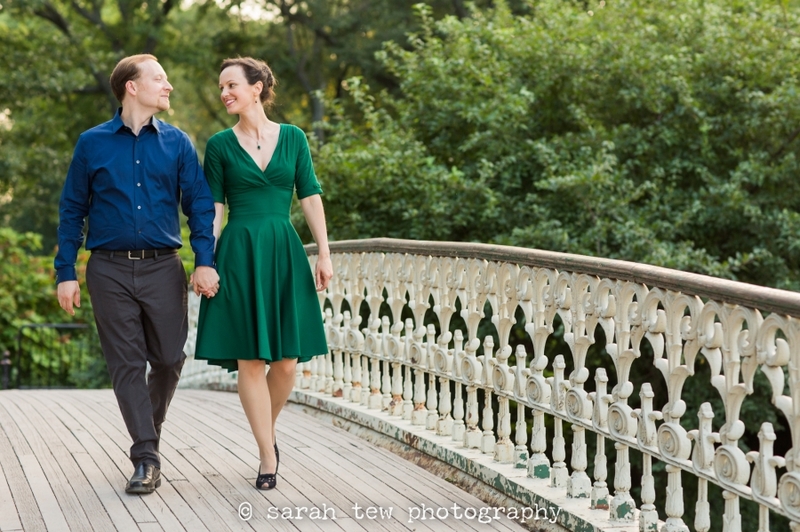 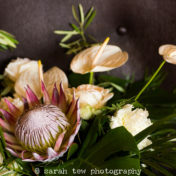 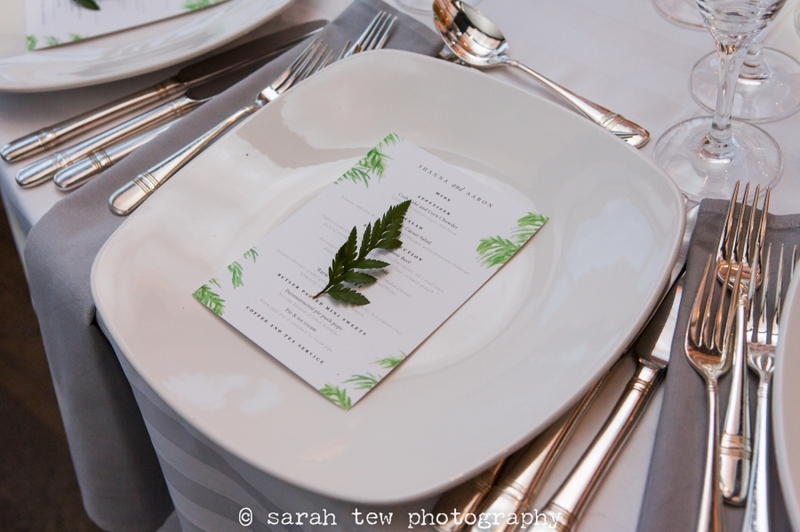 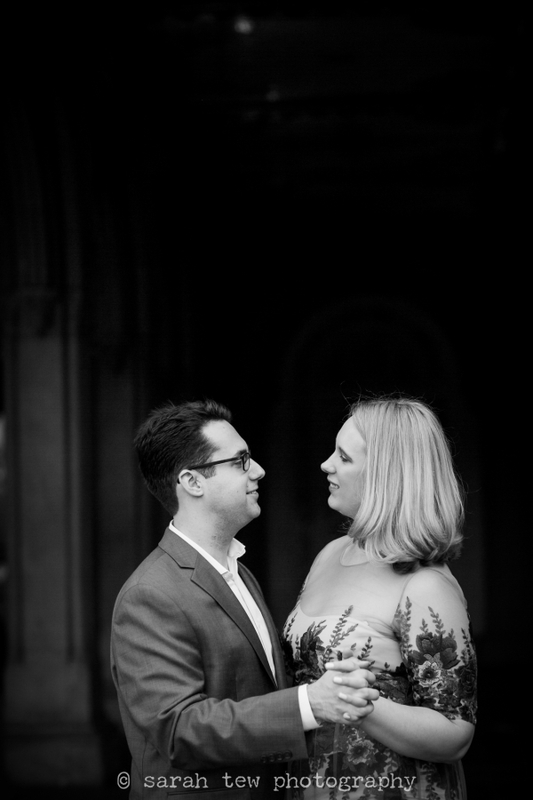 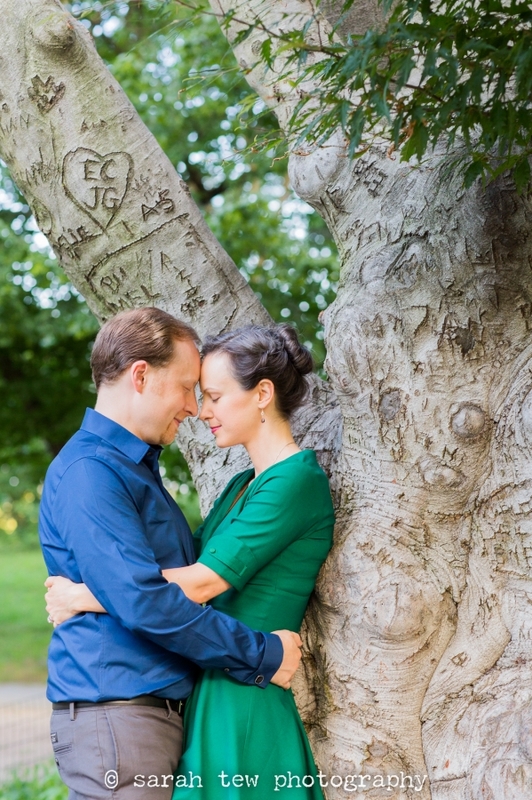 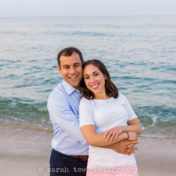 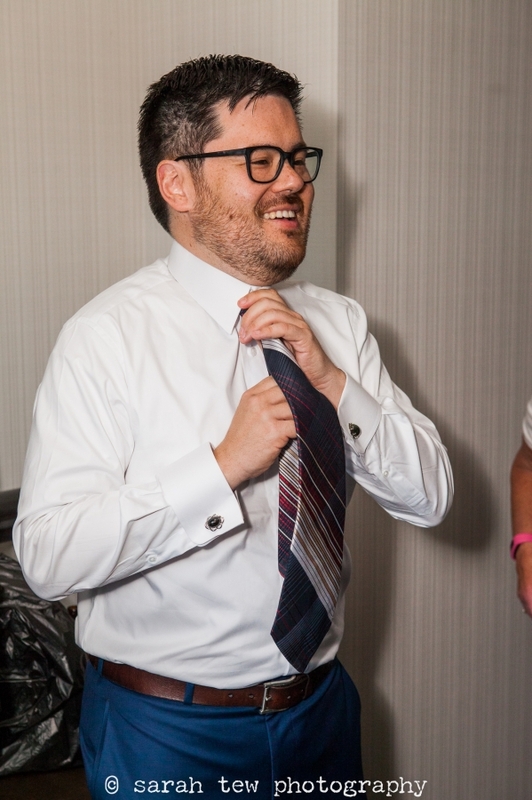 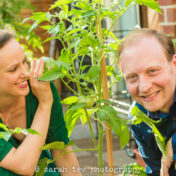 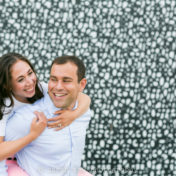 Check out my favorites from our shoot and check back in June to see their wedding photos! 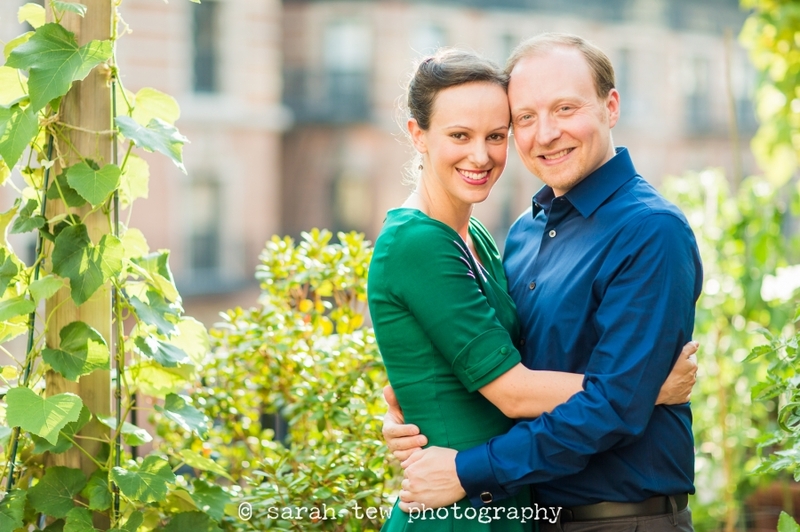 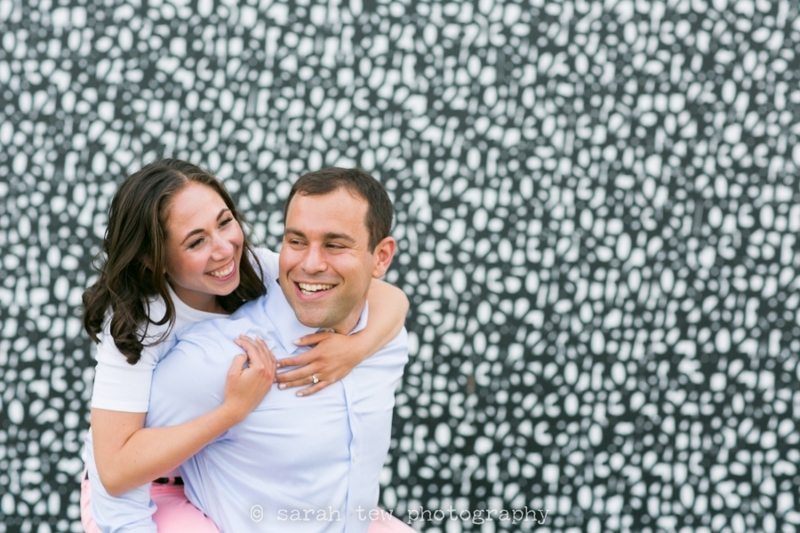 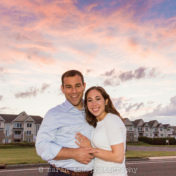 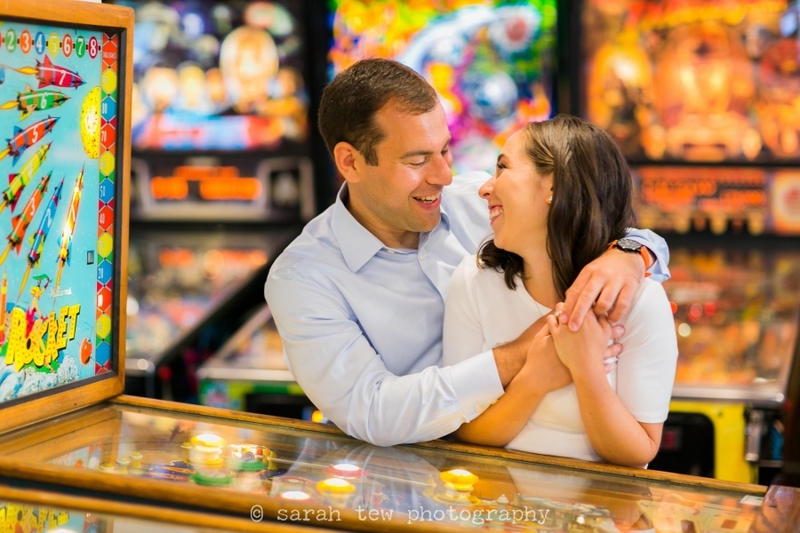 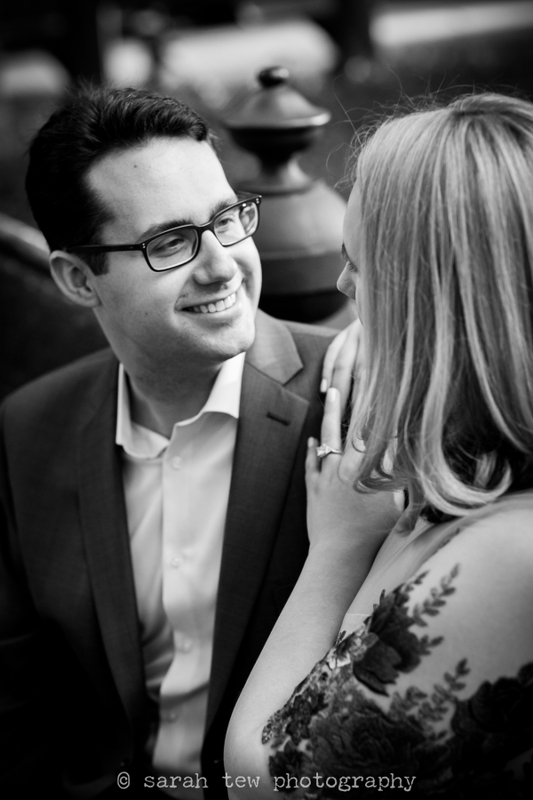 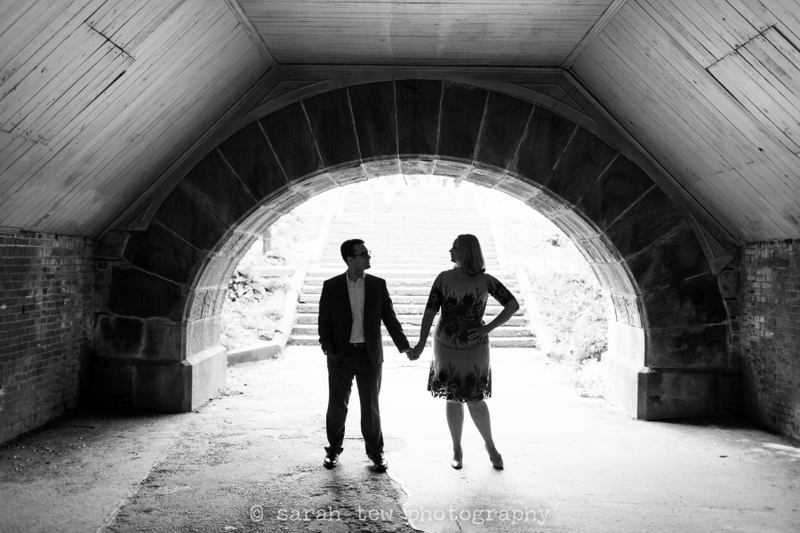 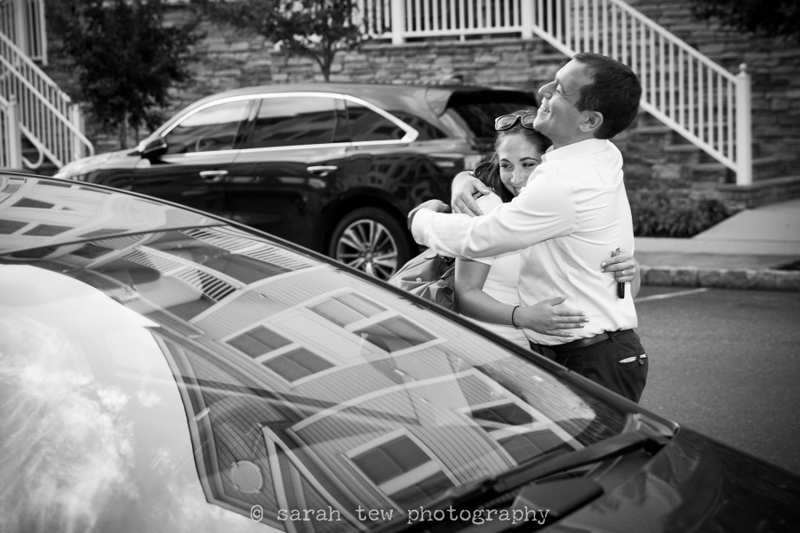 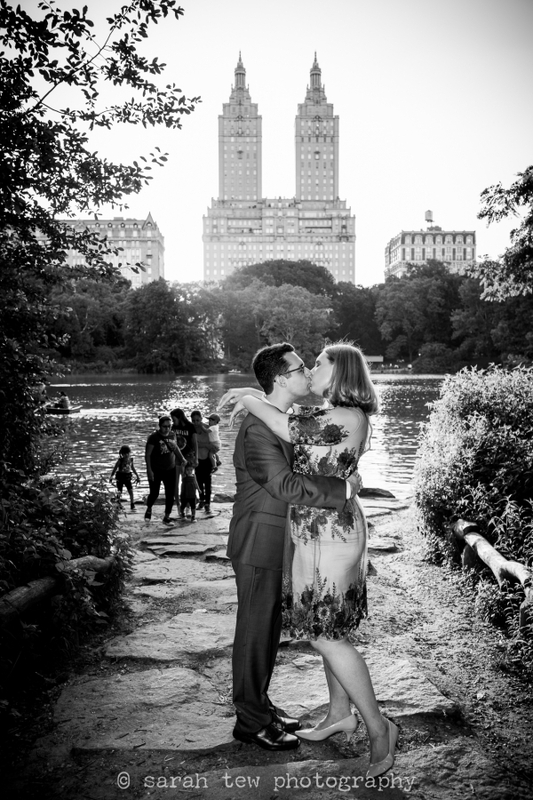 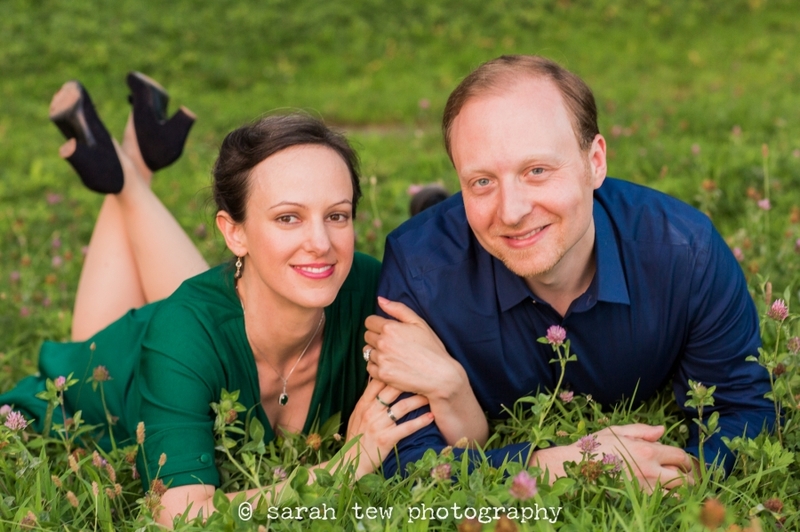 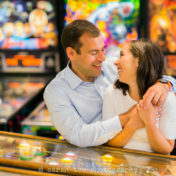 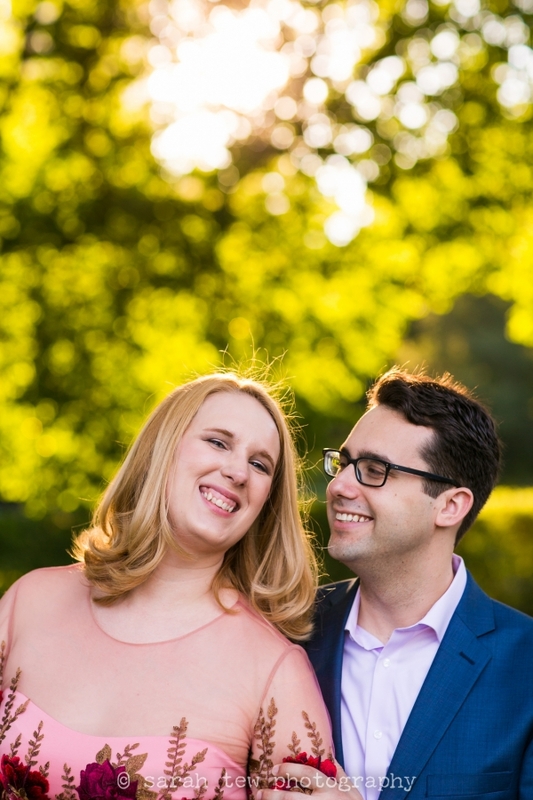 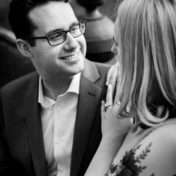 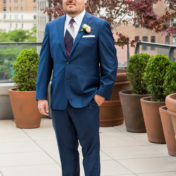 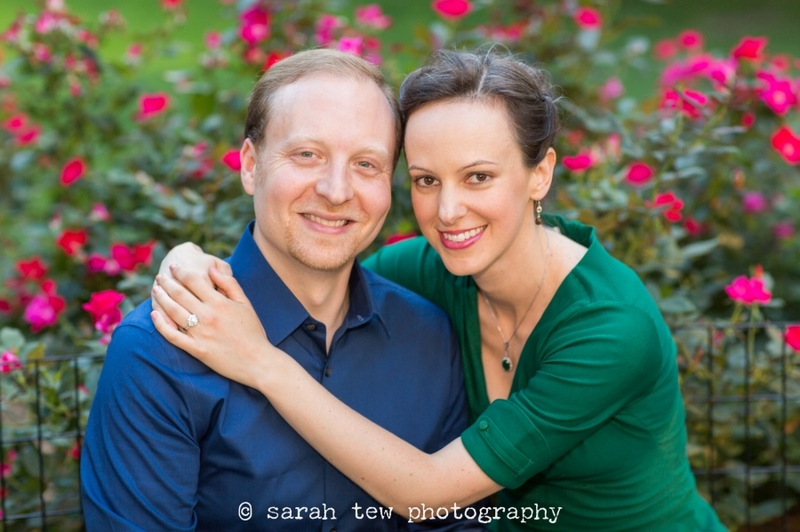 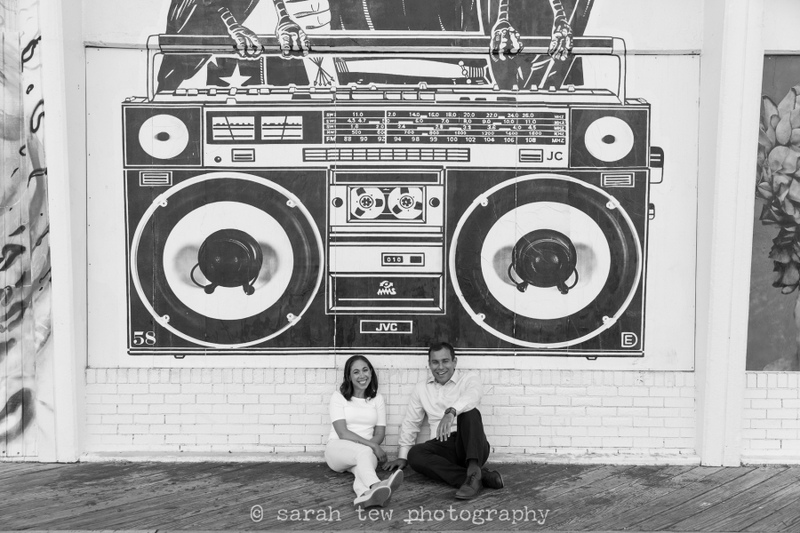 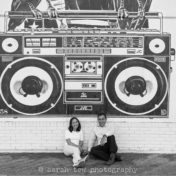 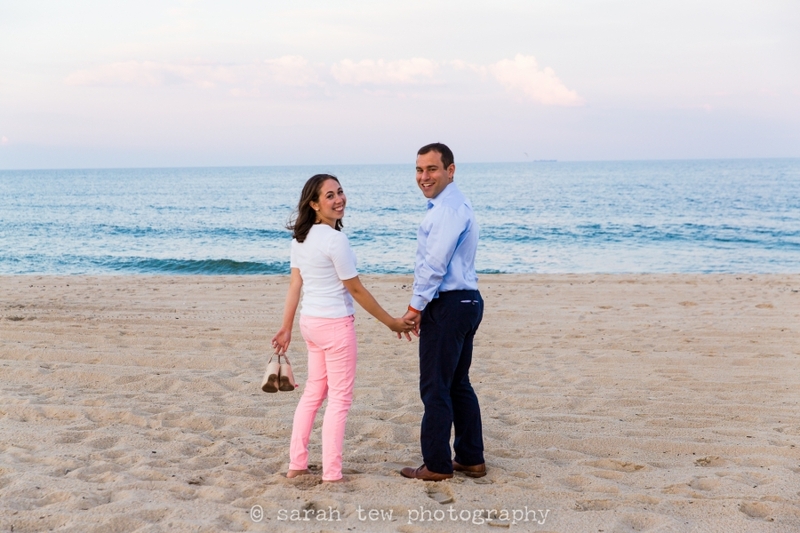 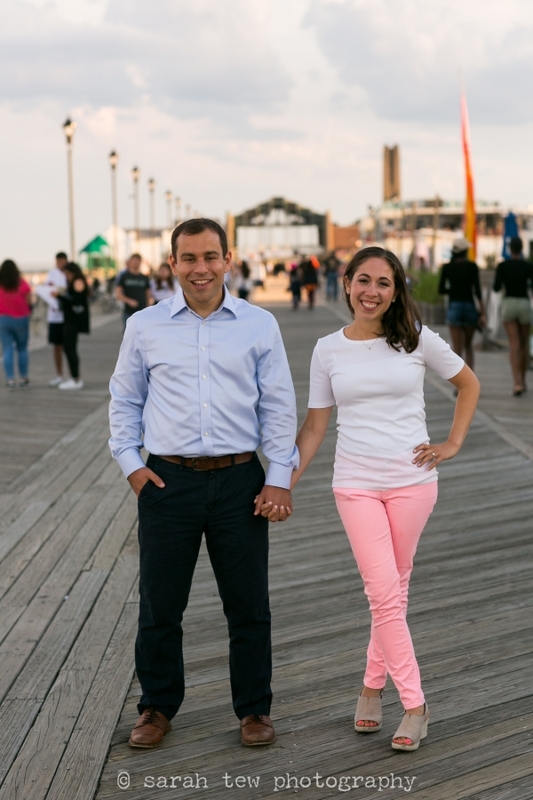 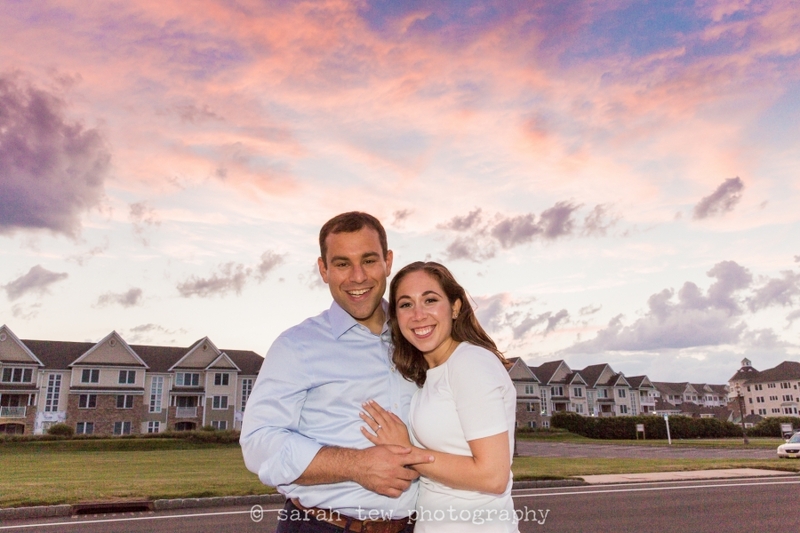 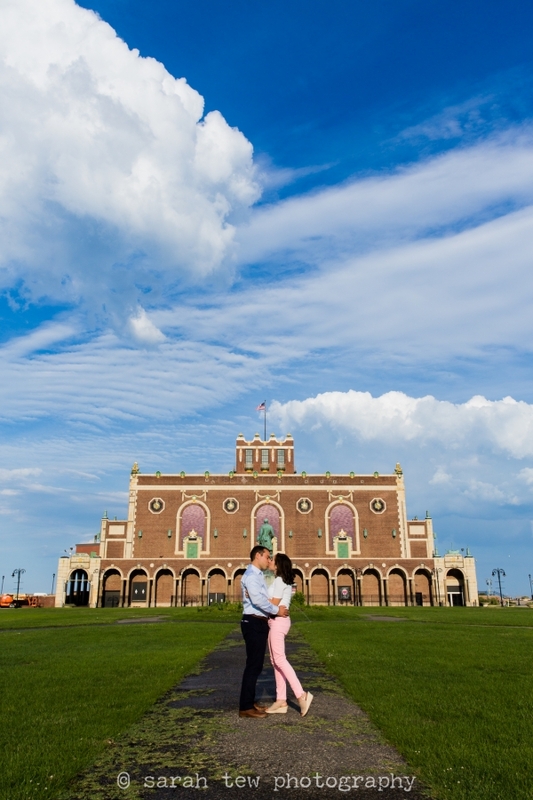 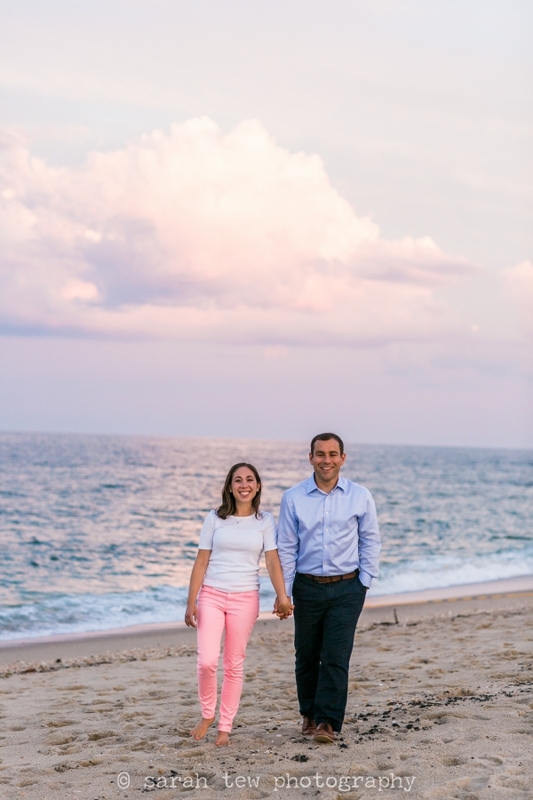 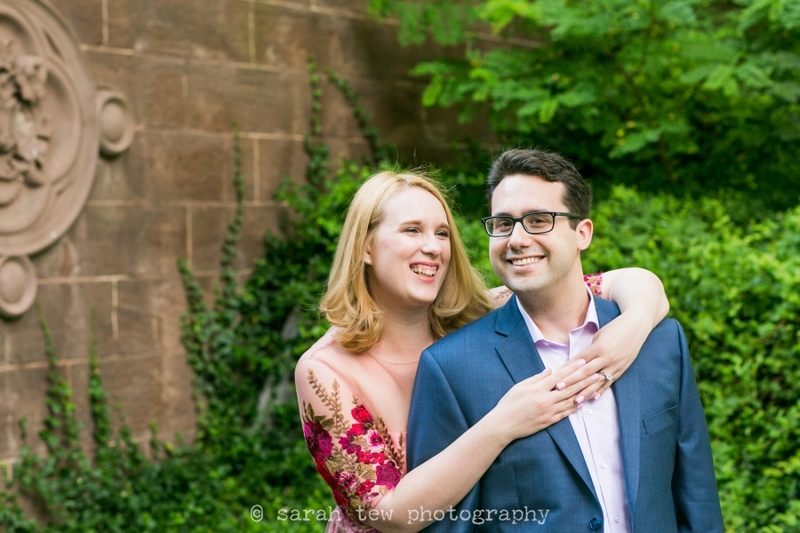 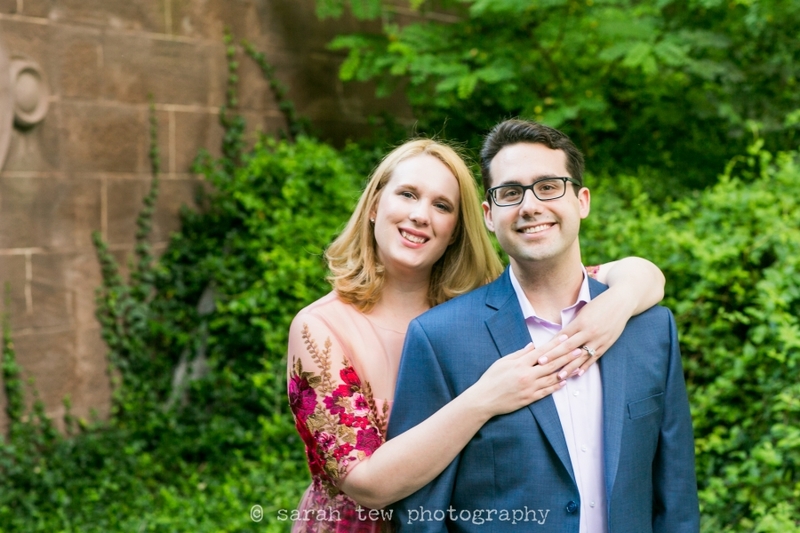 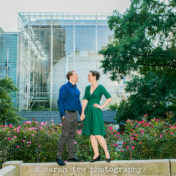 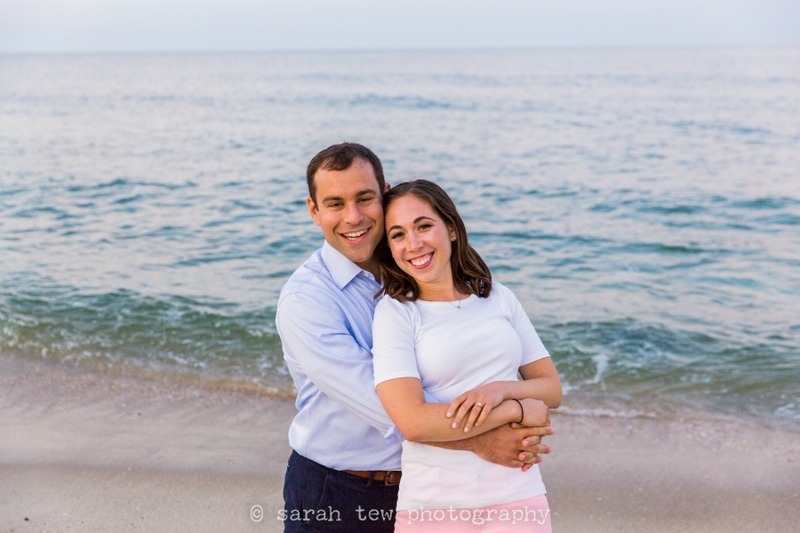 Noemi & Mike are getting married in November at the Westin Hotel in Jersey City. 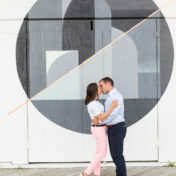 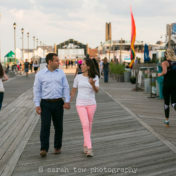 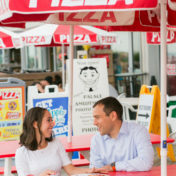 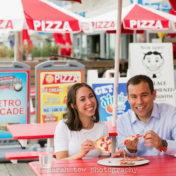 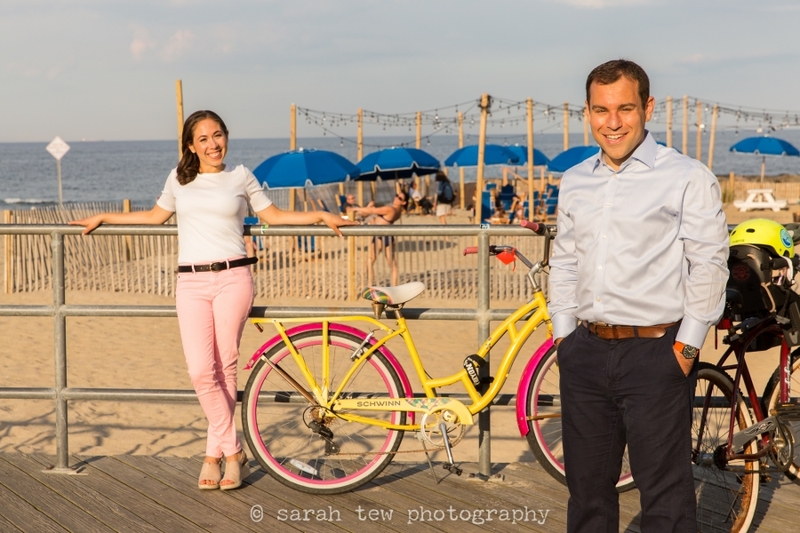 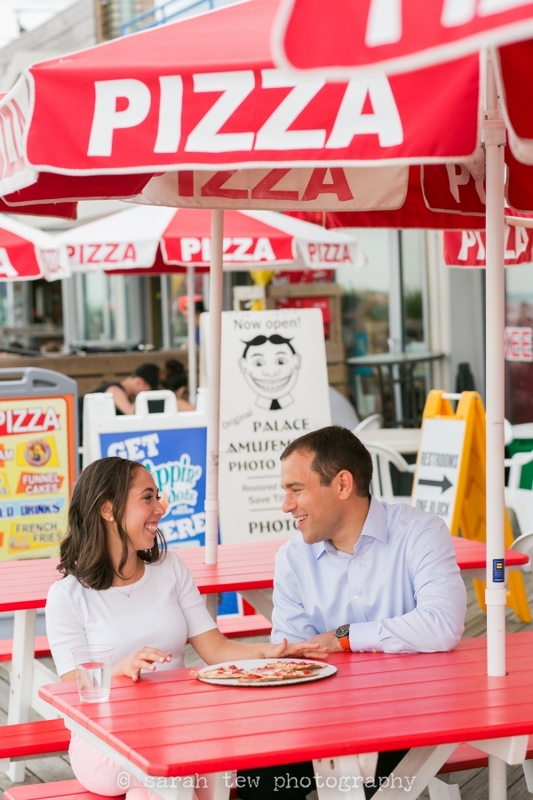 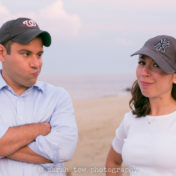 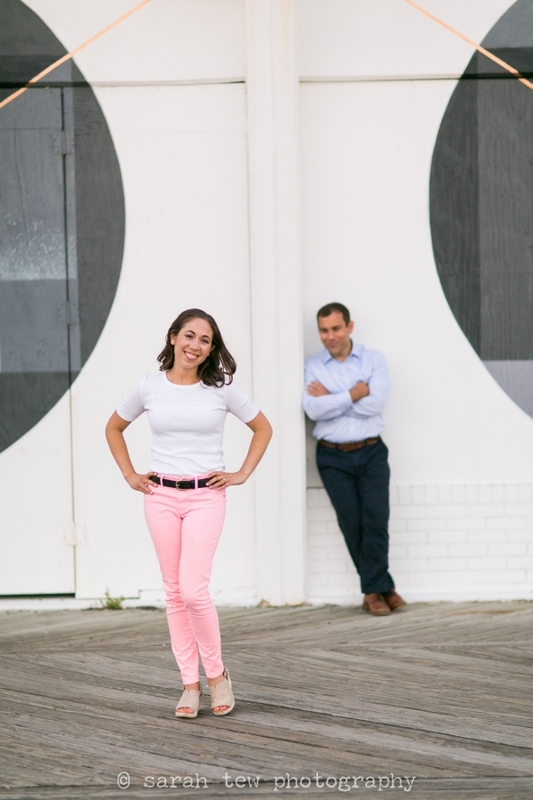 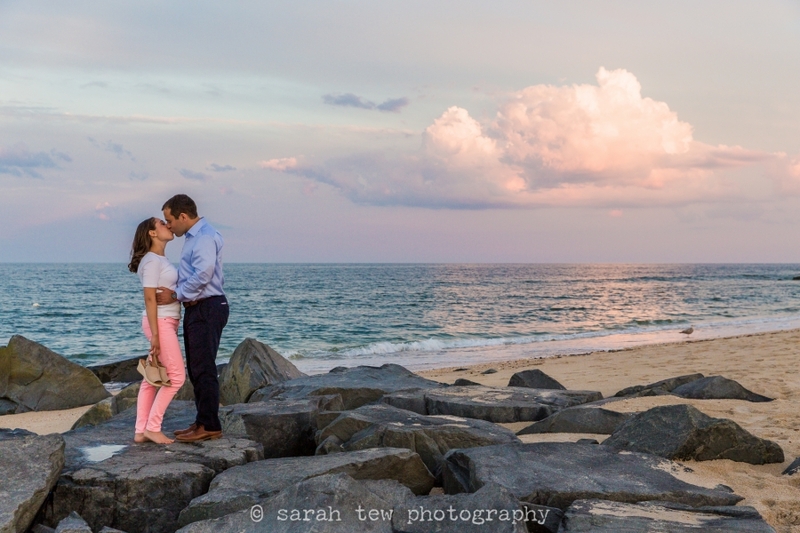 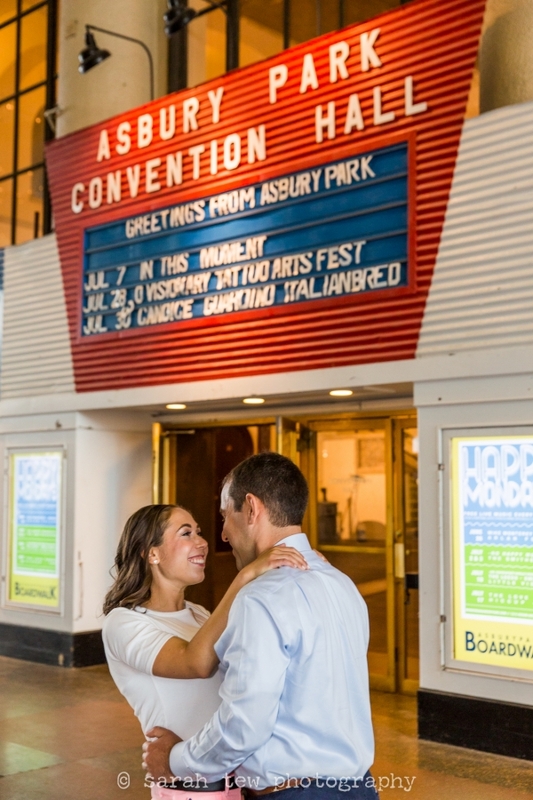 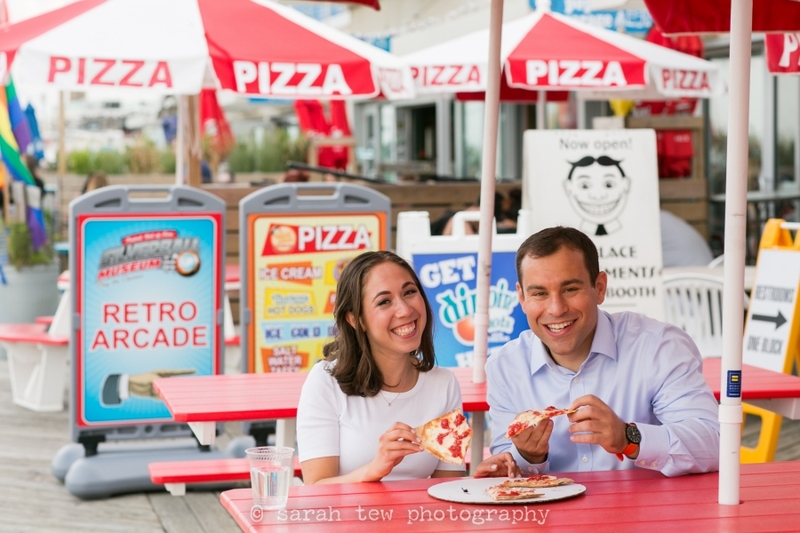 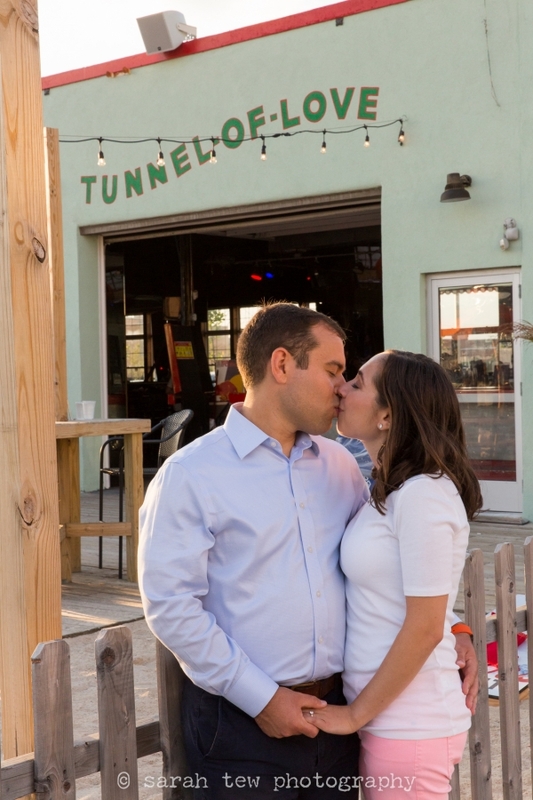 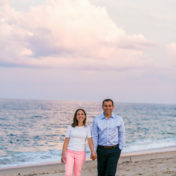 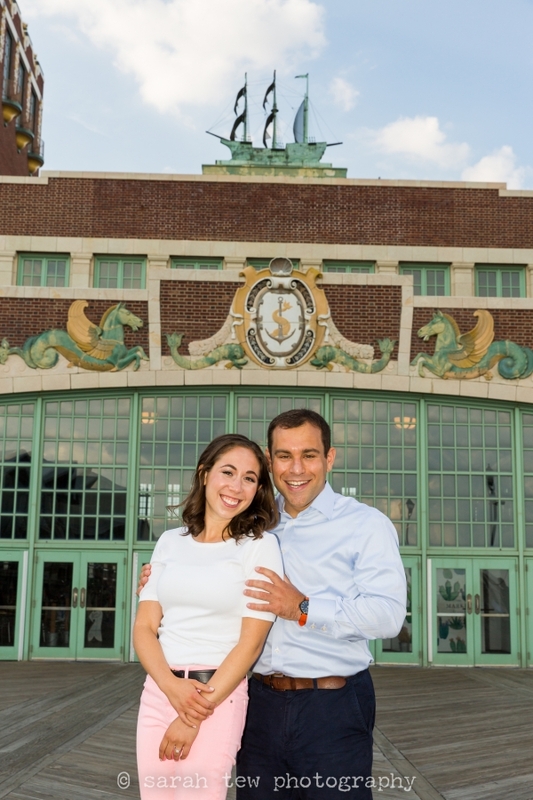 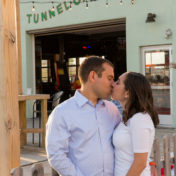 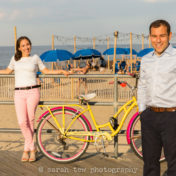 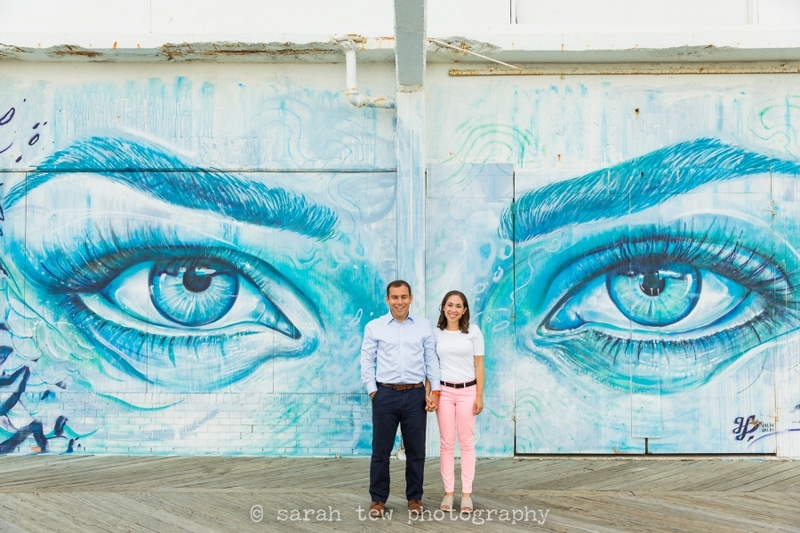 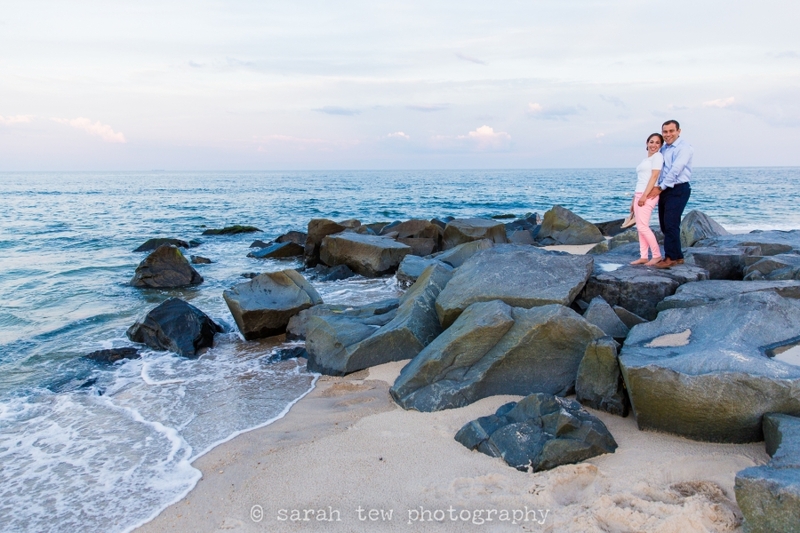 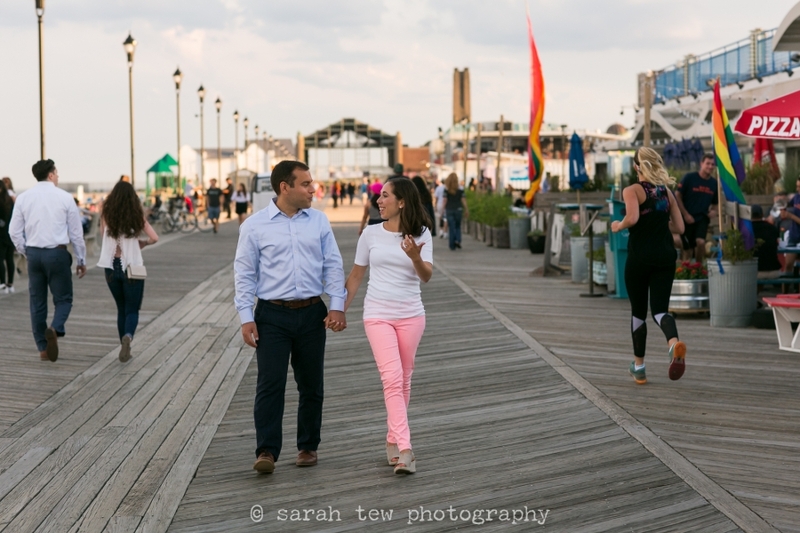 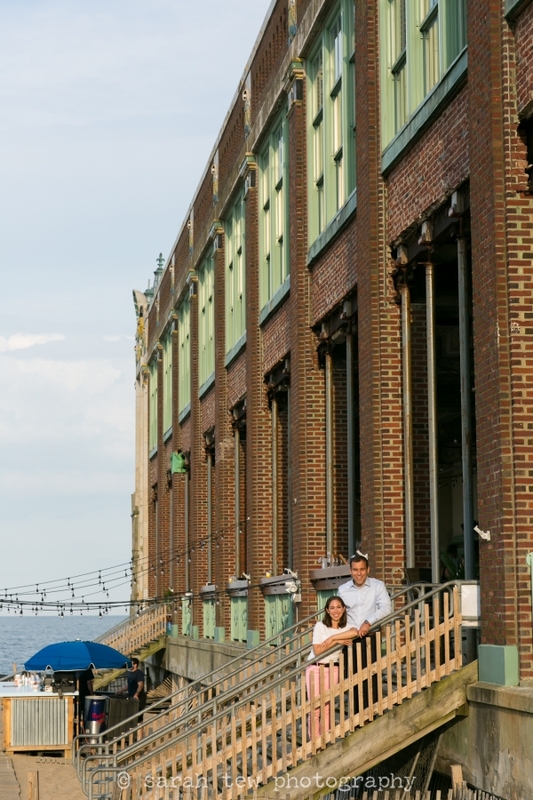 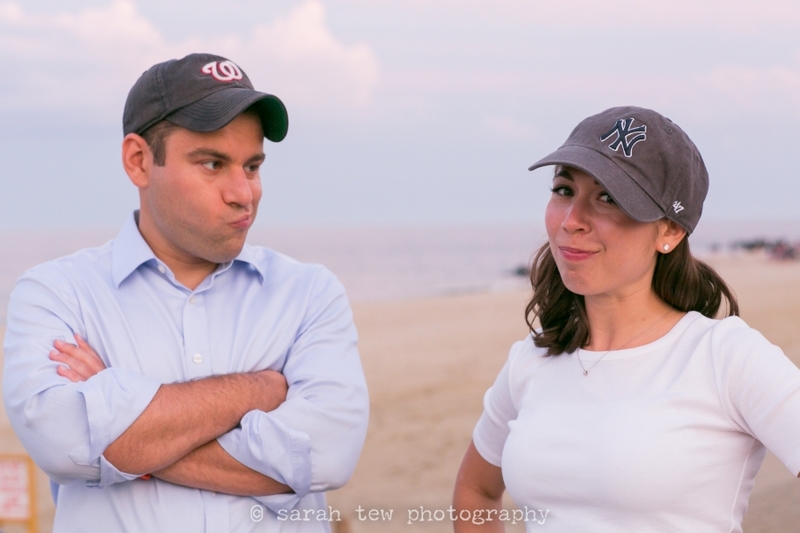 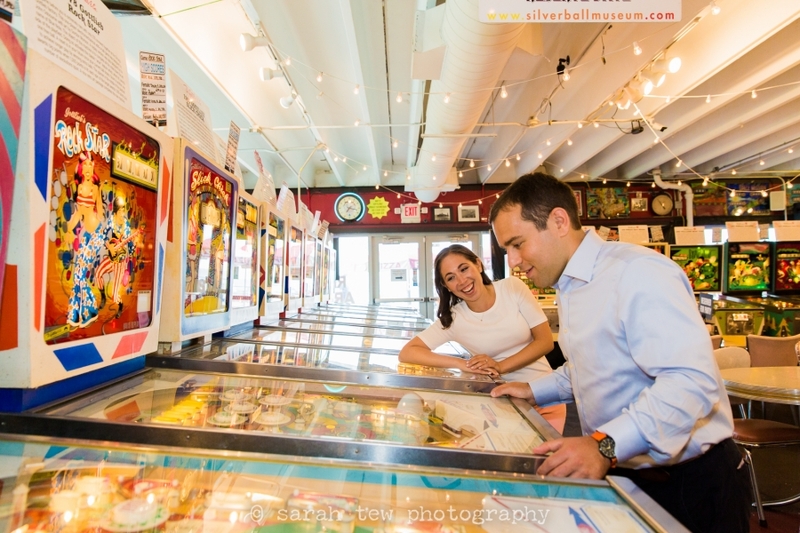 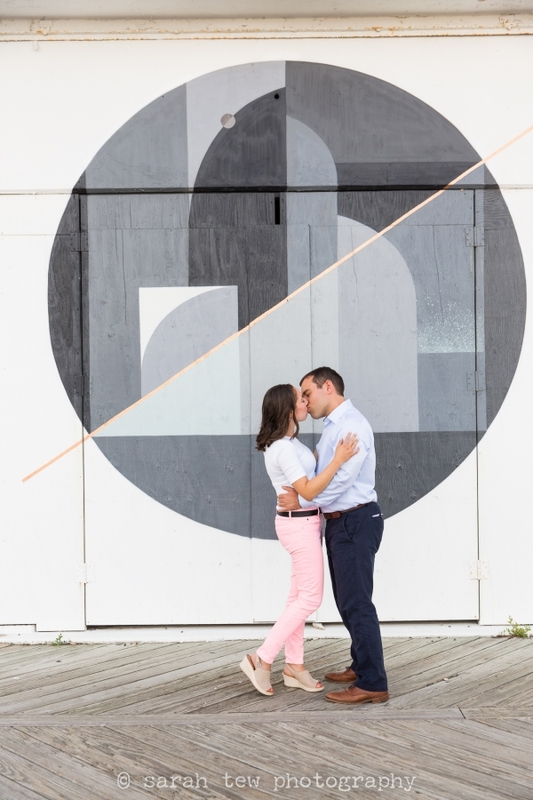 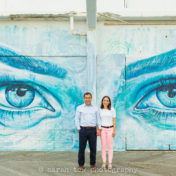 They don’t live in the city but do spend time on the Jersey Shore in the summertime, so we planned their engagement shoot to take place at the beach and iconic boardwalk around Asbury Park and Noemi’s parents’ place a few miles away. 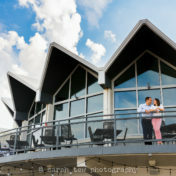 I loved getting to shoot in this location, it was such perfect weather and not too crowded. 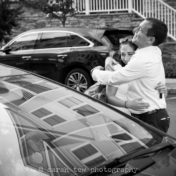 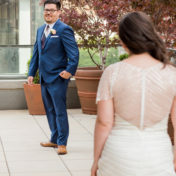 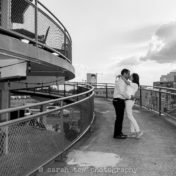 Check out my favorites from their shoot and check back in the winter for their wedding day highlights! 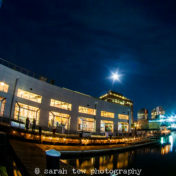 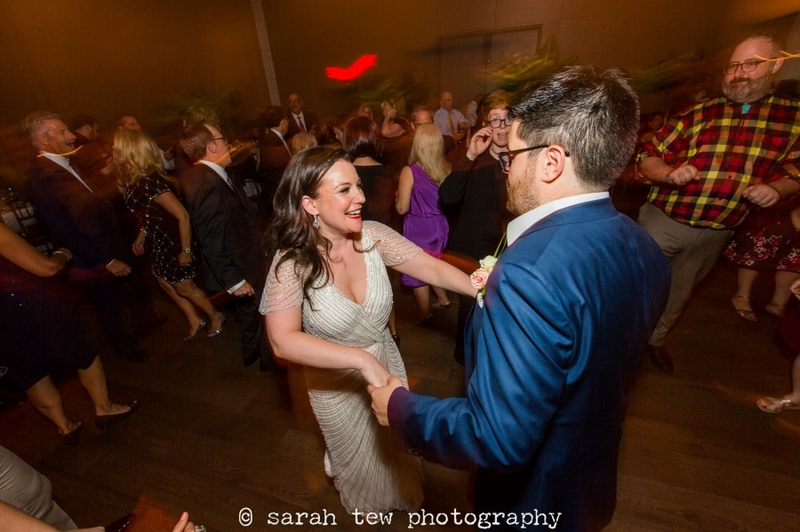 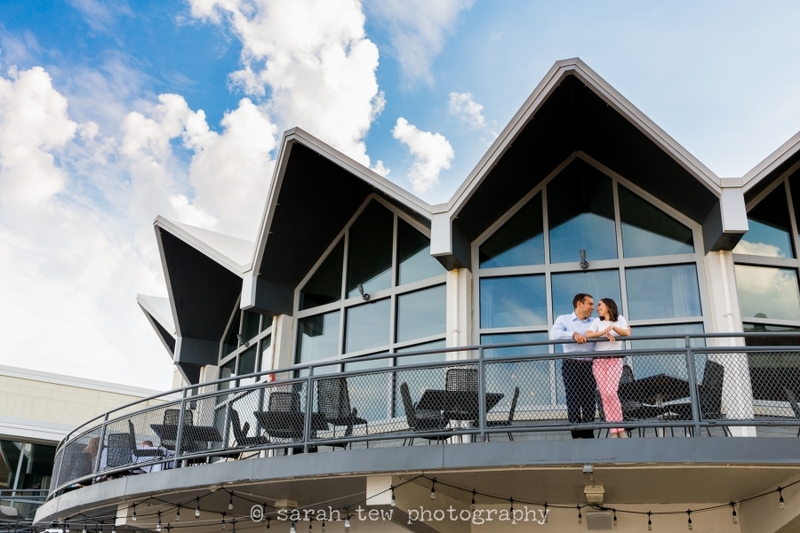 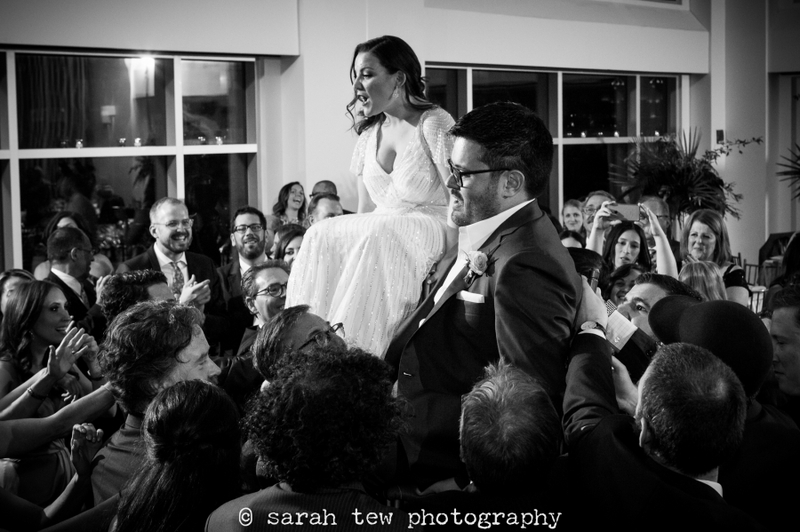 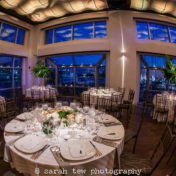 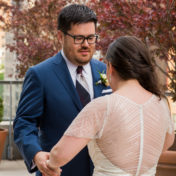 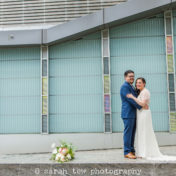 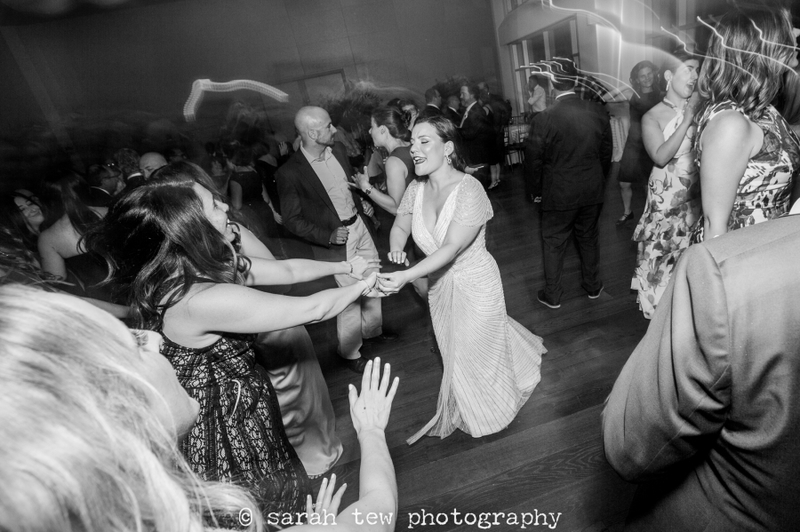 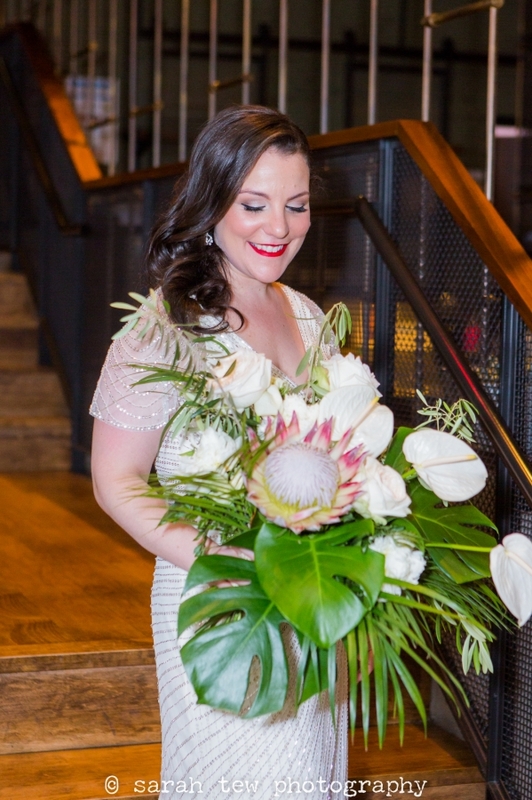 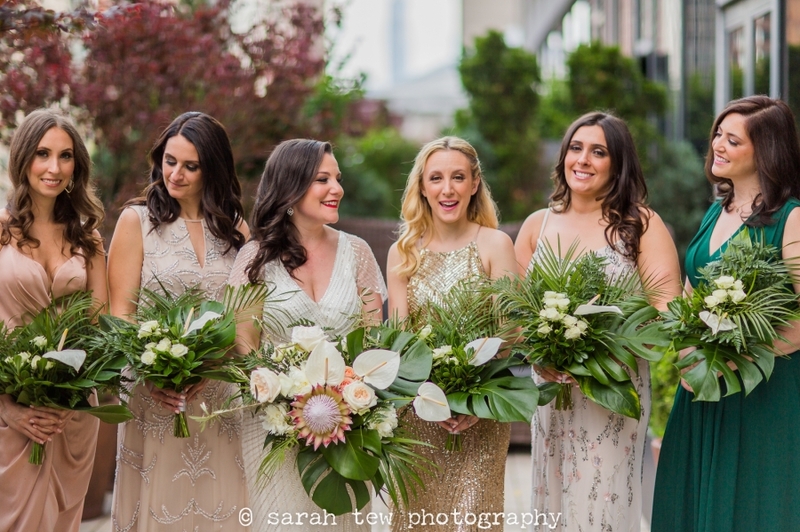 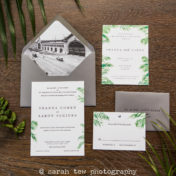 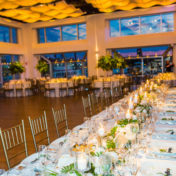 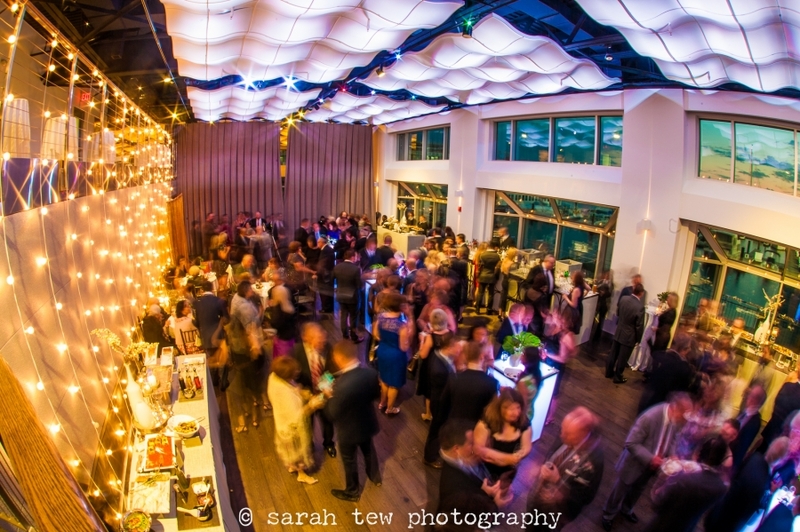 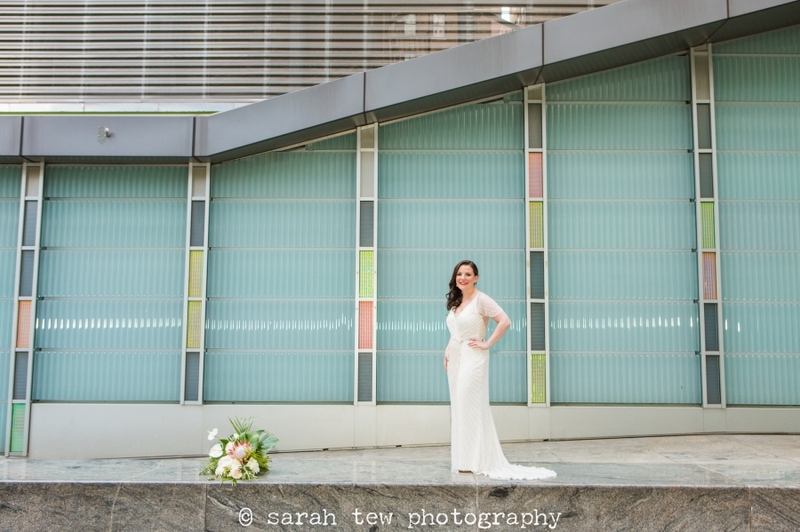 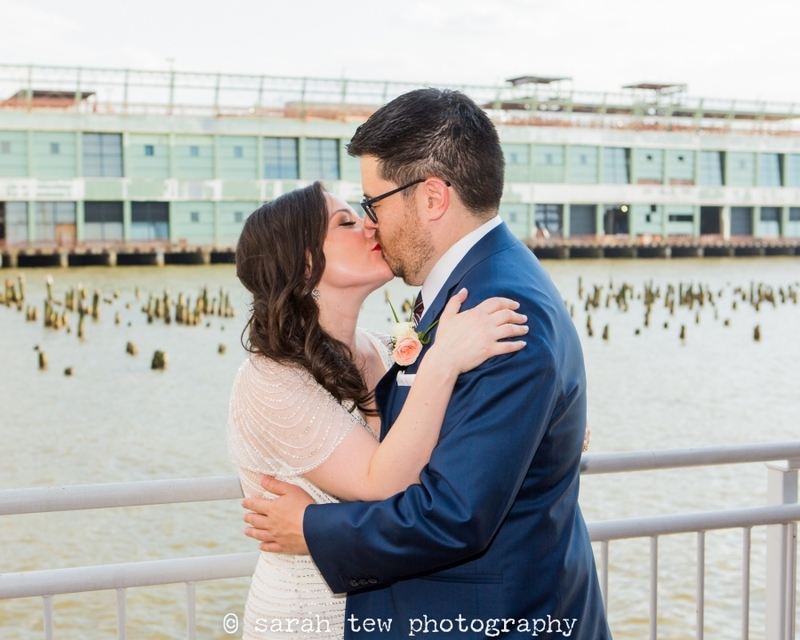 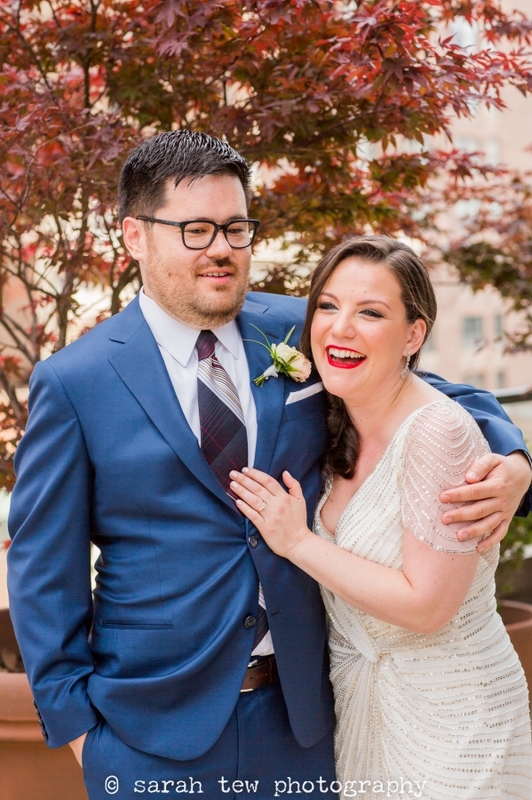 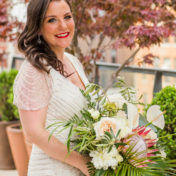 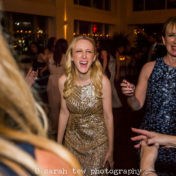 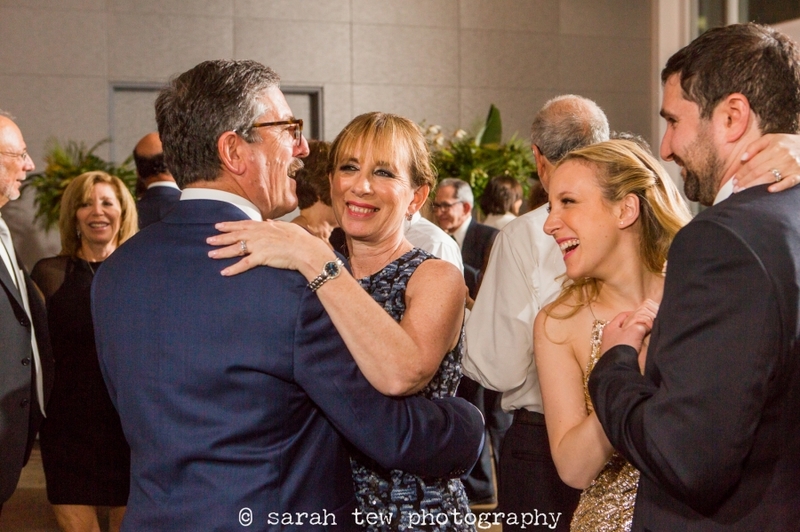 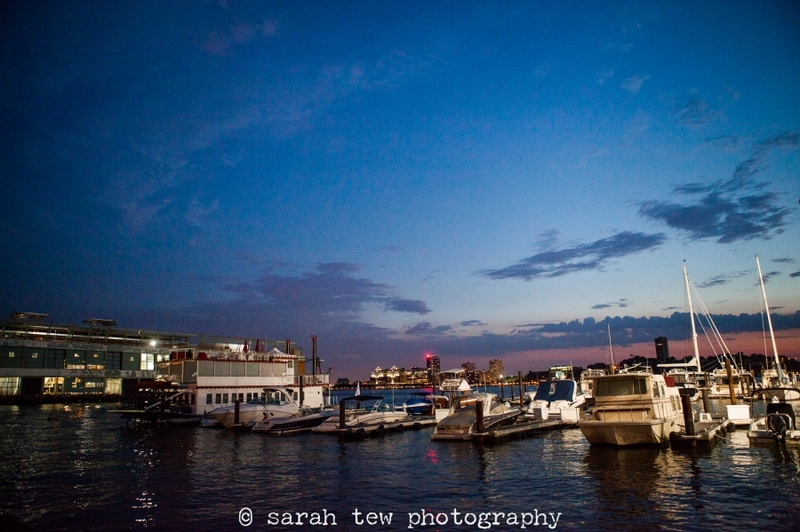 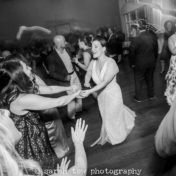 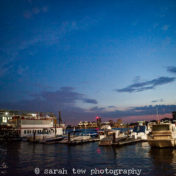 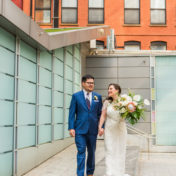 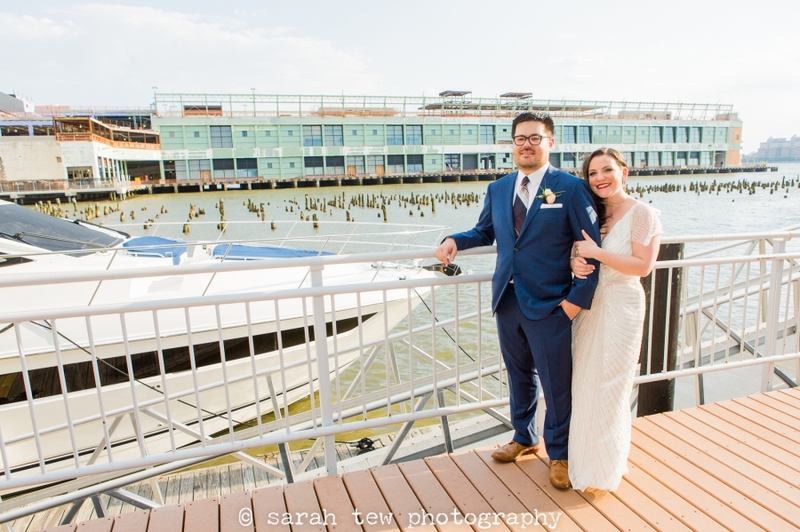 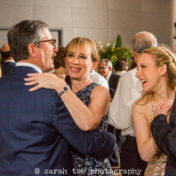 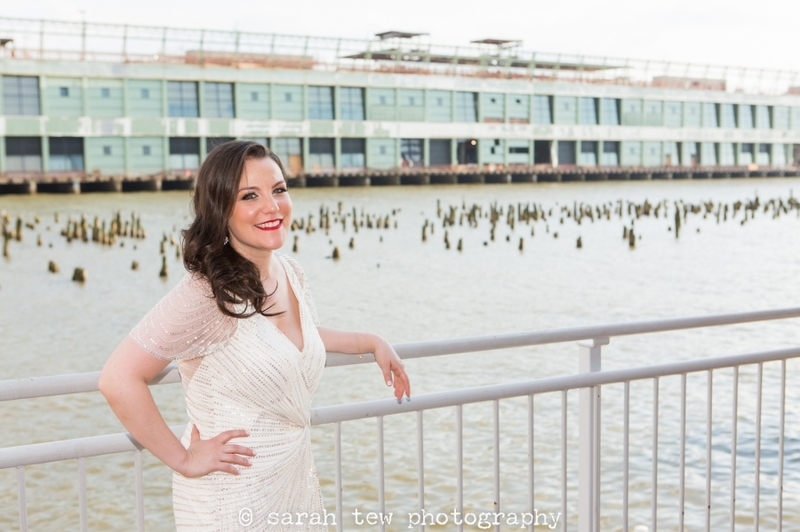 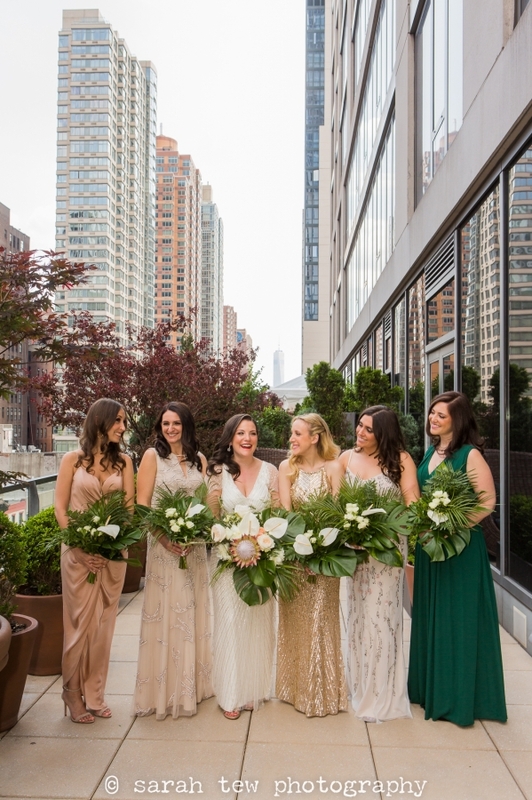 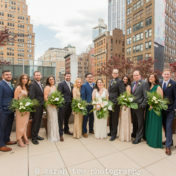 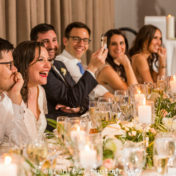 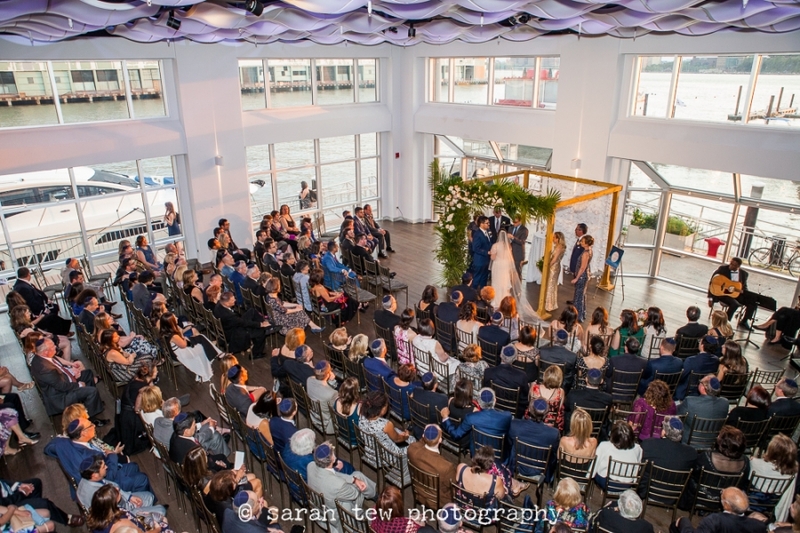 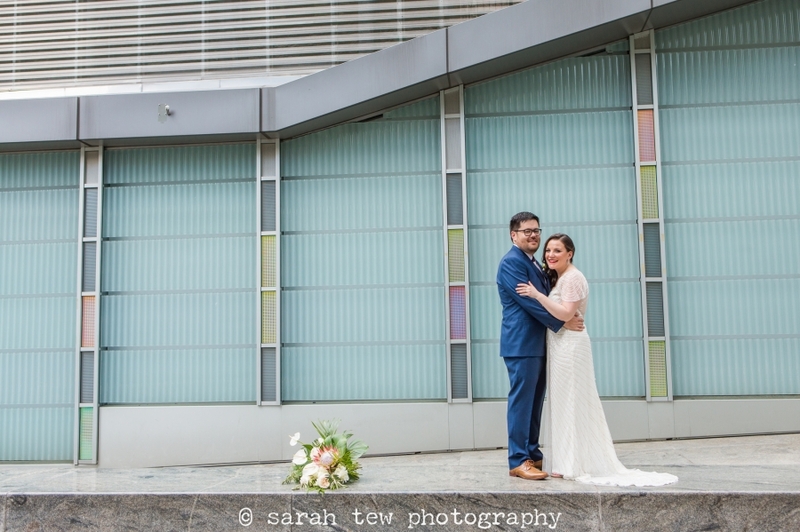 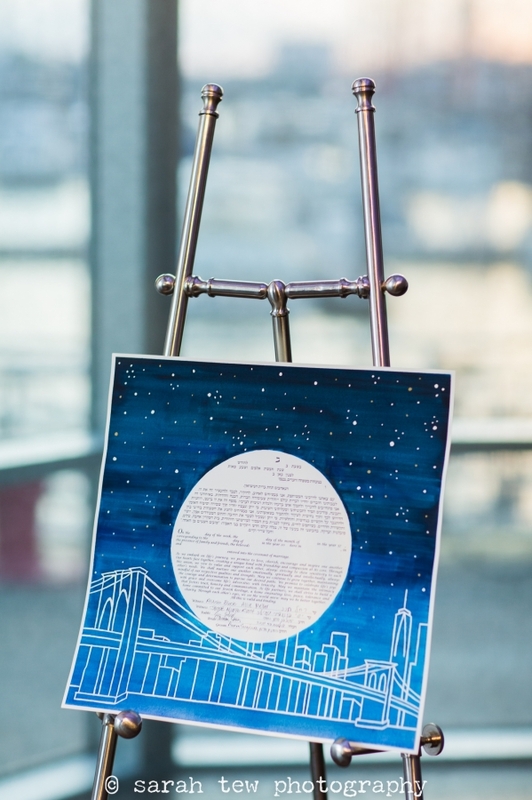 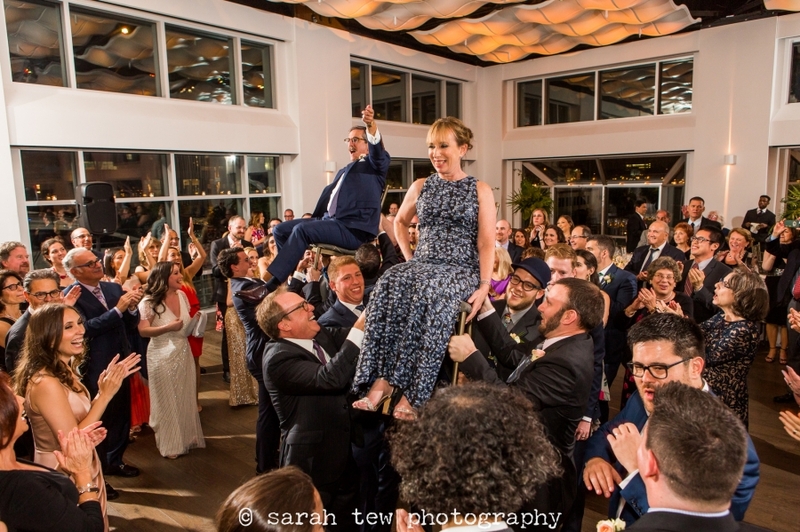 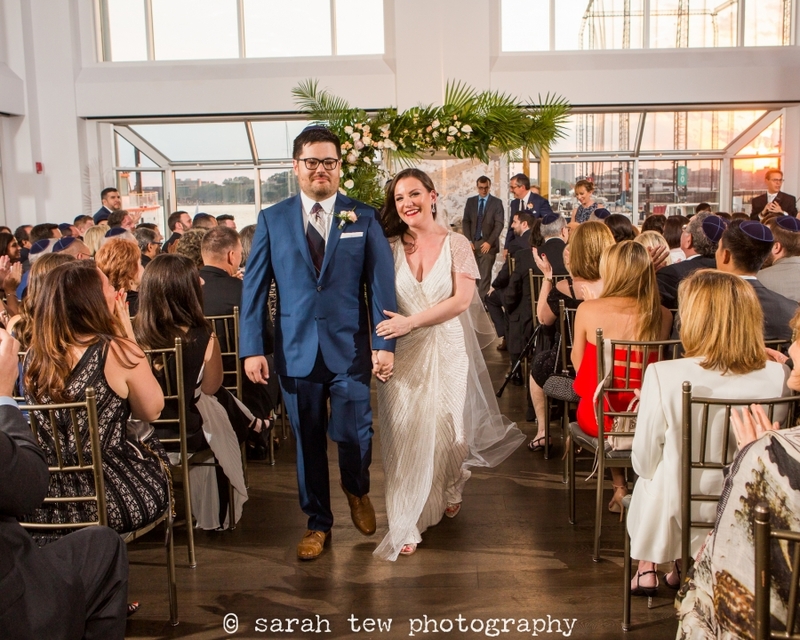 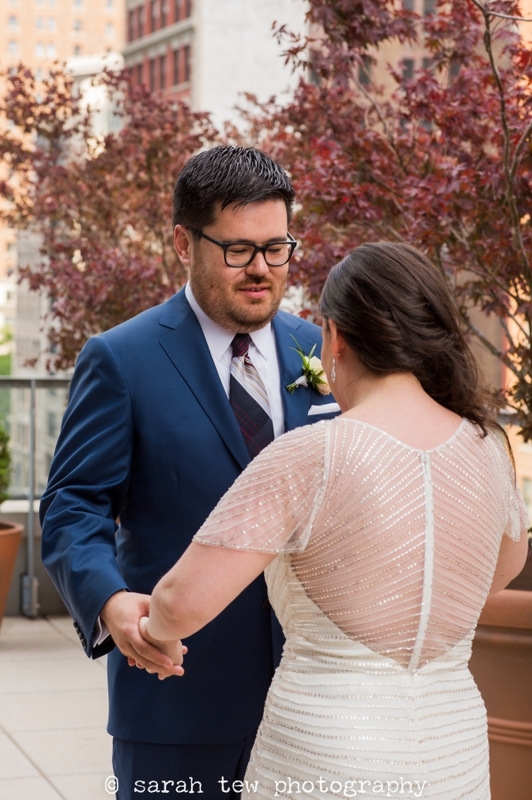 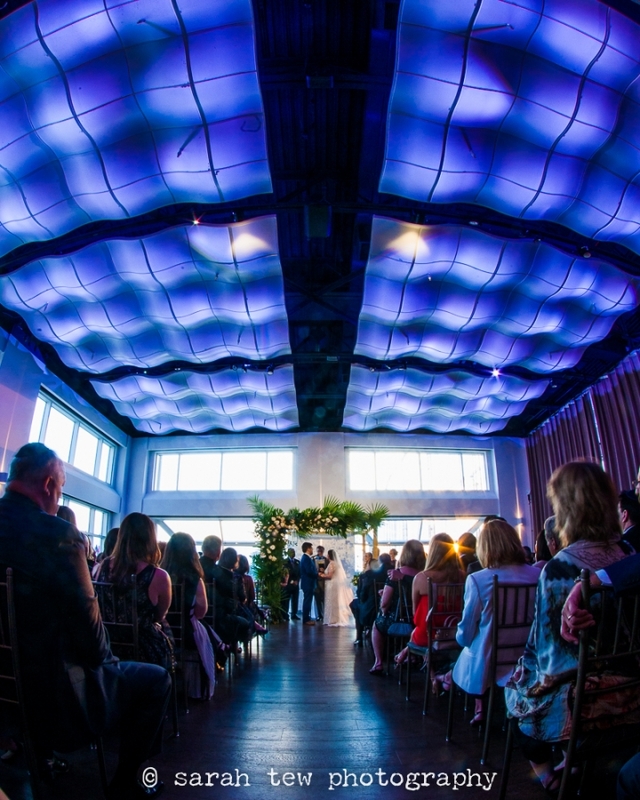 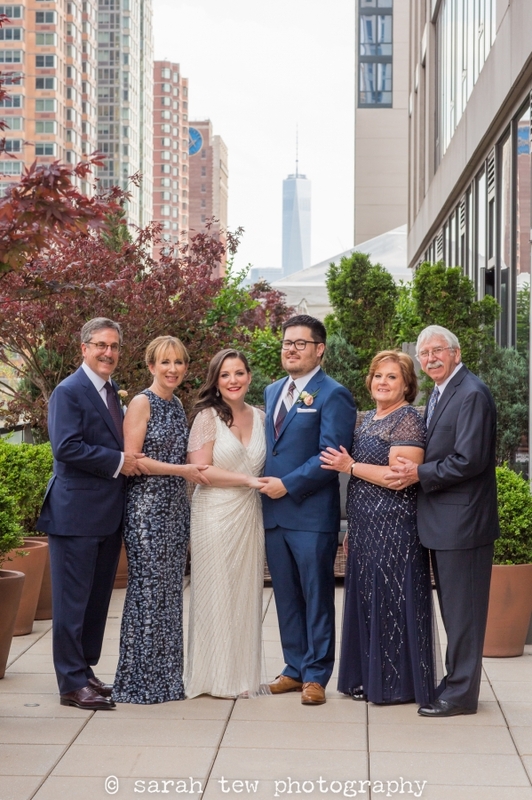 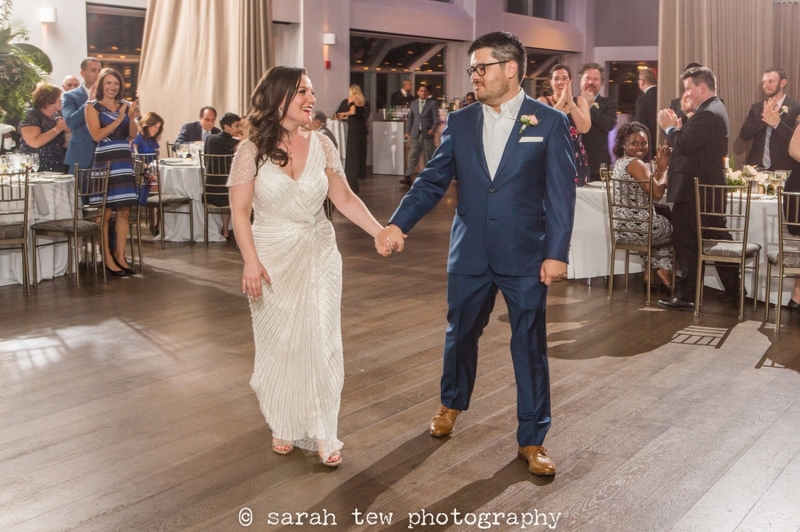 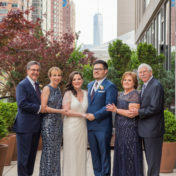 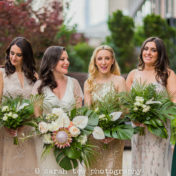 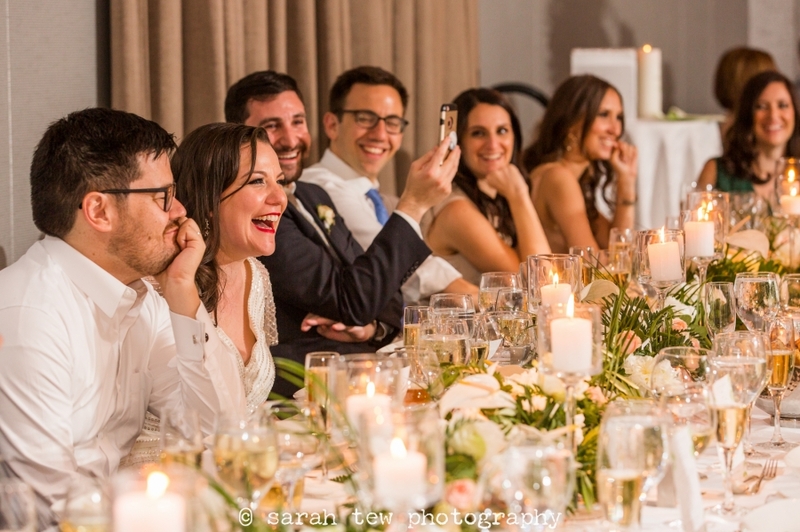 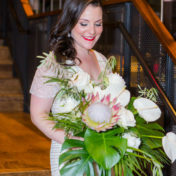 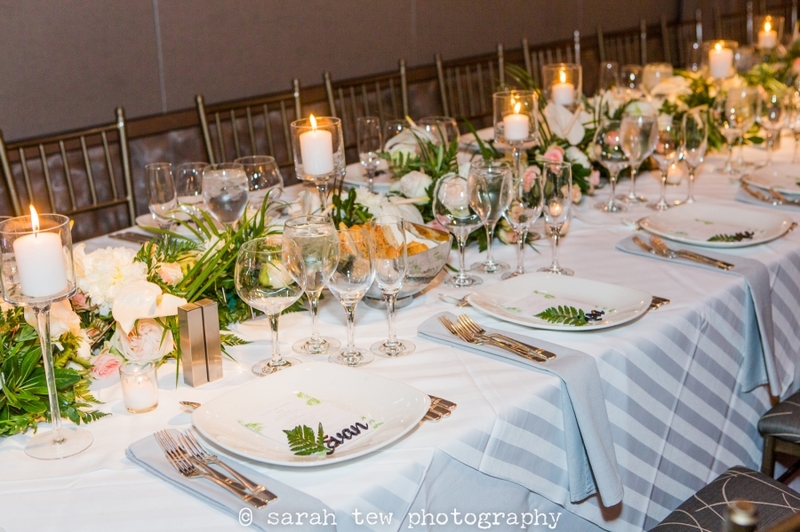 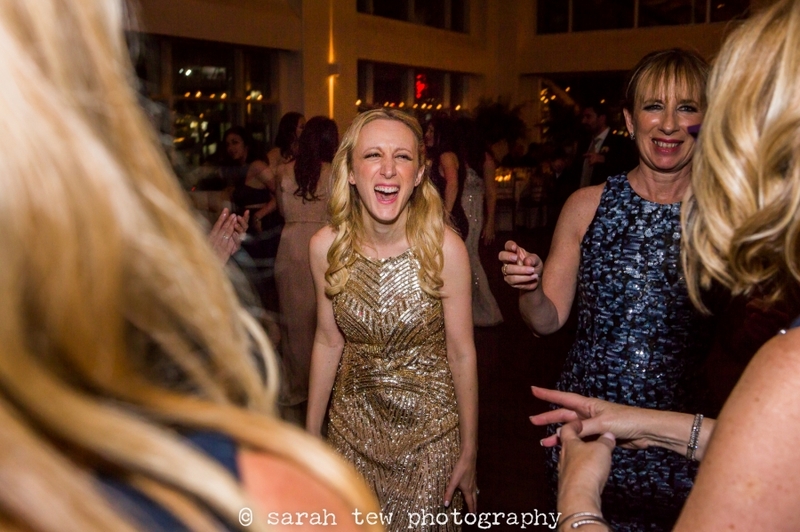 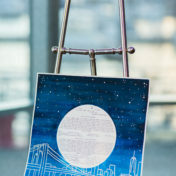 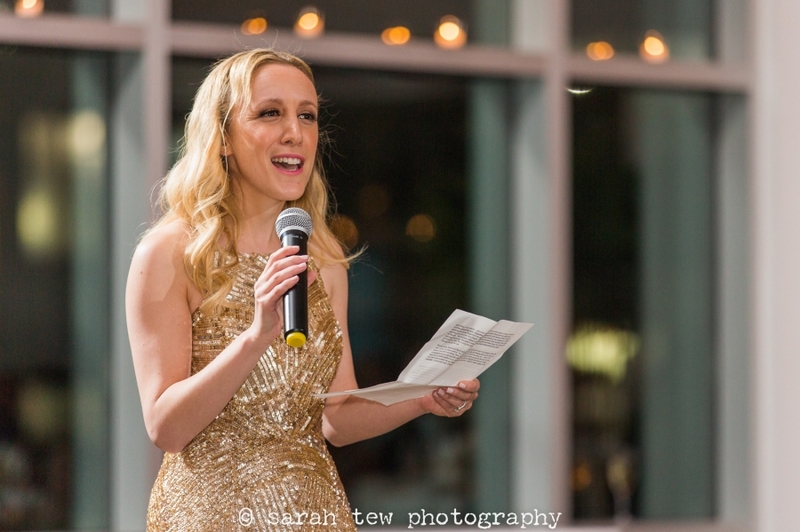 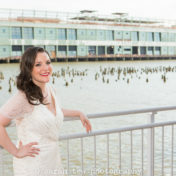 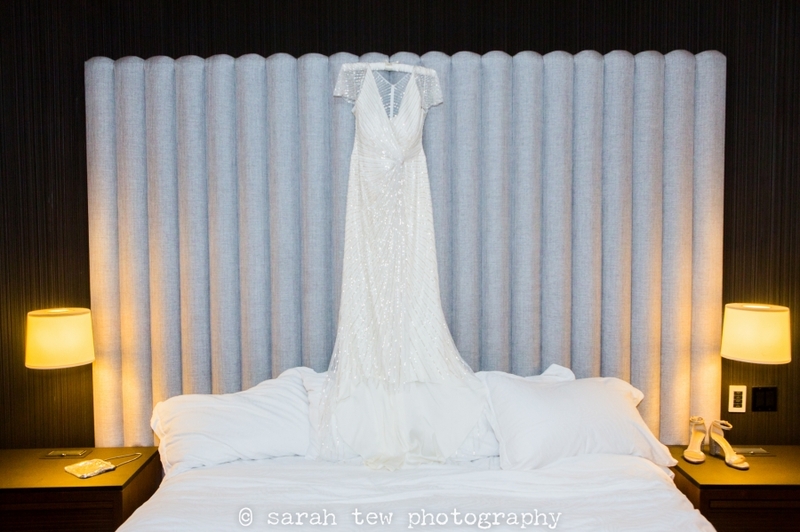 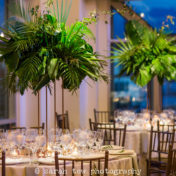 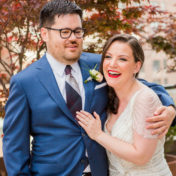 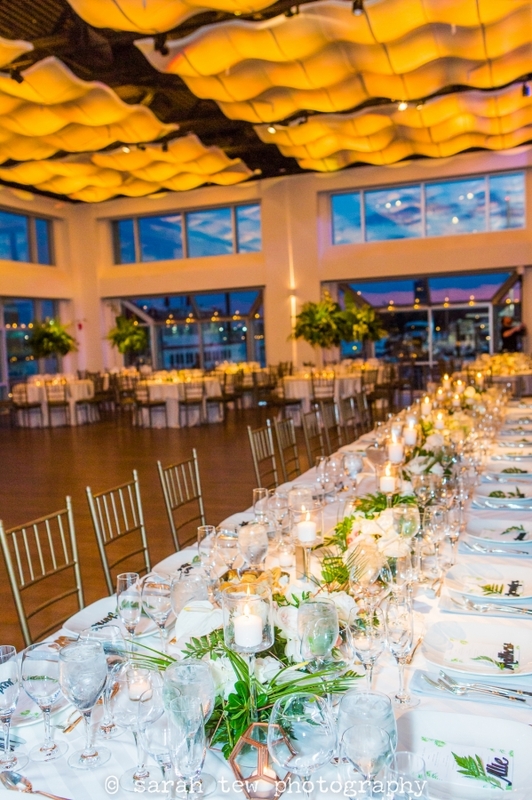 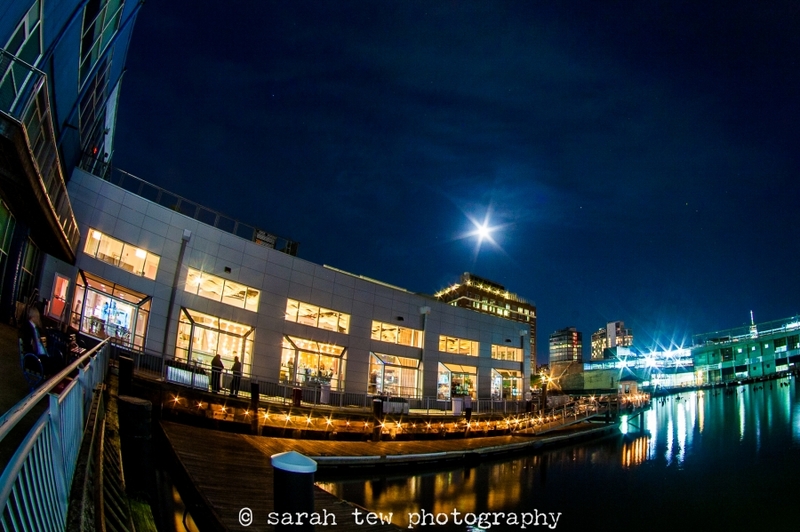 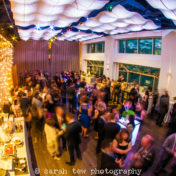 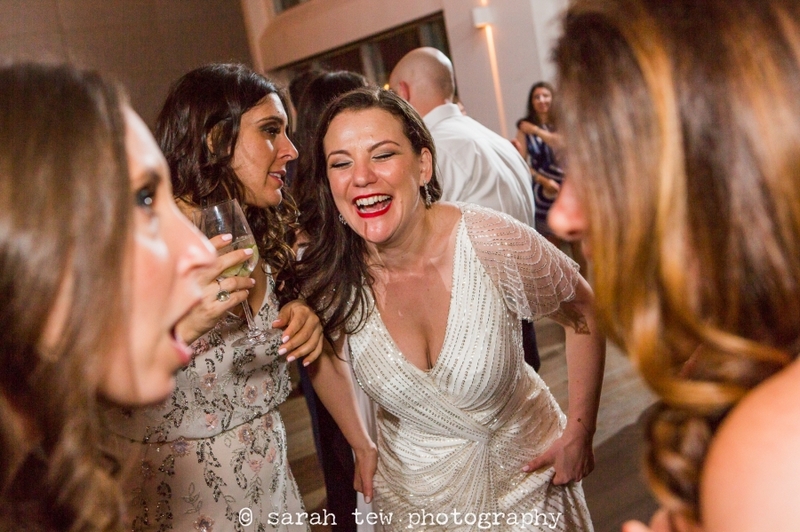 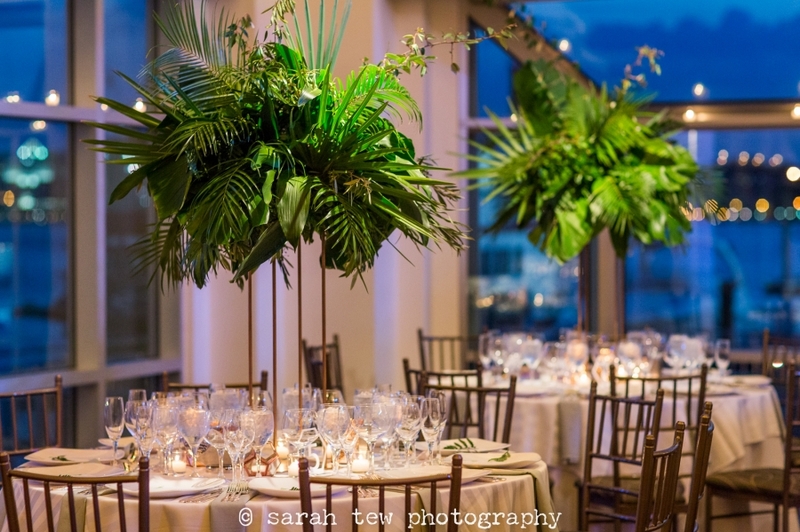 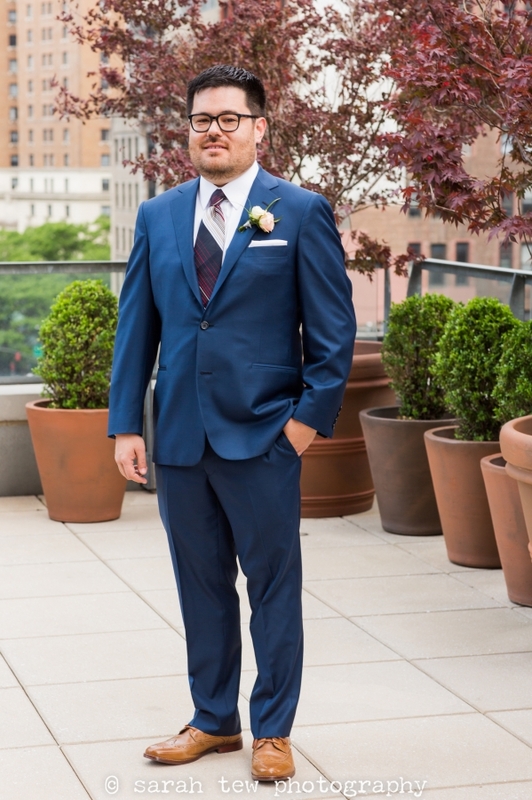 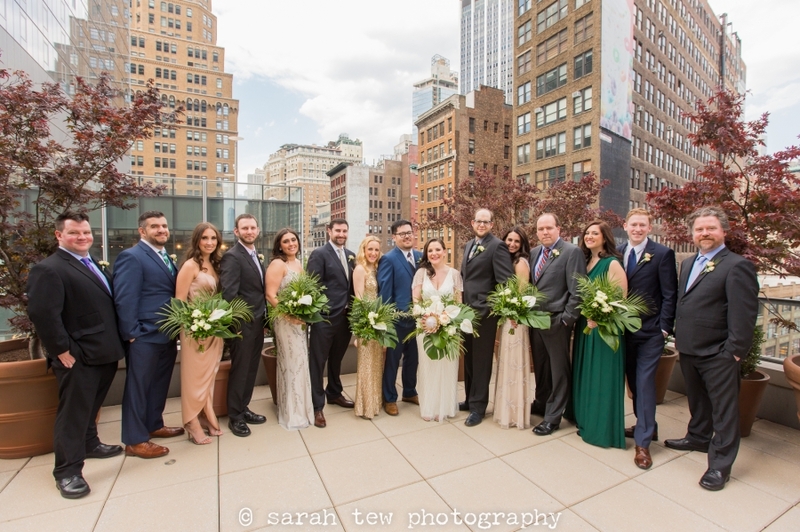 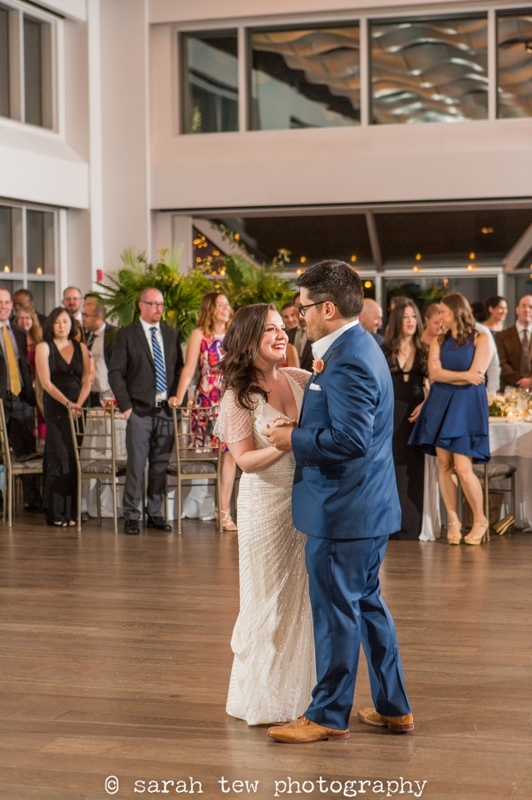 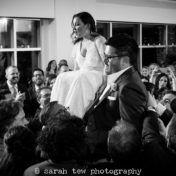 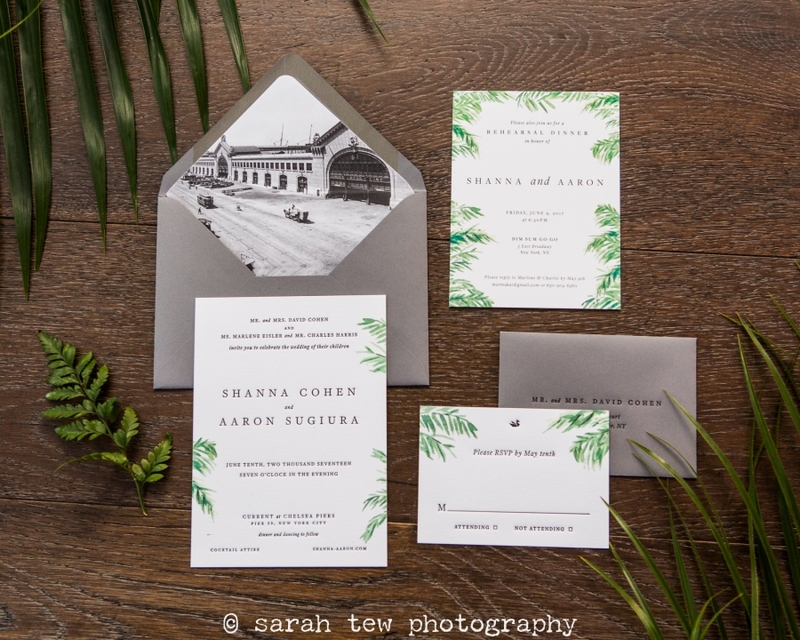 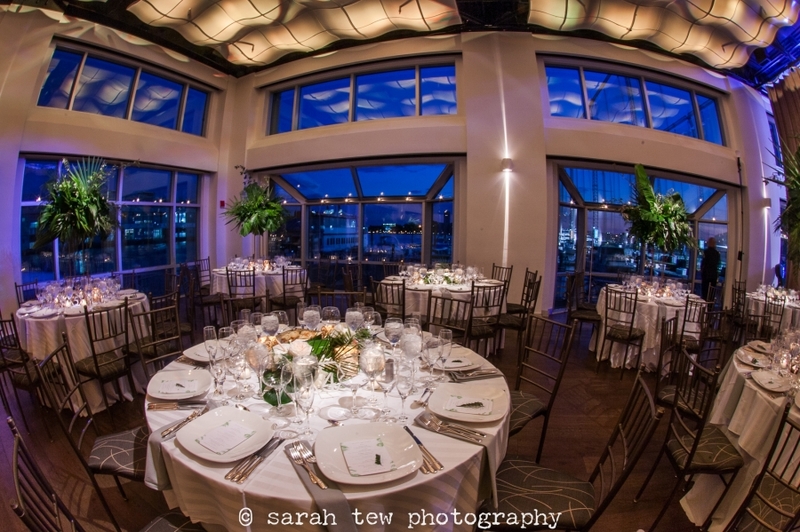 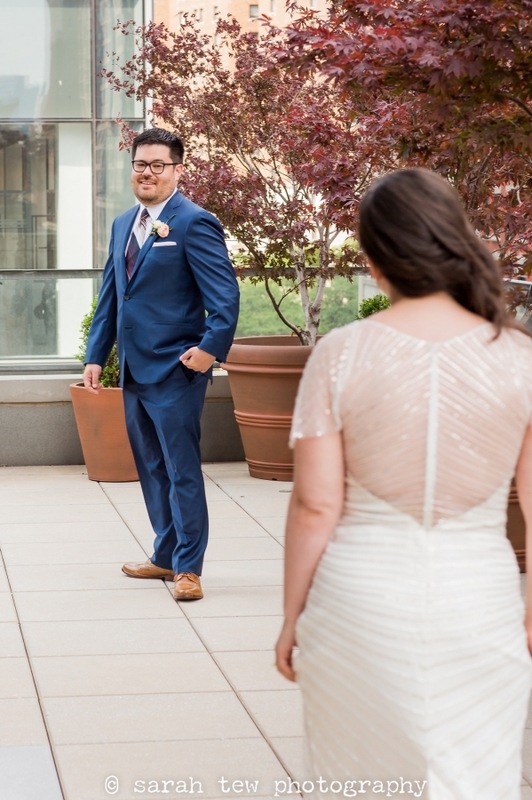 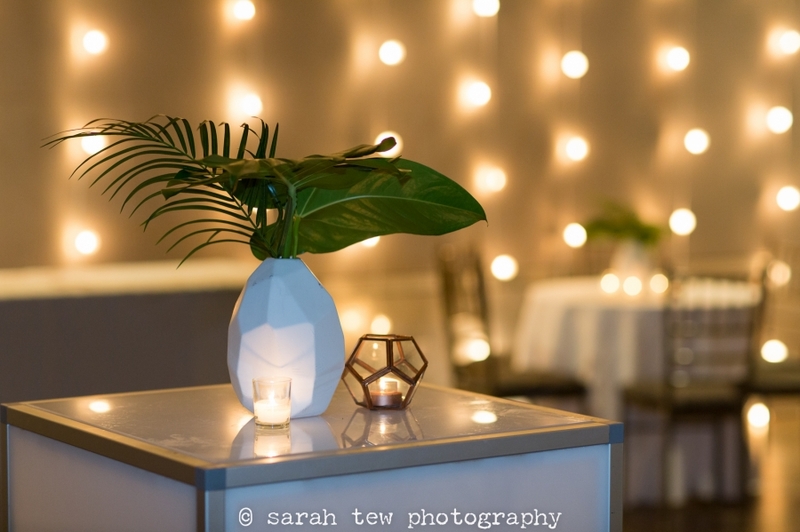 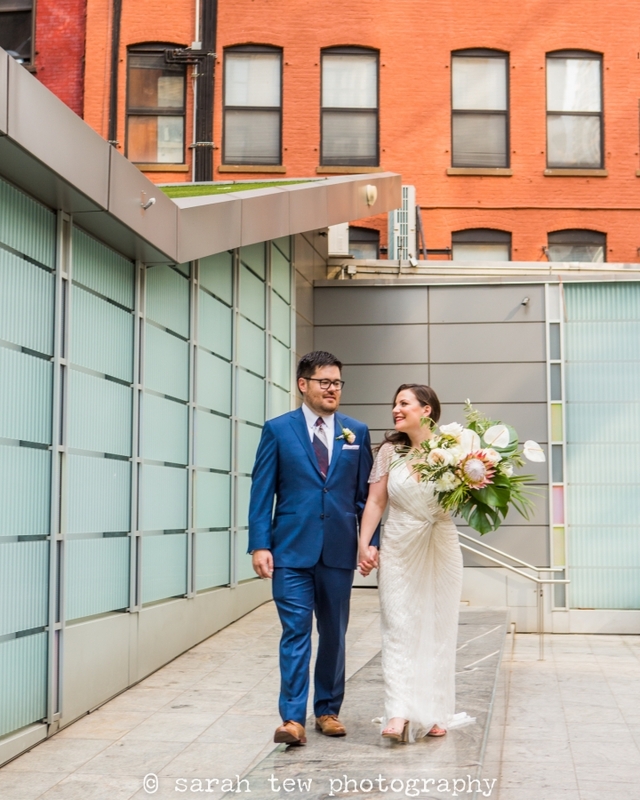 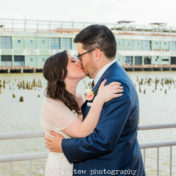 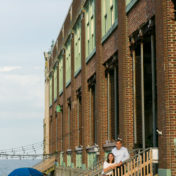 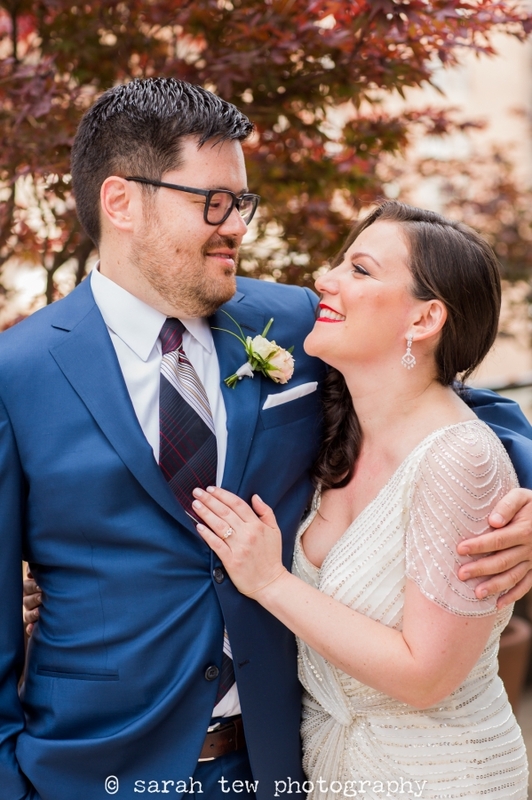 Shanna & Aaron were married at The Current, one of the amazing water-side venues at Chelsea Piers along Manhattan’s west coast. 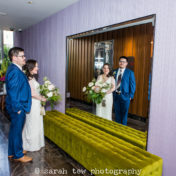 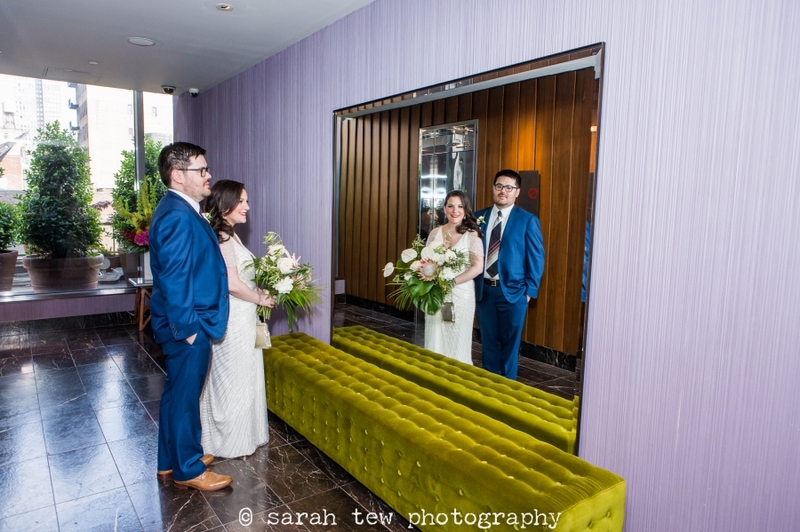 We started the day capturing them getting ready along with family and friends at Eventi Hotel. 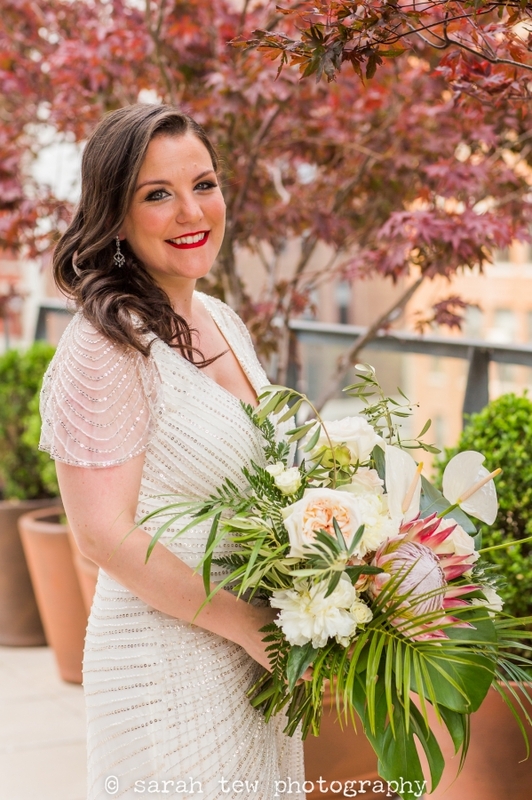 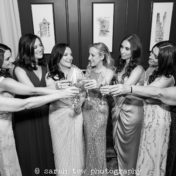 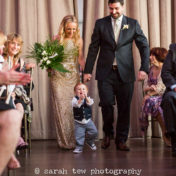 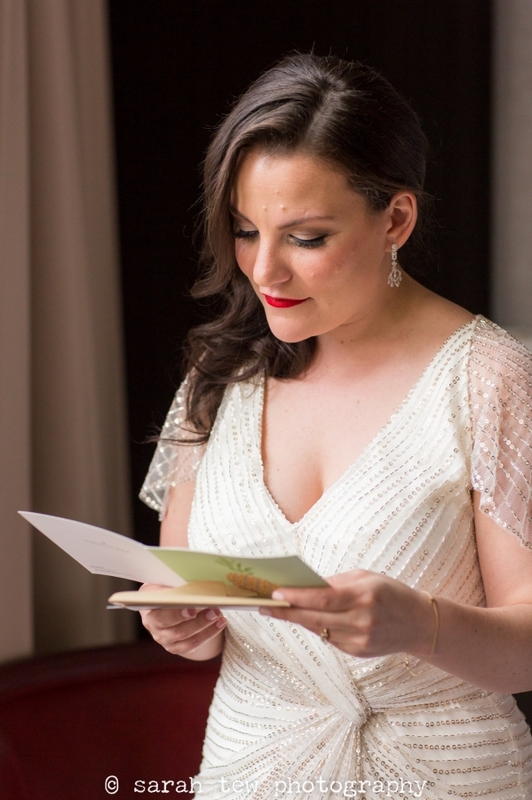 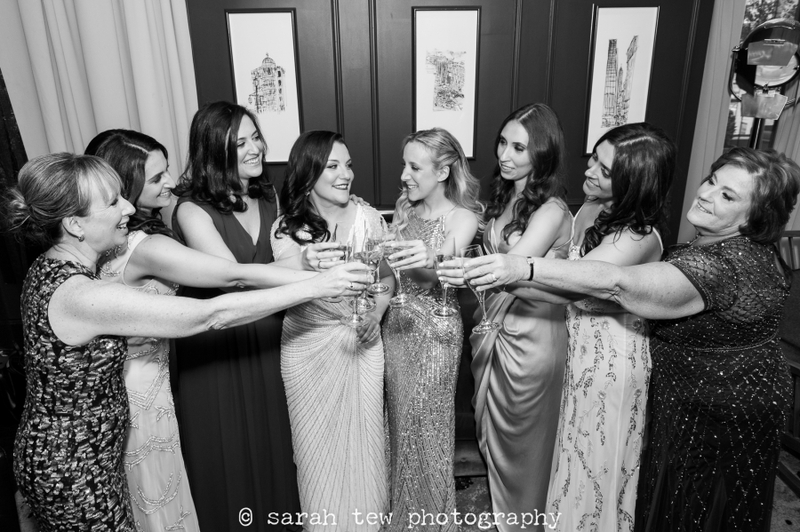 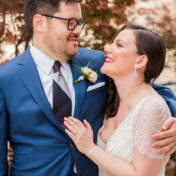 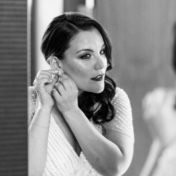 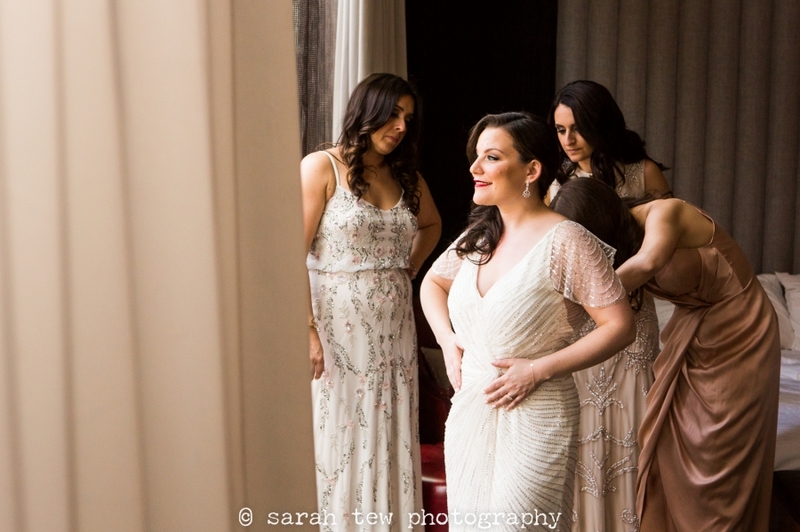 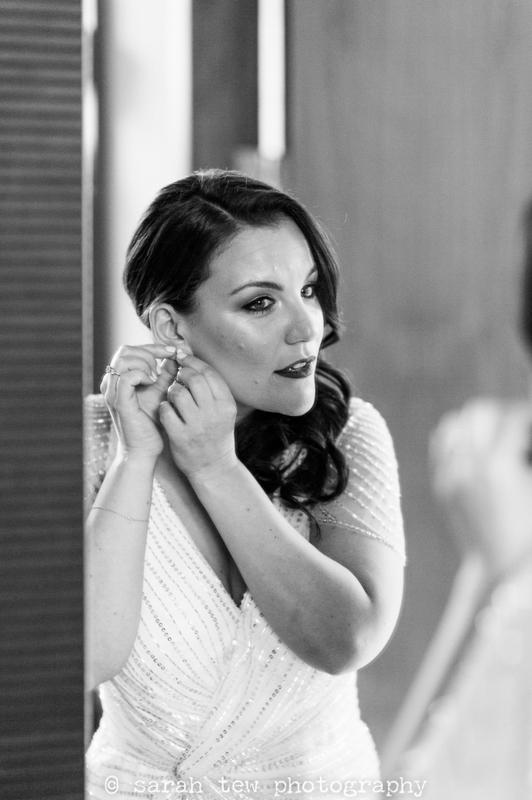 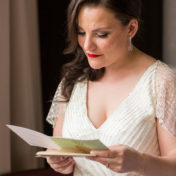 The bridesmaids and Shanna’s mother helped her put on this amazing beaded Jenny Packham gown that had her looking like a vintage starlet, complete with perfect red lipstick! 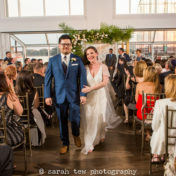 To my delight, they were in a fabulous suite complete with a beautiful deck area that was big enough to shoot most of their wedding party groups. 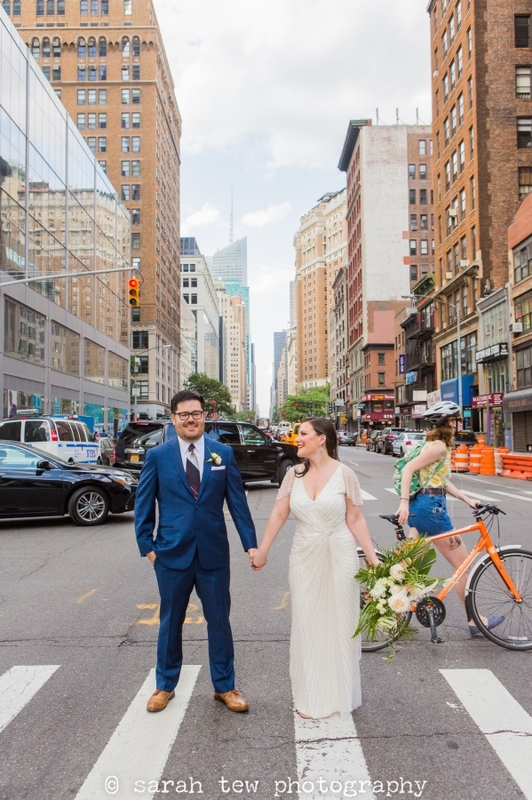 Downstairs on the street and around the corner from the entrance to the hotel there were another few great spots that I was able to take advantage of before we loaded up and rode across town to the venue. 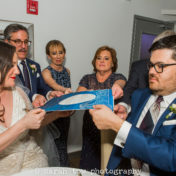 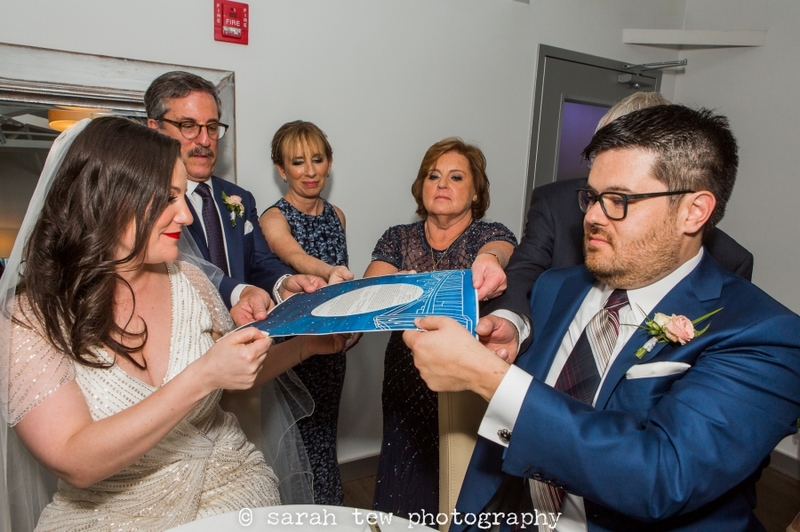 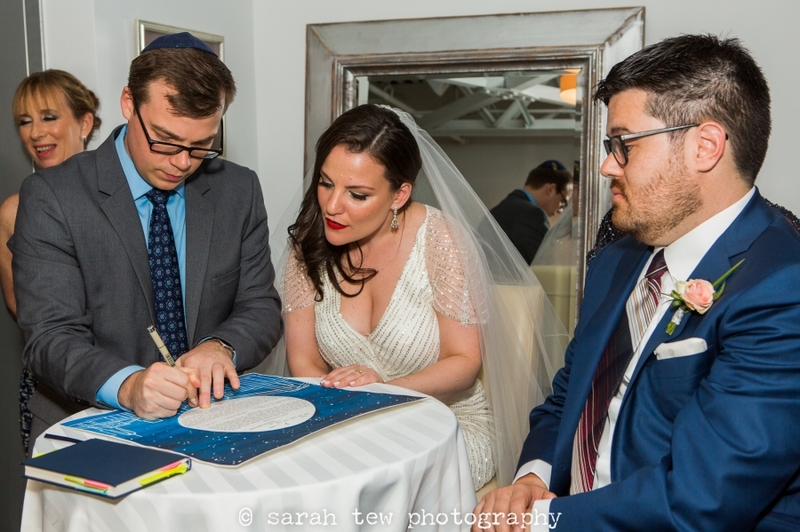 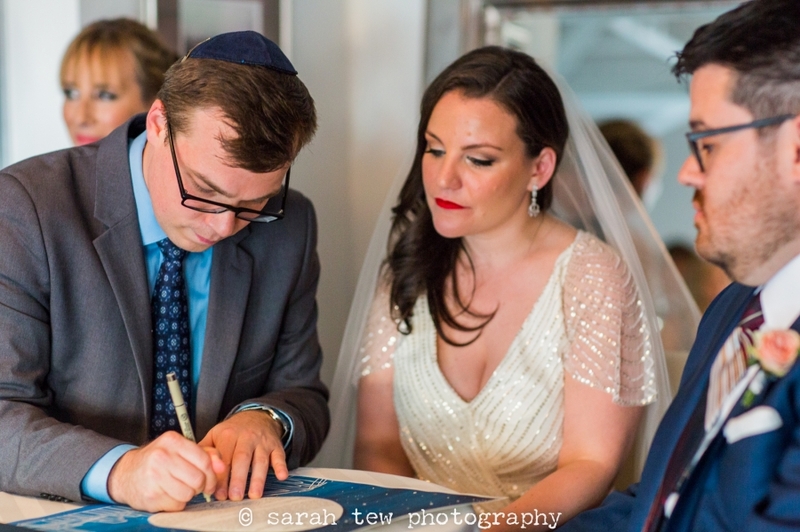 Once arrived, we did another round of portraits and groups with the water behind them, and then headed upstairs for their Ketubah signing. 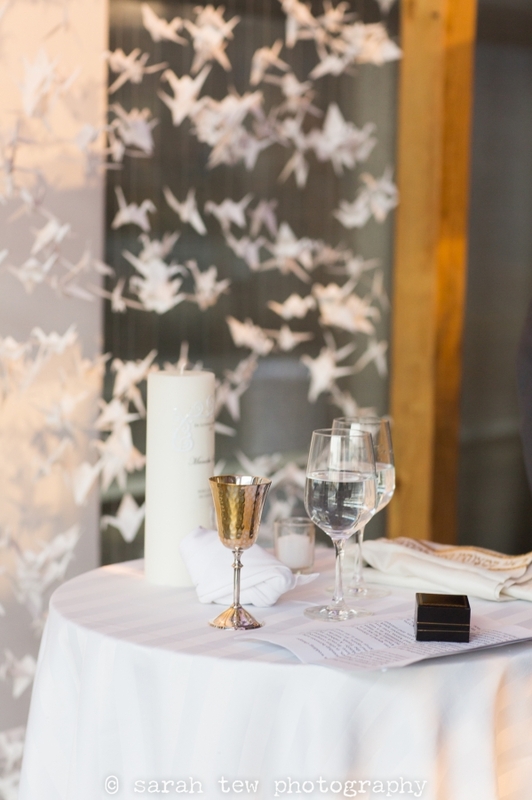 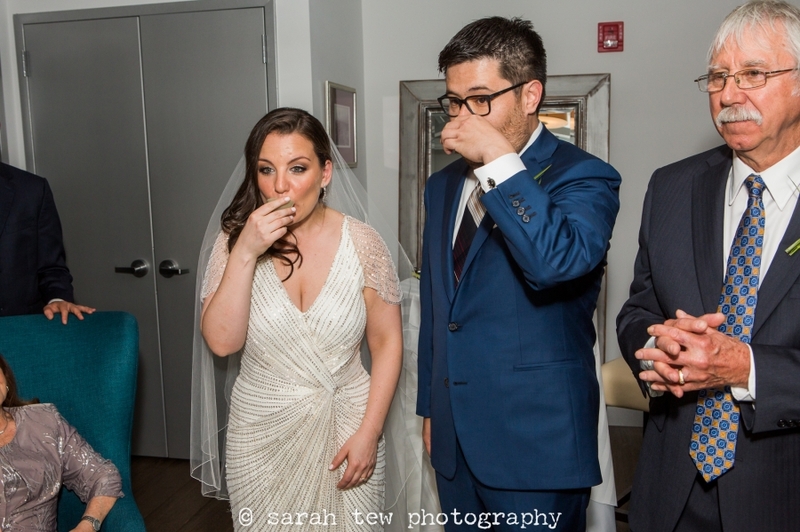 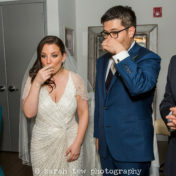 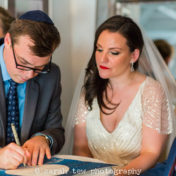 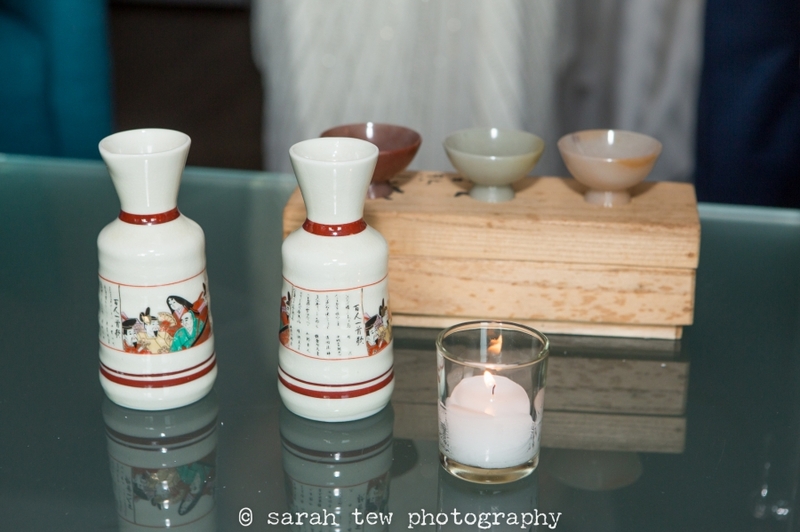 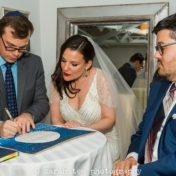 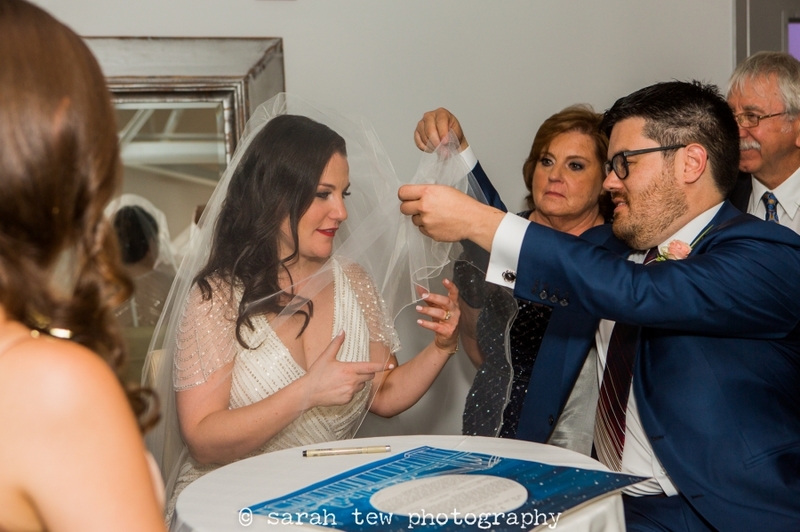 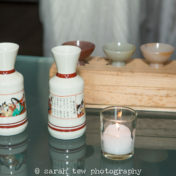 Shanna and Aaron also added a special Japanese Sake ceremony, which involved them and their parents drinking from 3 different ceremonial cups of sake, and their Rabbi gave a lovely explanation of everything for both ceremonies. 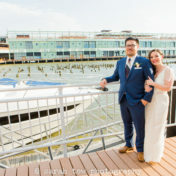 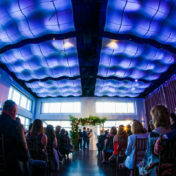 Meanwhile guests were arriving downstairs and taking their seats in the ceremony space, which overlooks the water and features huge windows overlooking the water. 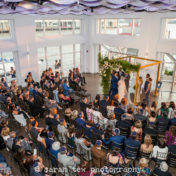 I loved shooting this ceremony as the sun got lower and lower creating pretty amber light to once side of my view down the aisle while the happy couple exchanged vows. 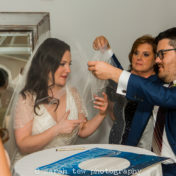 After breaking the glass and sealing their marriage with a kiss, everyone moved into the long cocktail hour space with a view of the sunset deepening into a dusky blue sky and my open-air photobooth set up in one corner, ready for action. 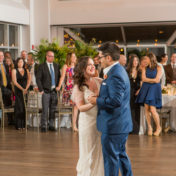 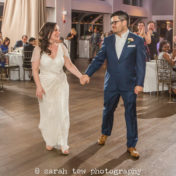 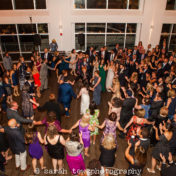 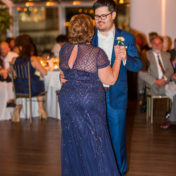 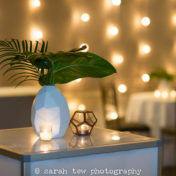 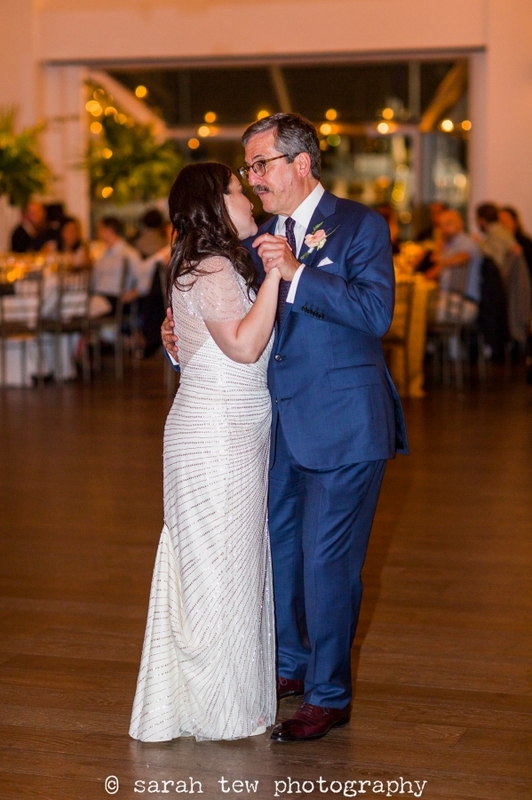 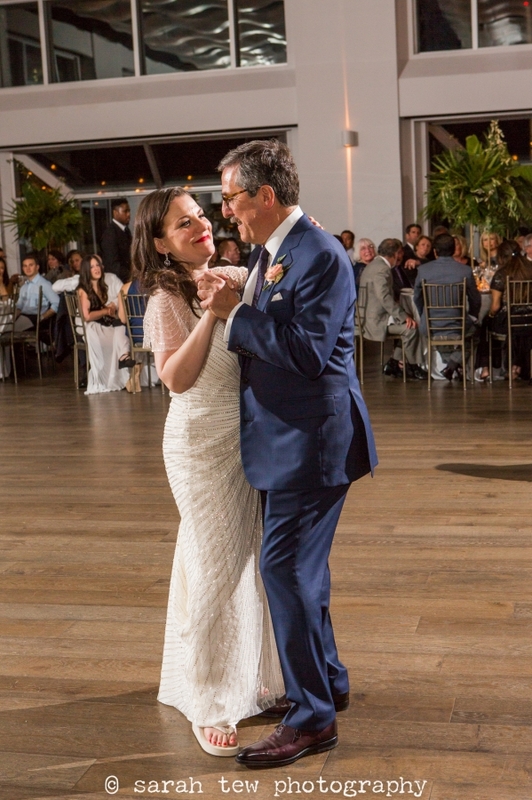 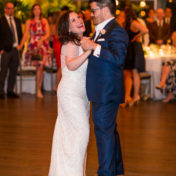 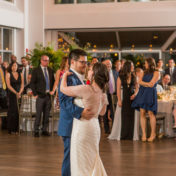 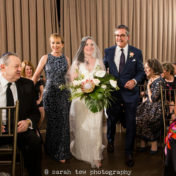 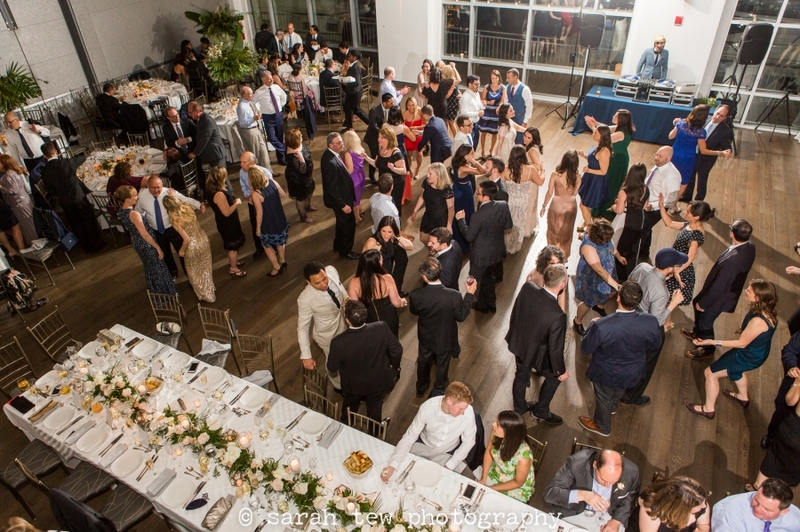 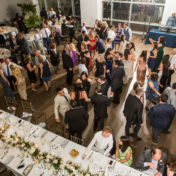 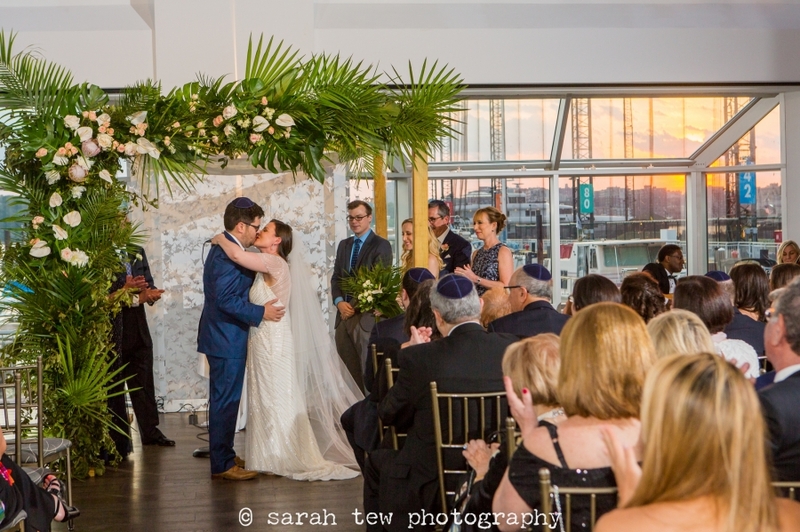 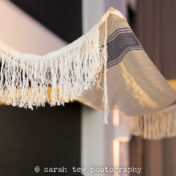 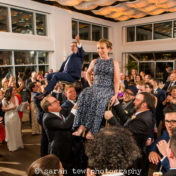 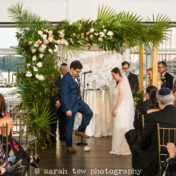 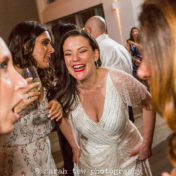 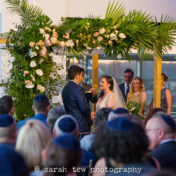 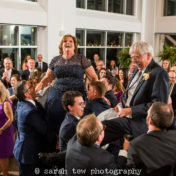 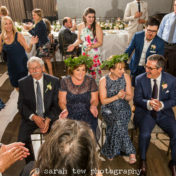 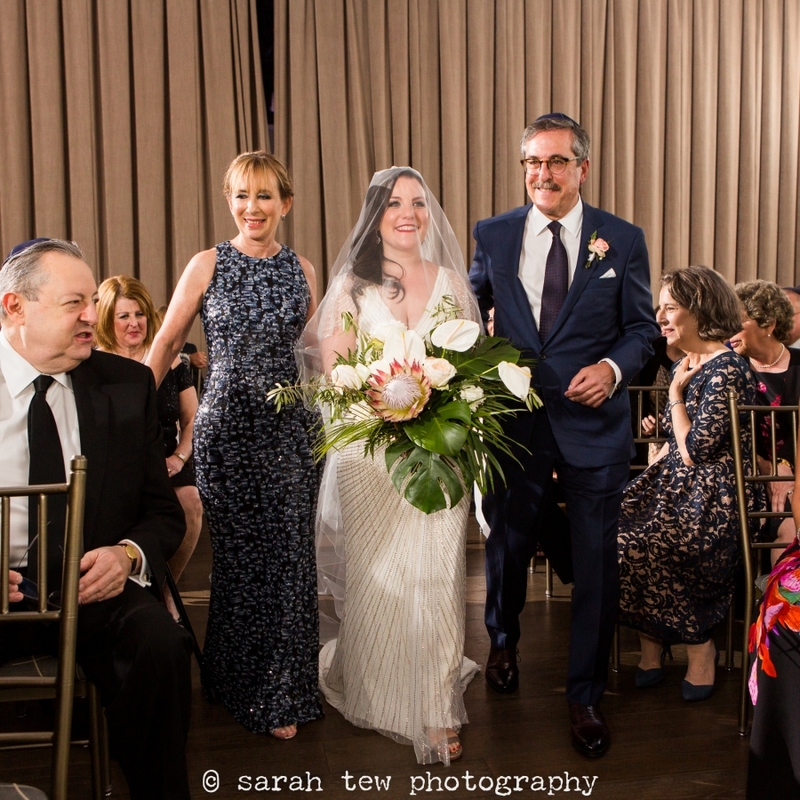 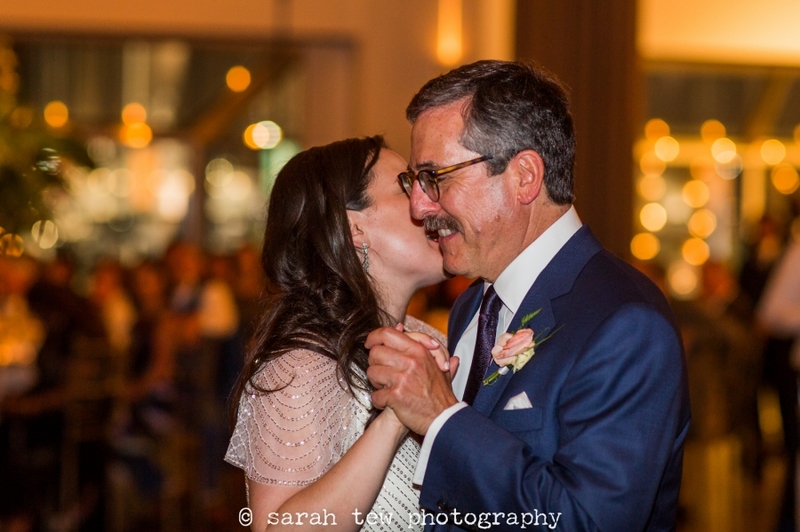 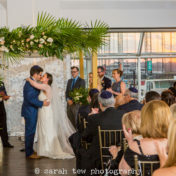 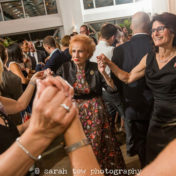 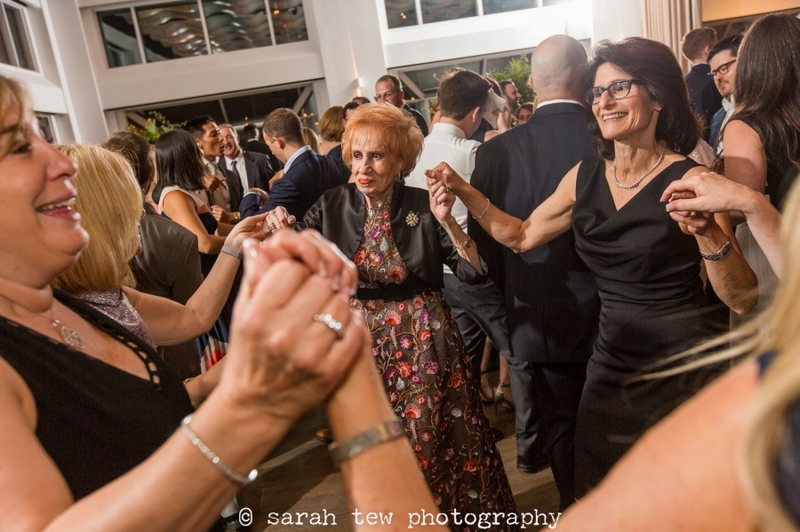 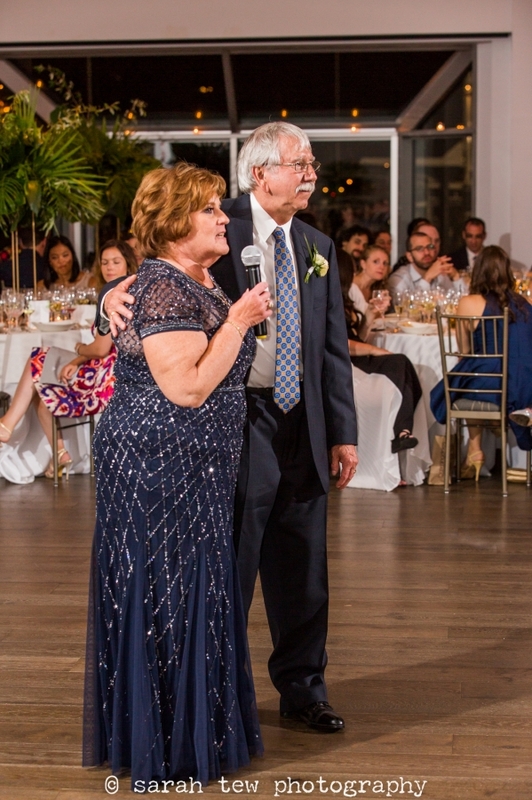 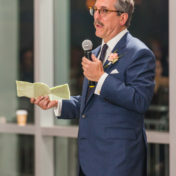 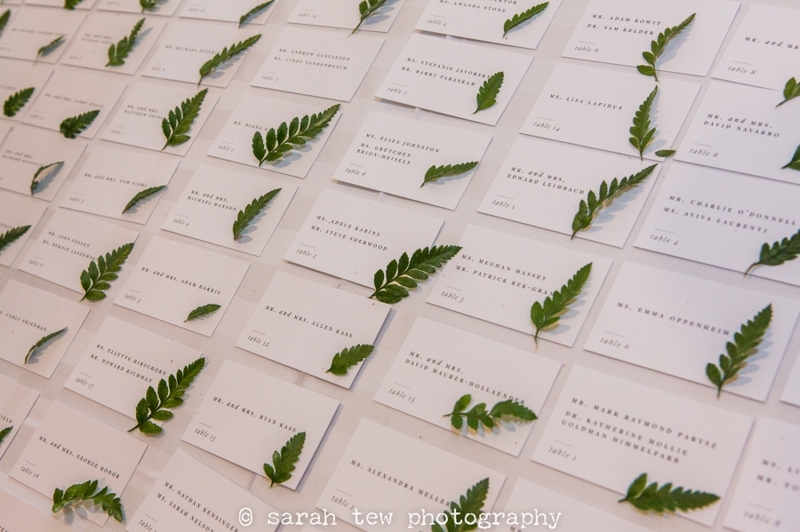 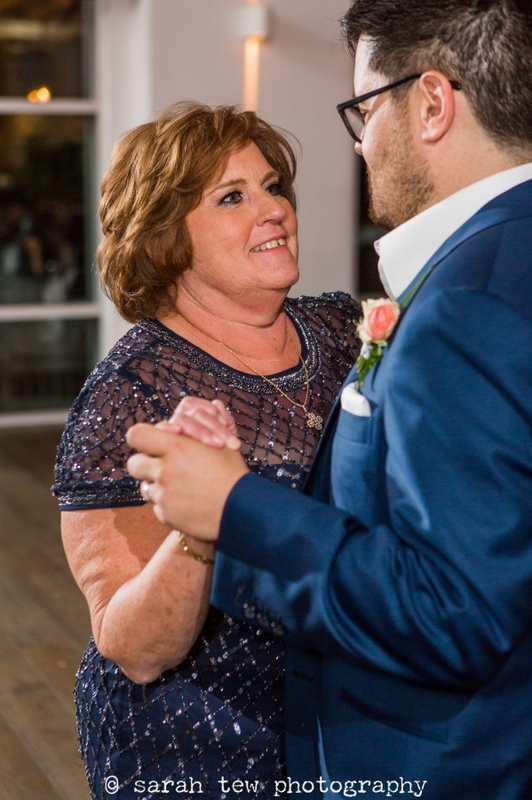 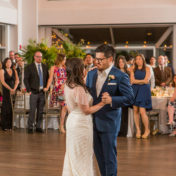 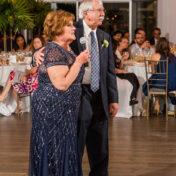 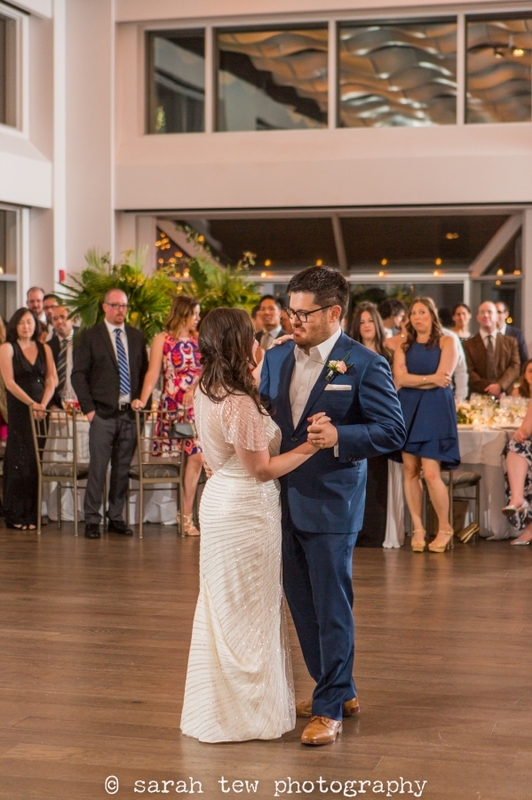 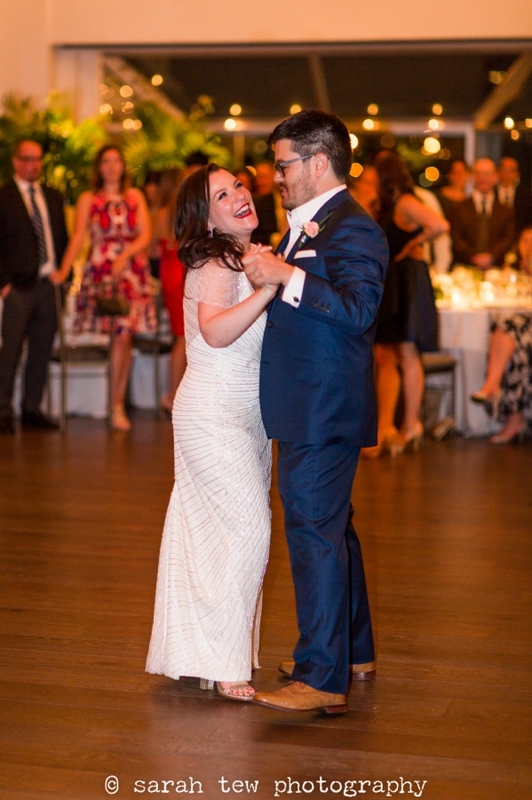 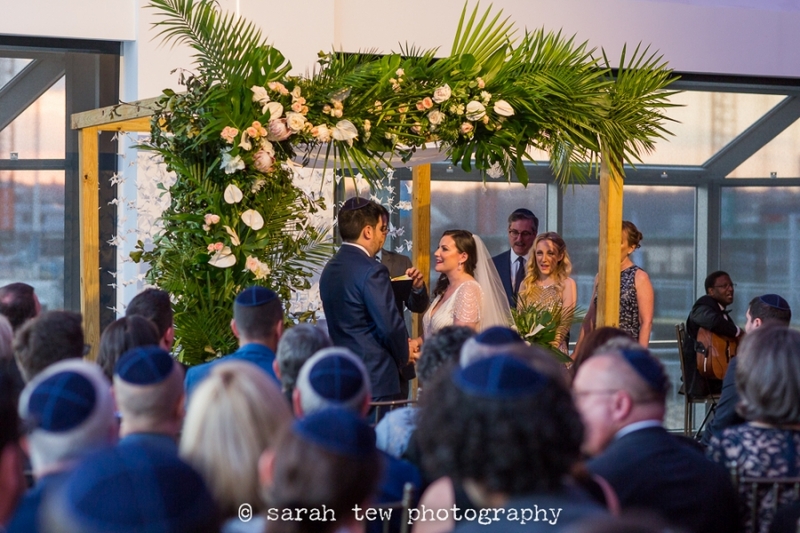 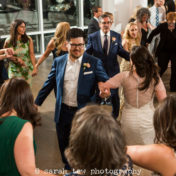 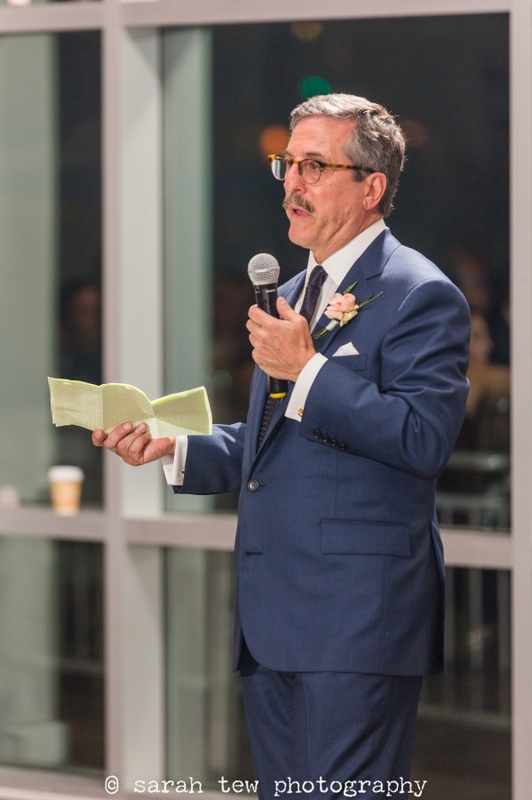 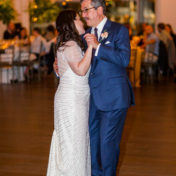 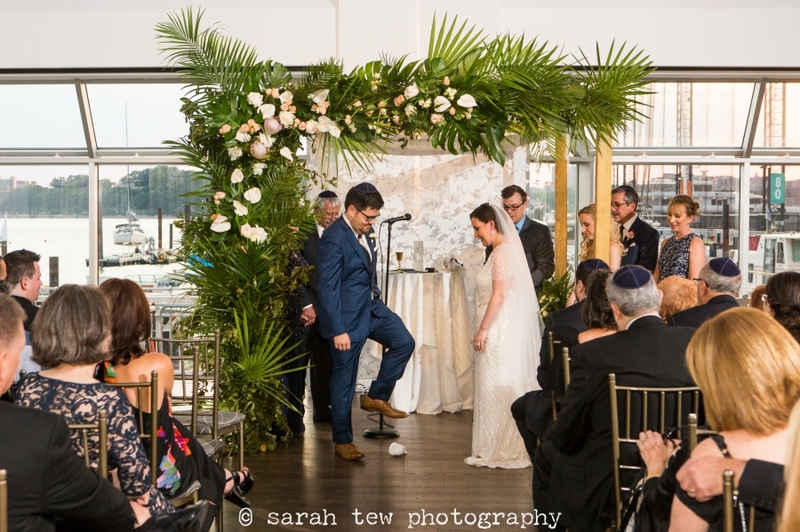 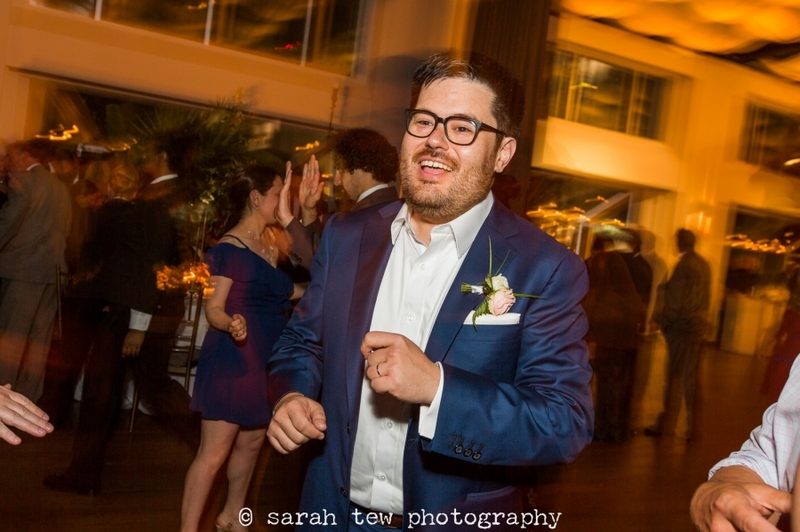 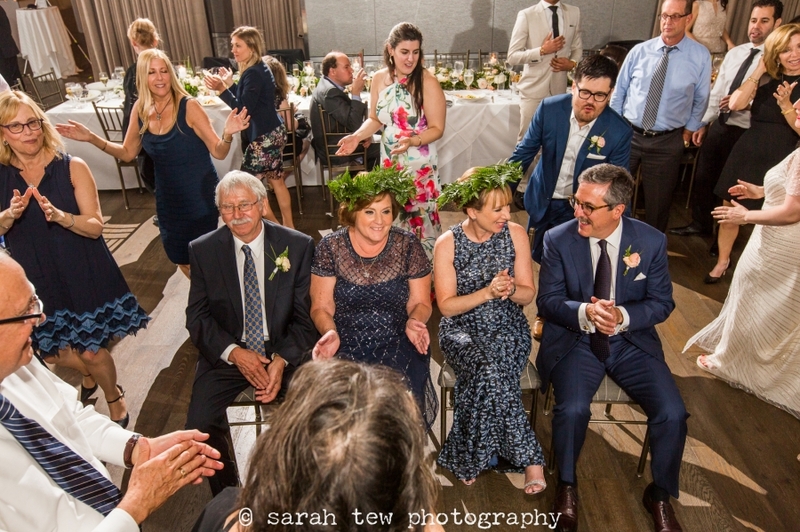 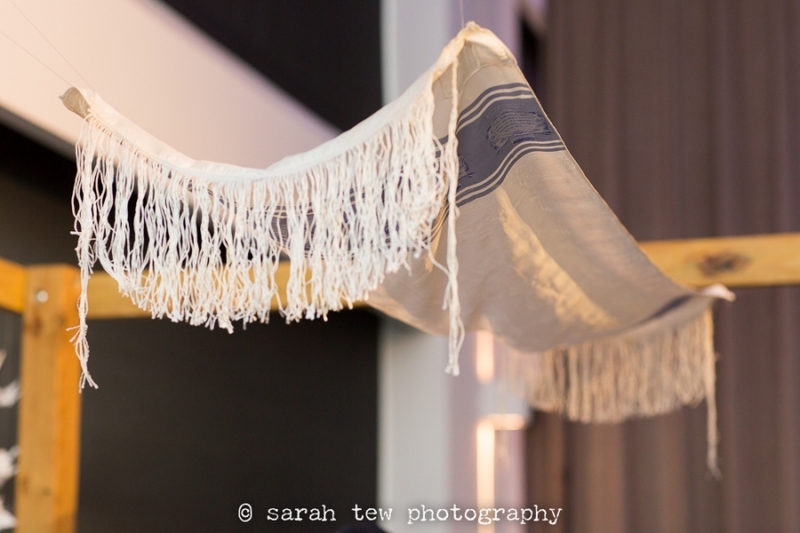 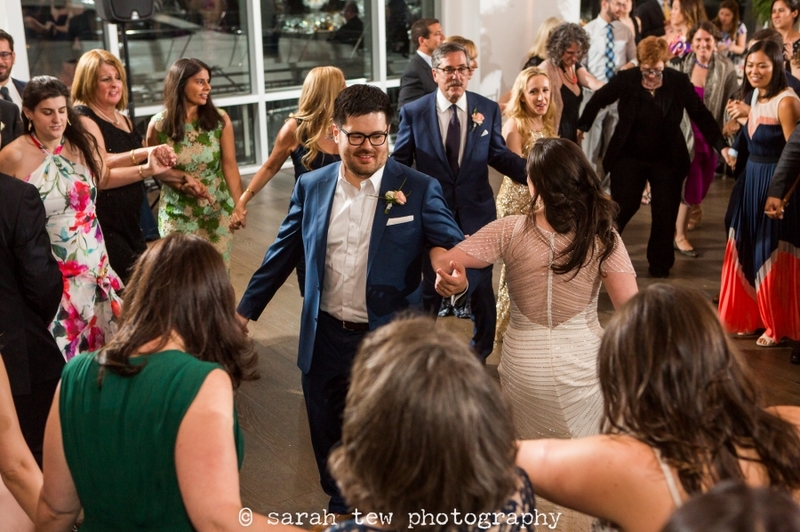 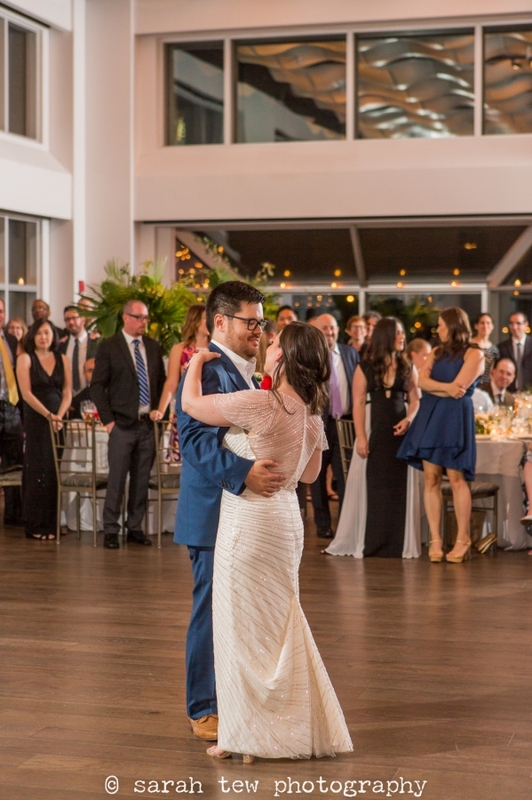 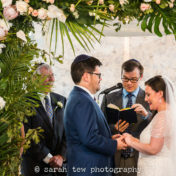 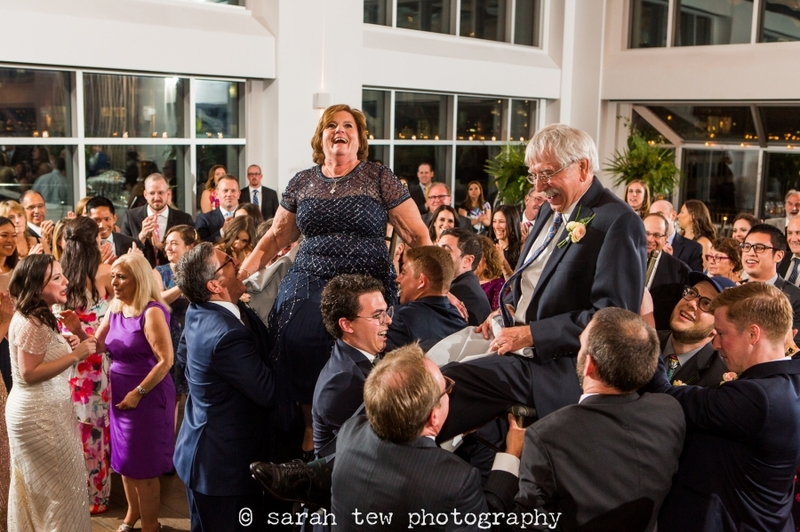 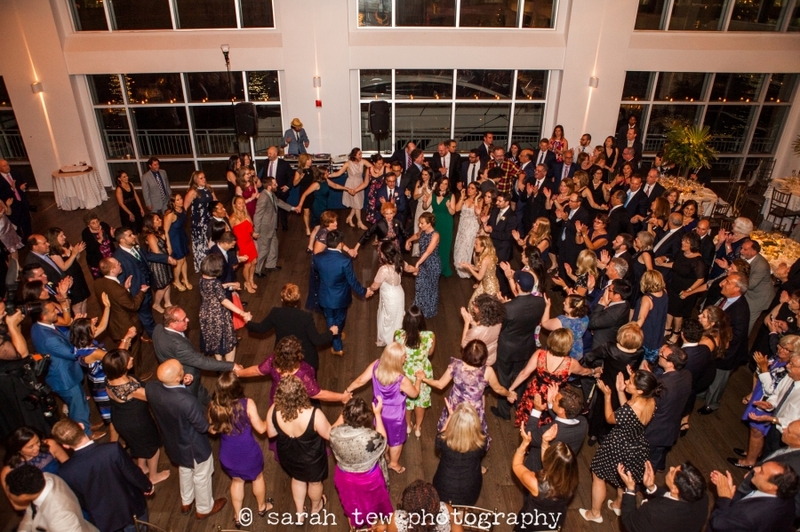 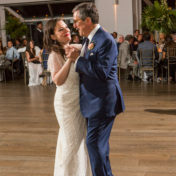 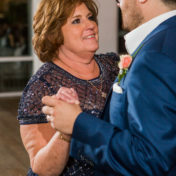 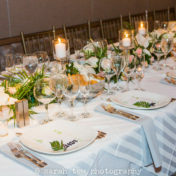 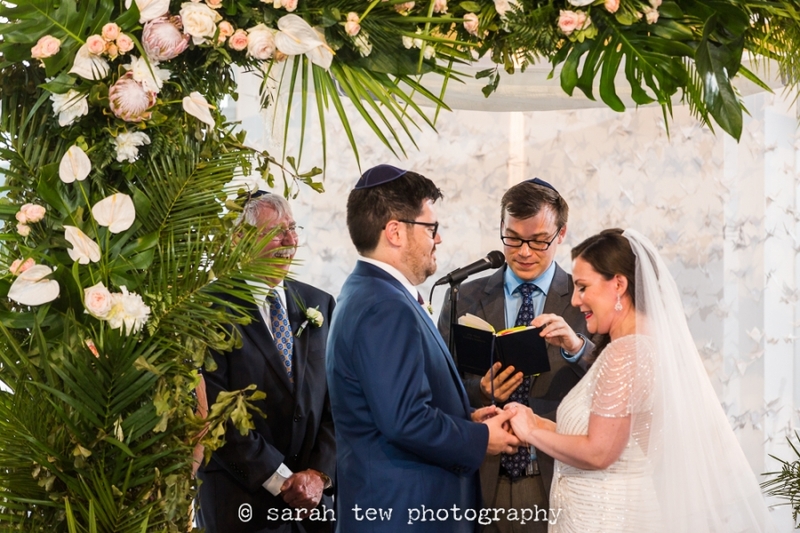 Meanwhile the staff removed the Chuppah and brought arranged dinner tables to transform the ceremony space into a reception room complete with a large dance floor. 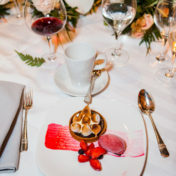 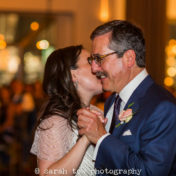 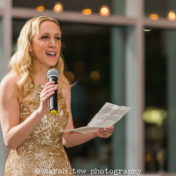 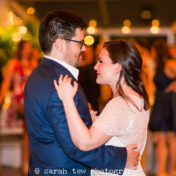 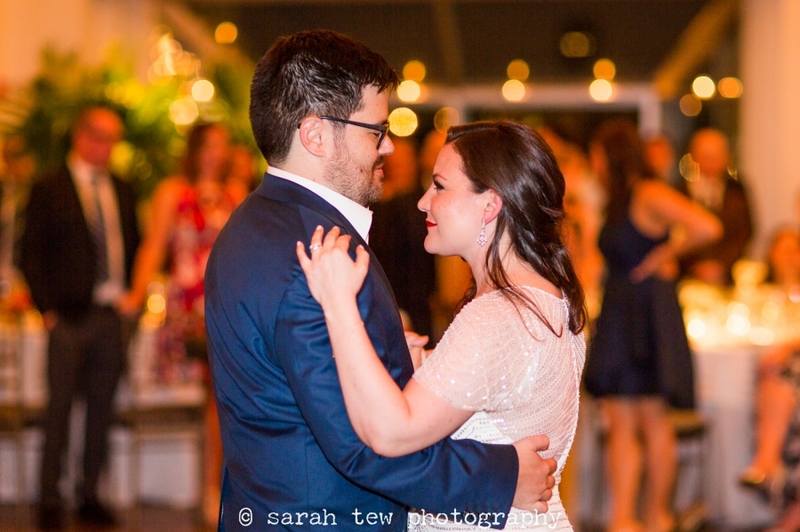 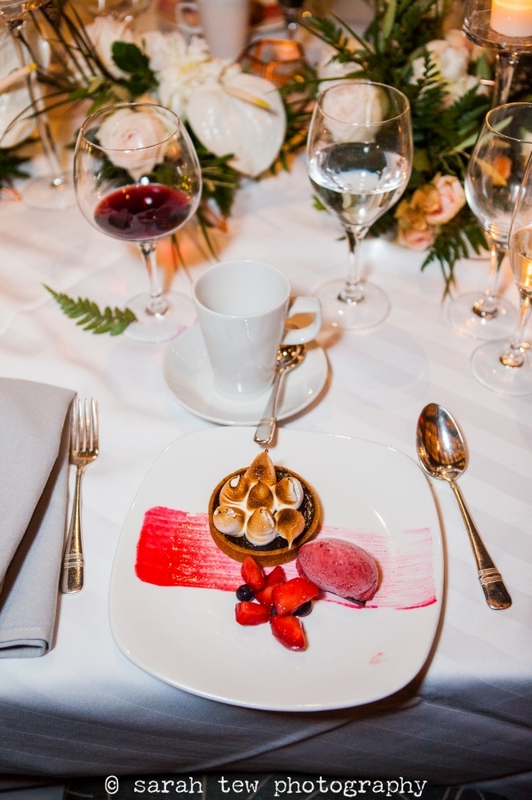 Highlights of the evening included some delightful toasts from family, a very hip setlist from the DJ, Jay McElfresh, that got everyone moving on the dance floor, and an incredible looking non-wedding cake desert courtesy of Abigail Kirsch‘s top-notch catering.